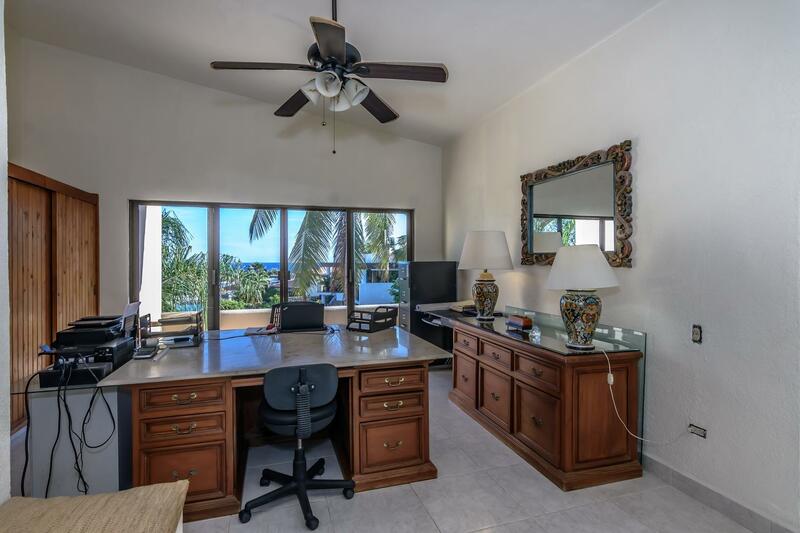 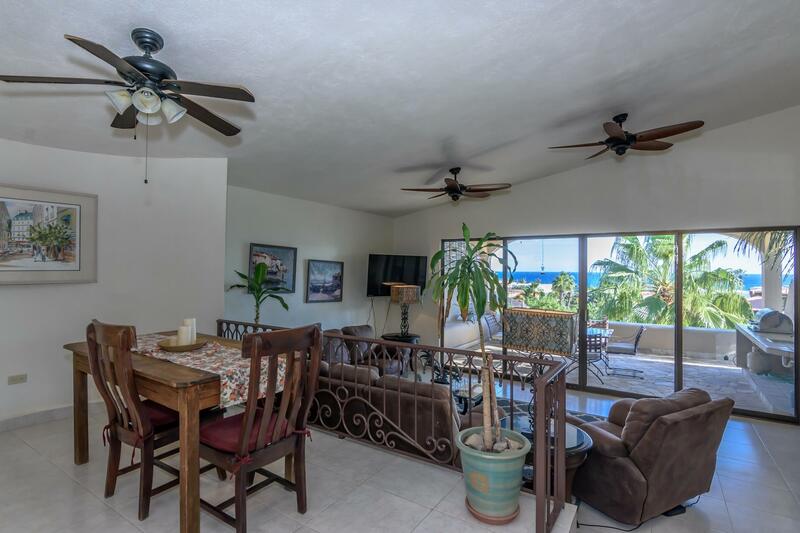 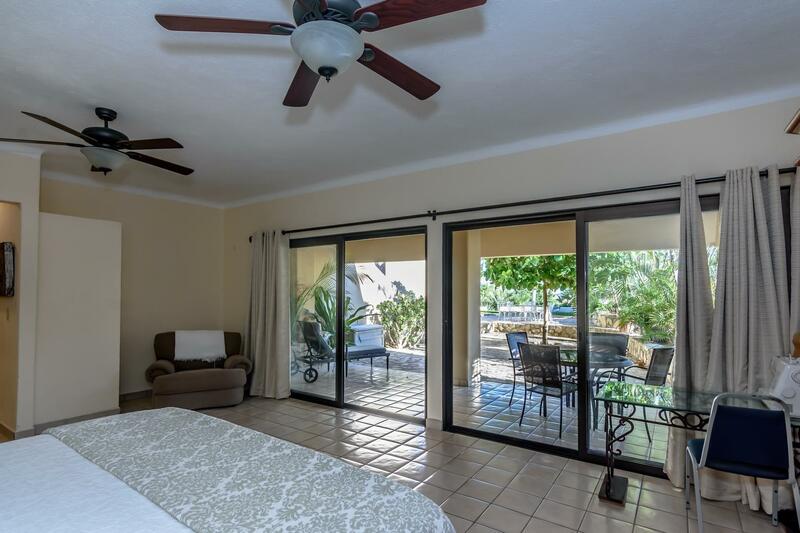 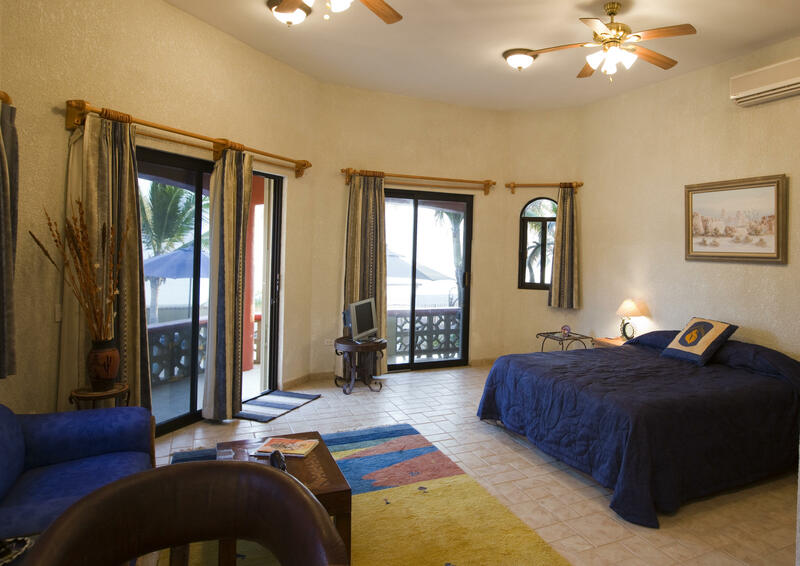 Description: This luxurious beachfront gem is perfect for the large family, for those that love to entertain or a quaint Bed and Breakfast. 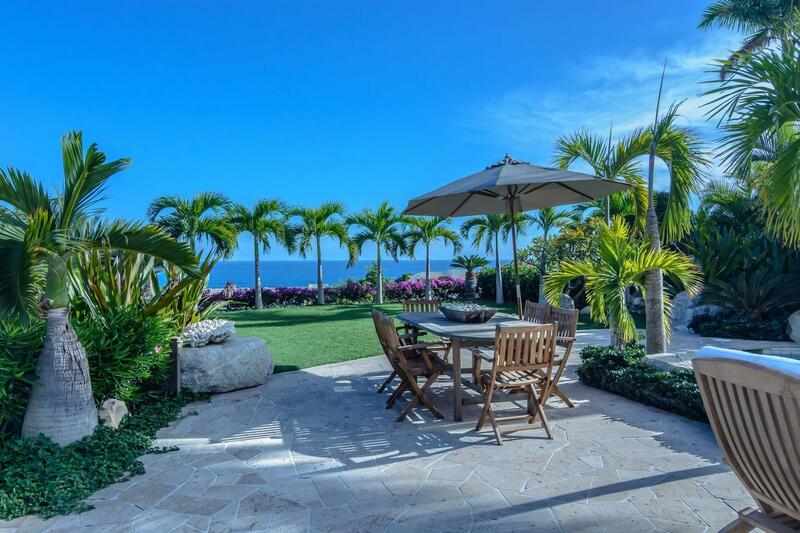 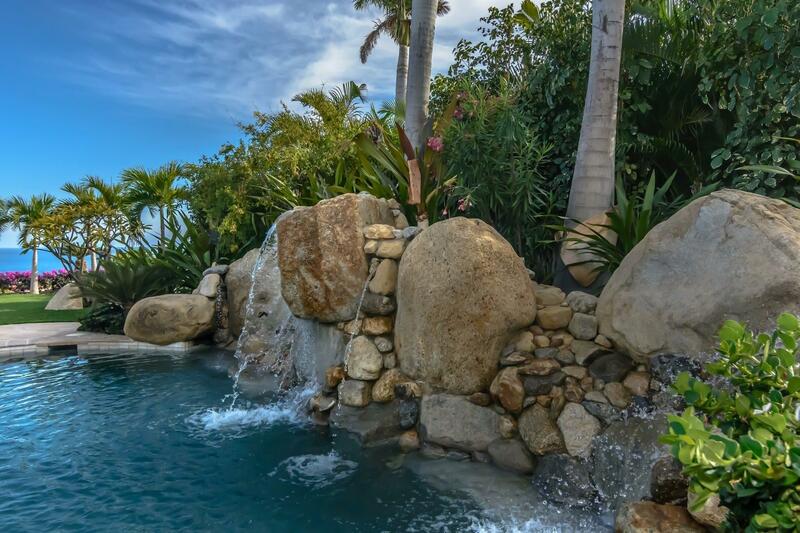 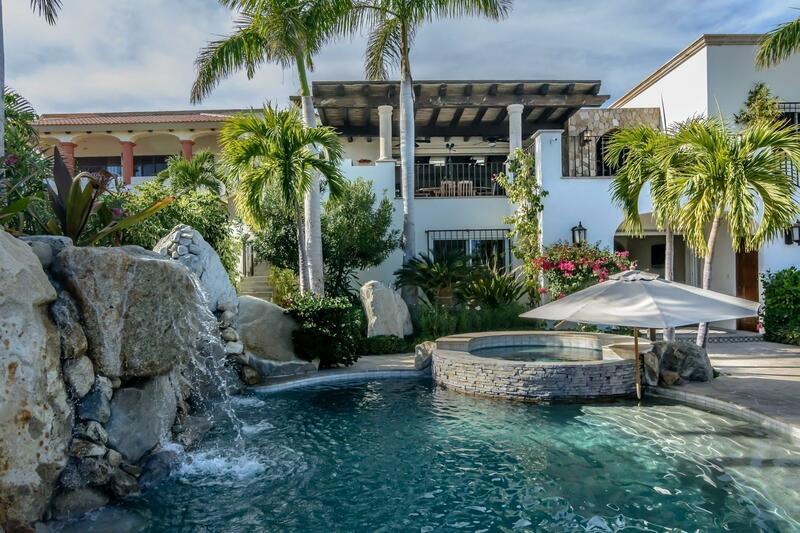 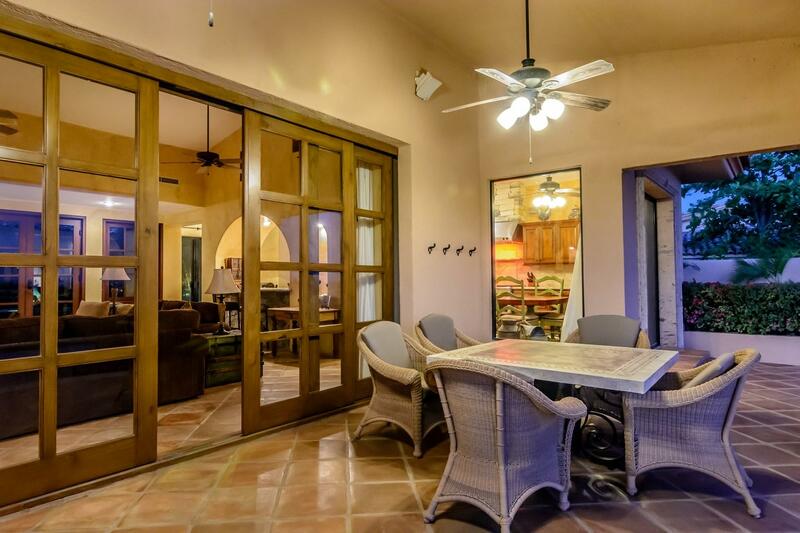 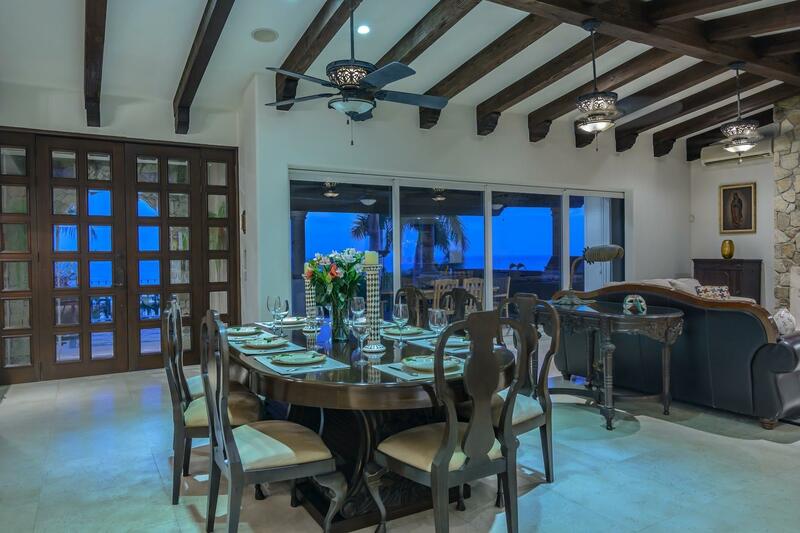 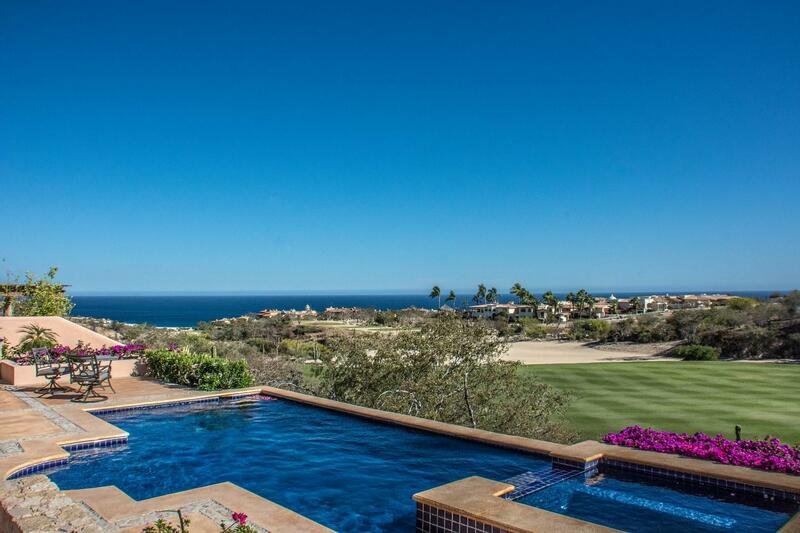 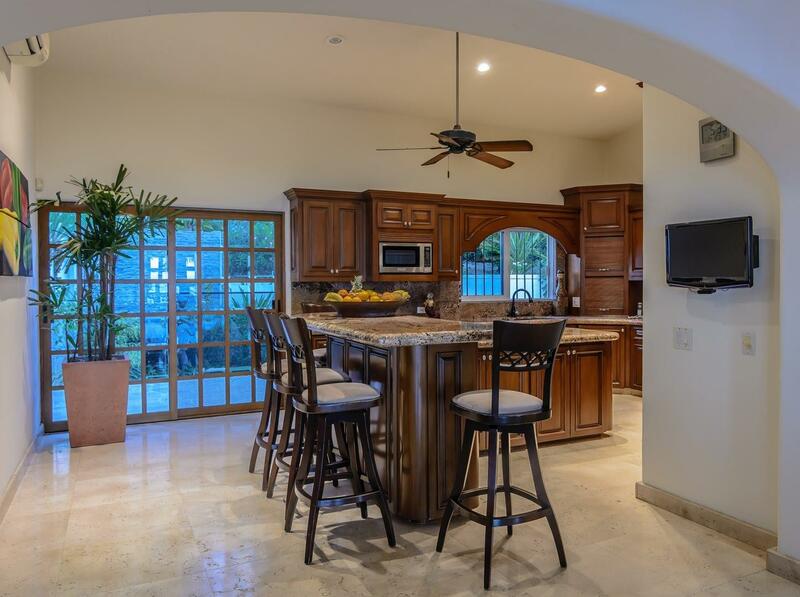 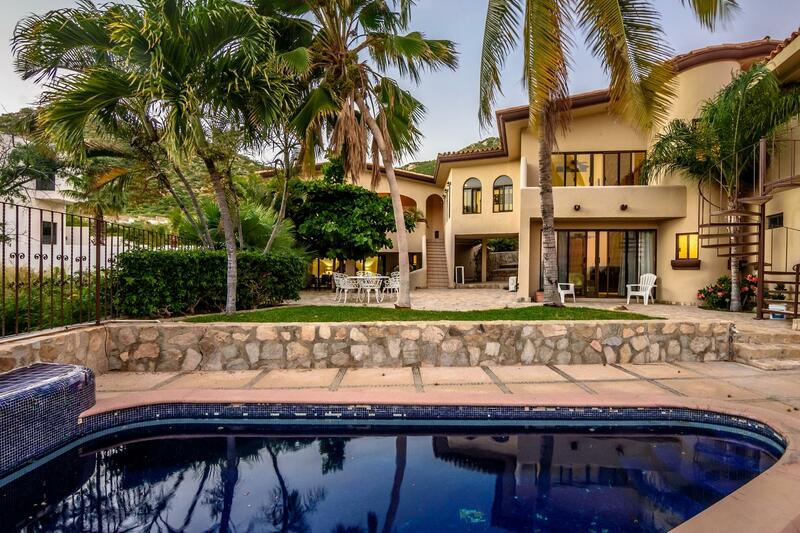 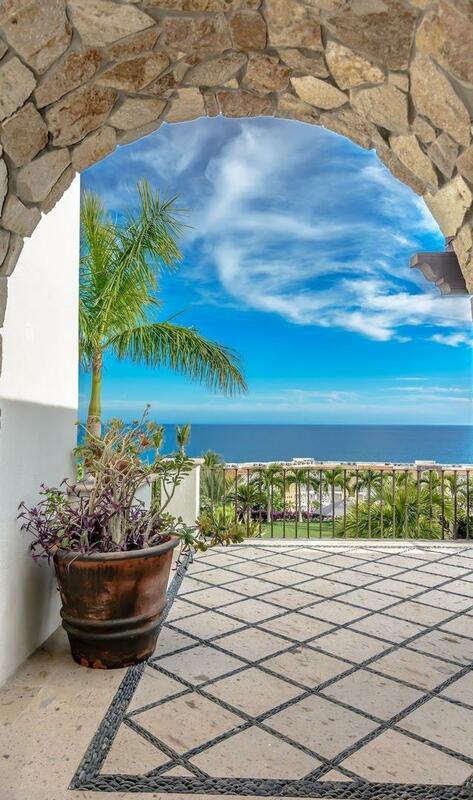 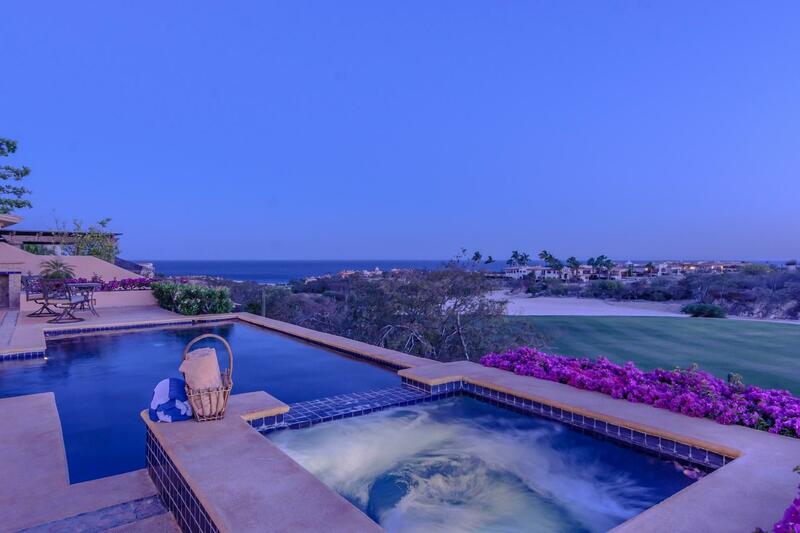 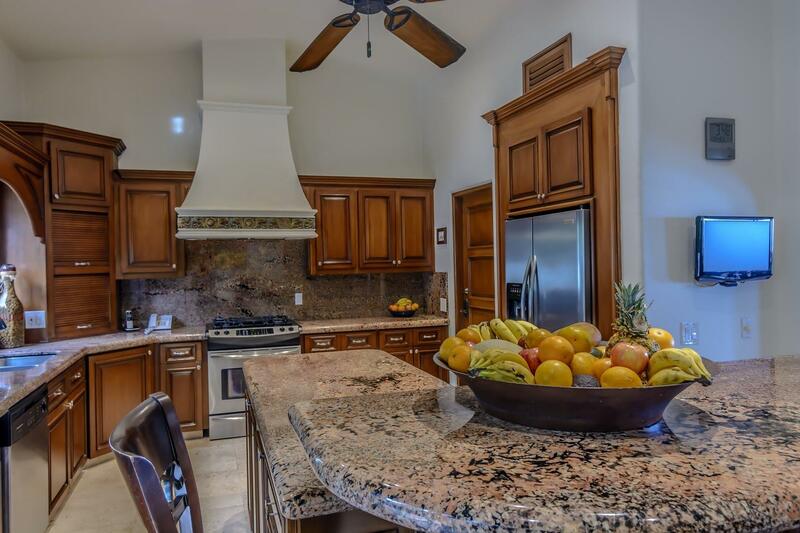 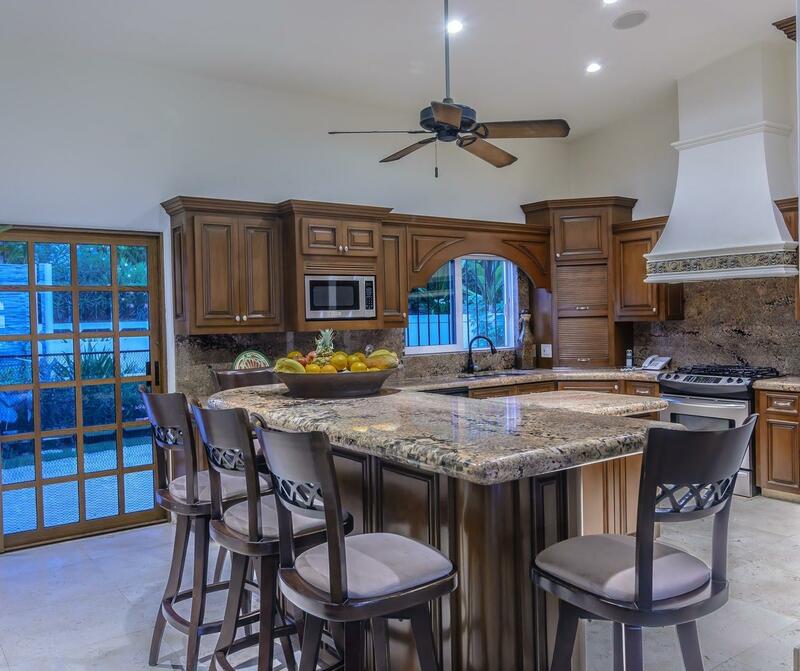 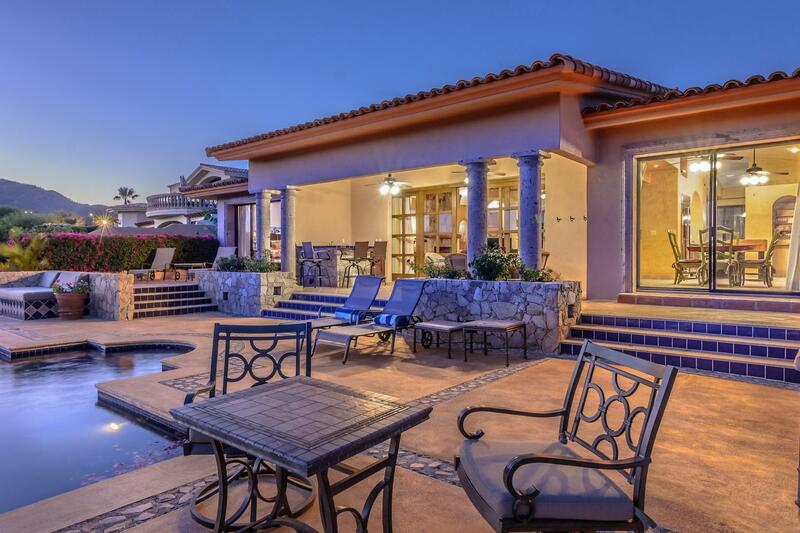 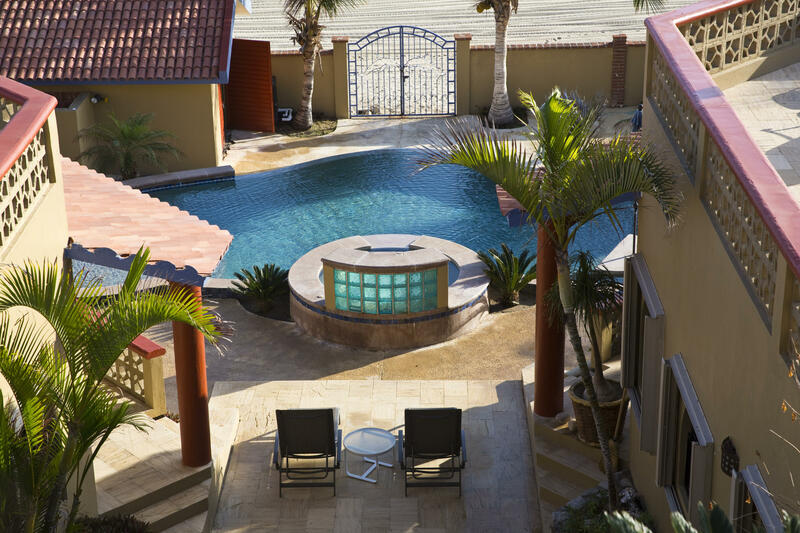 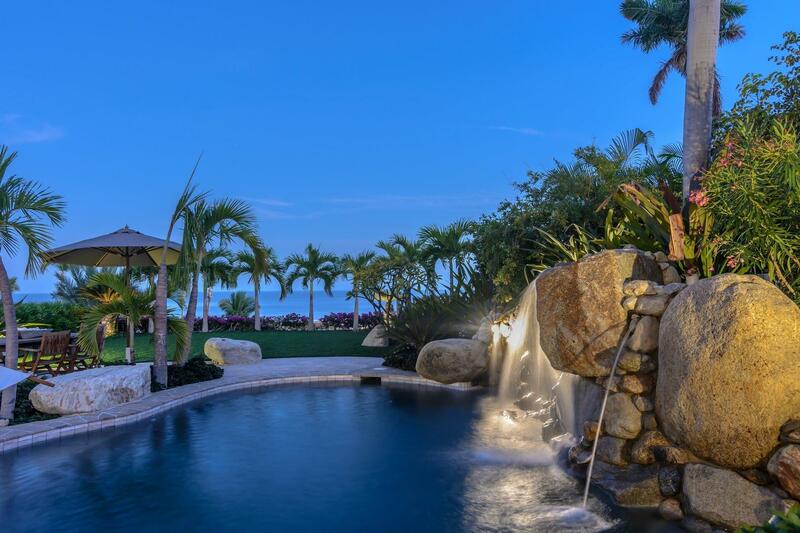 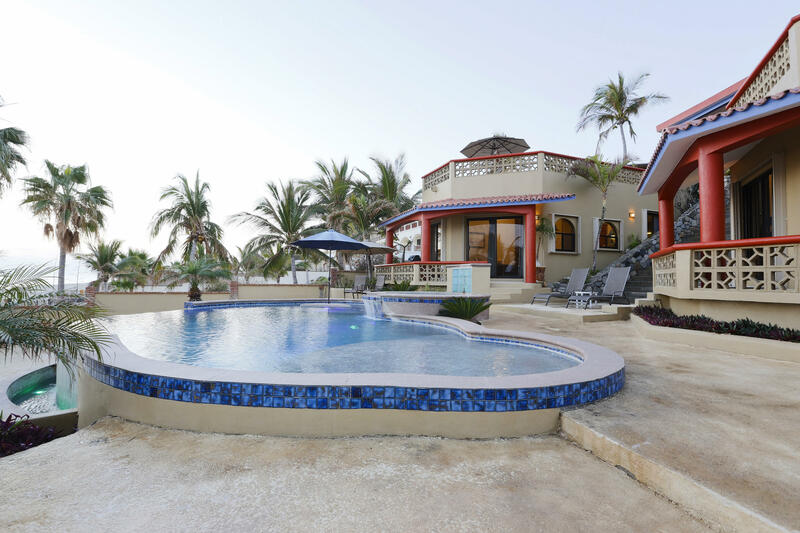 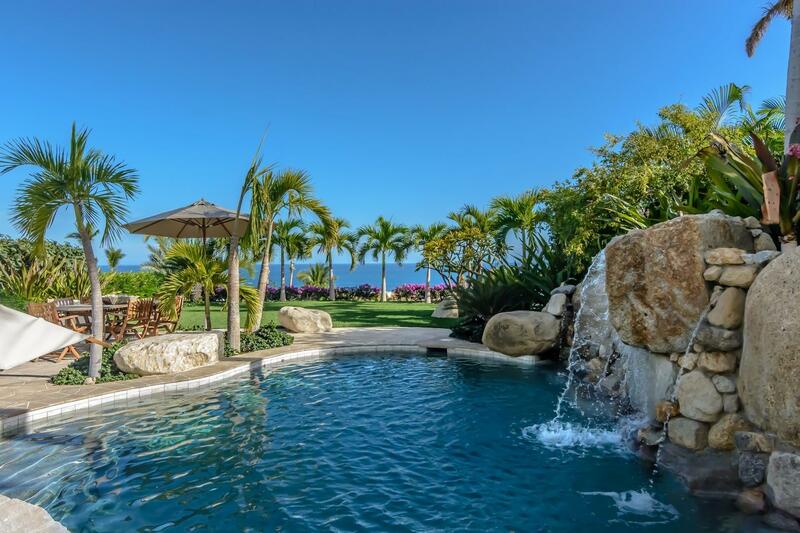 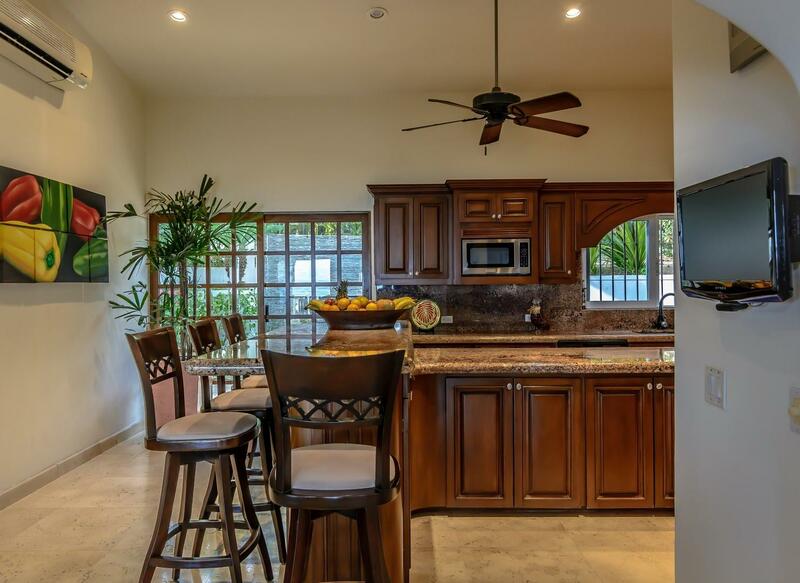 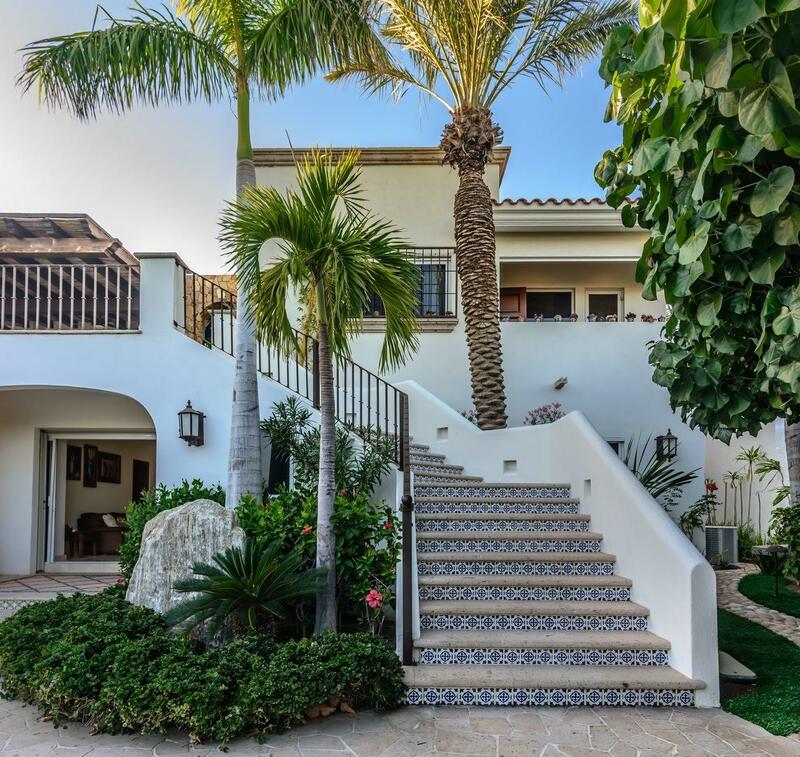 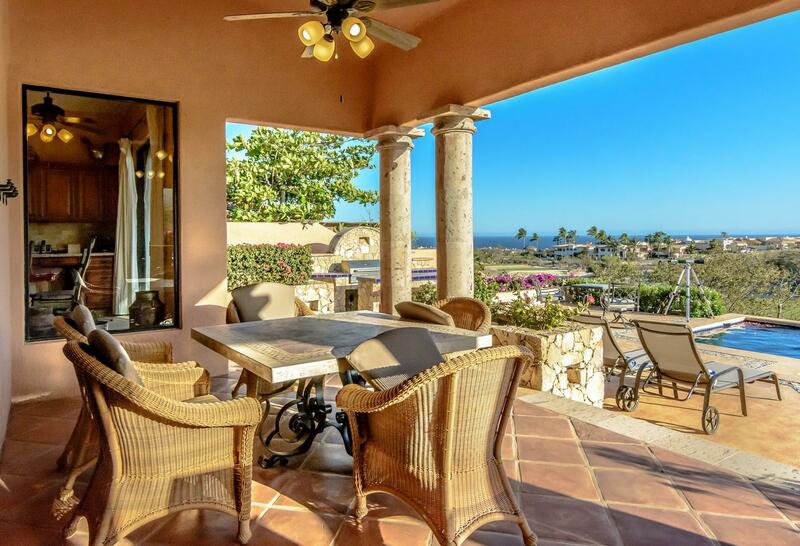 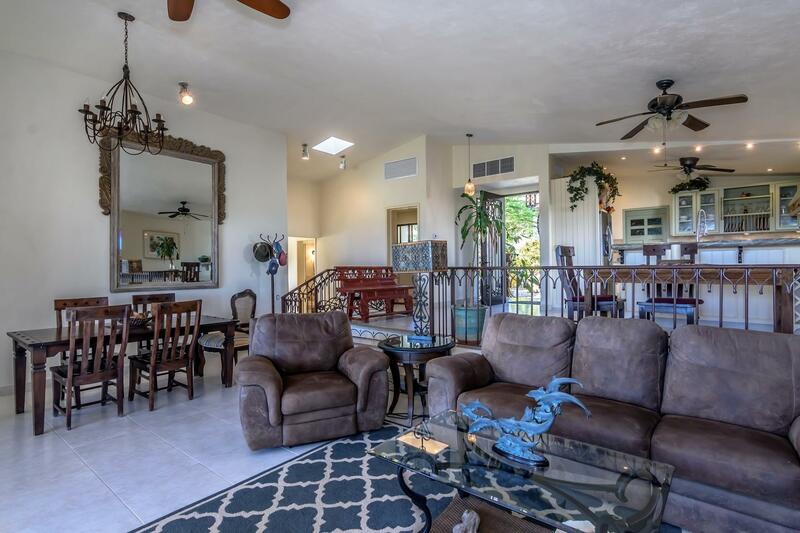 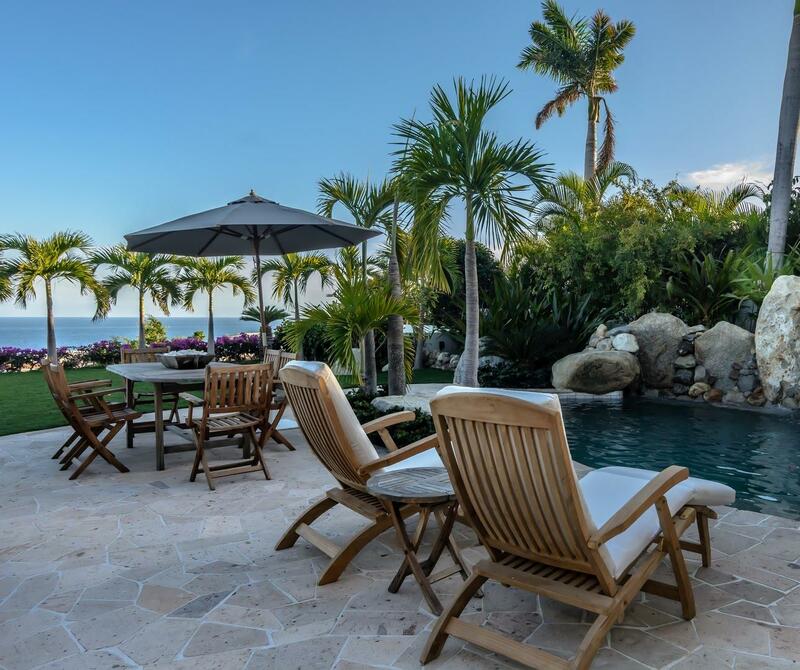 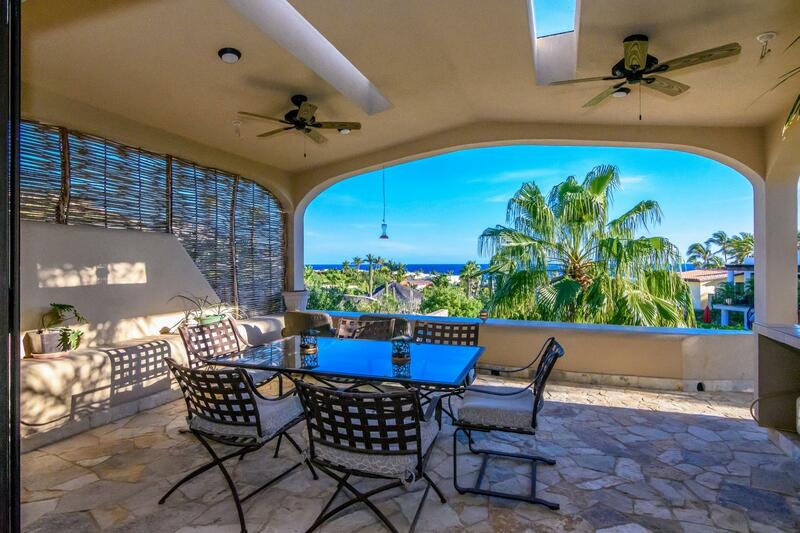 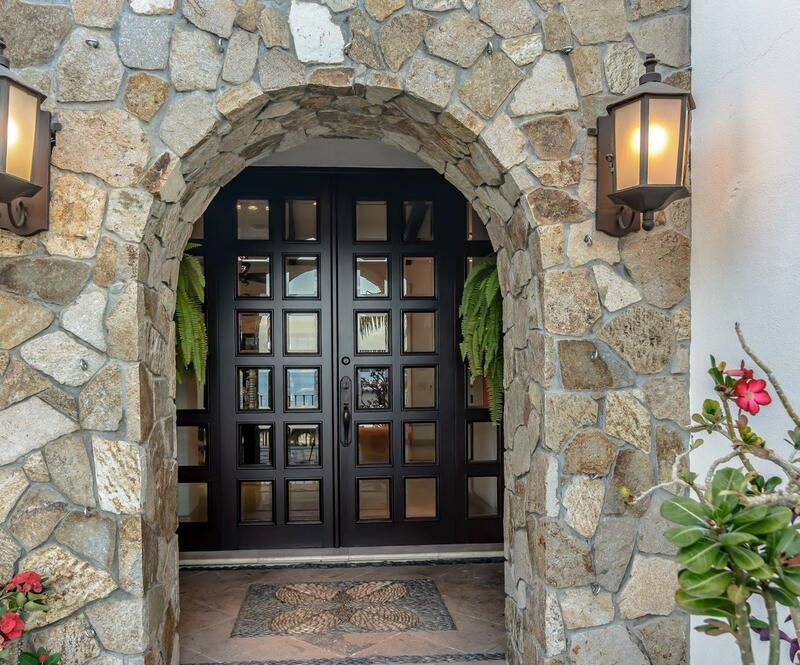 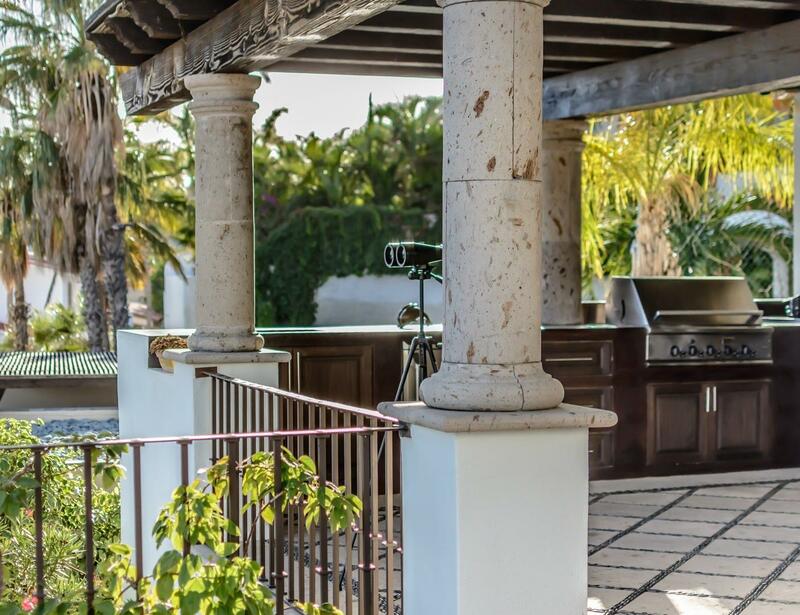 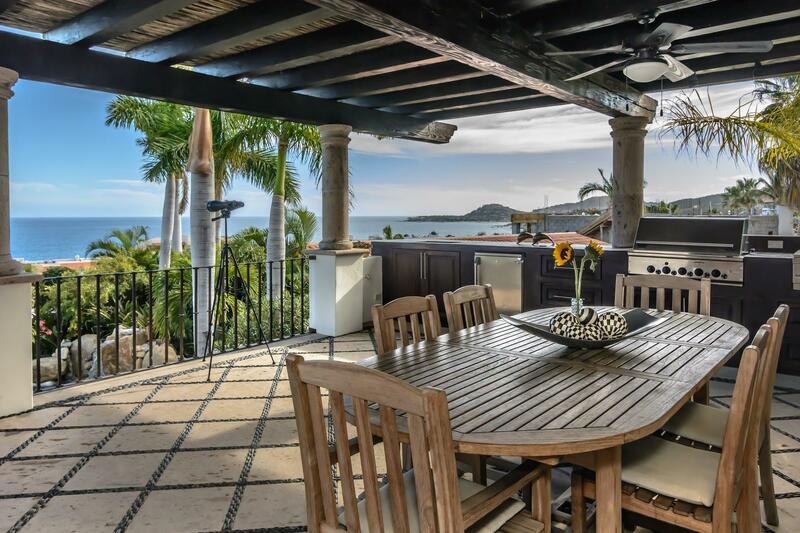 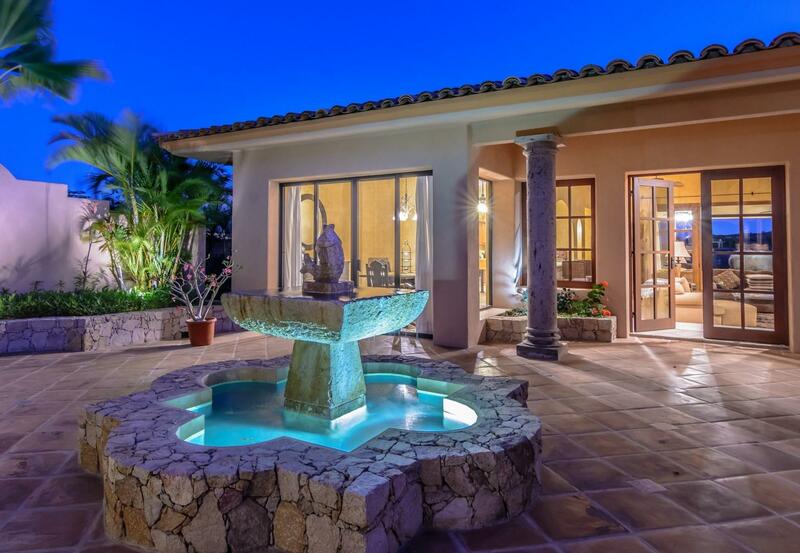 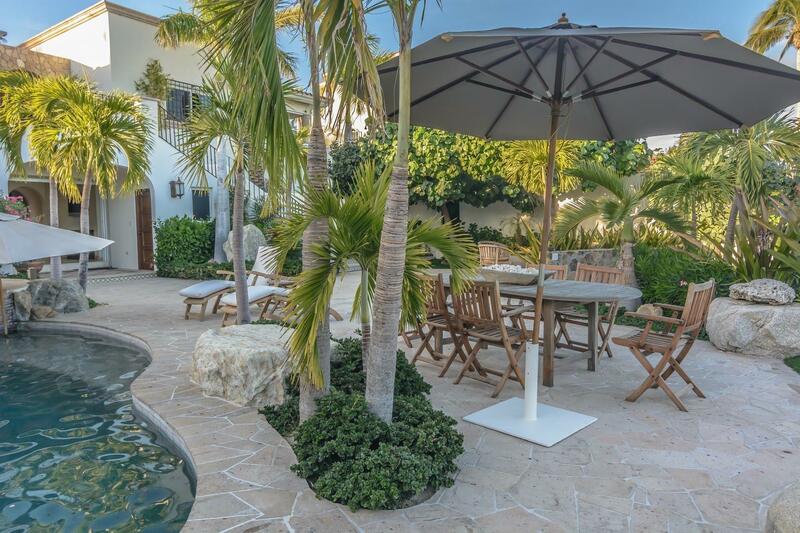 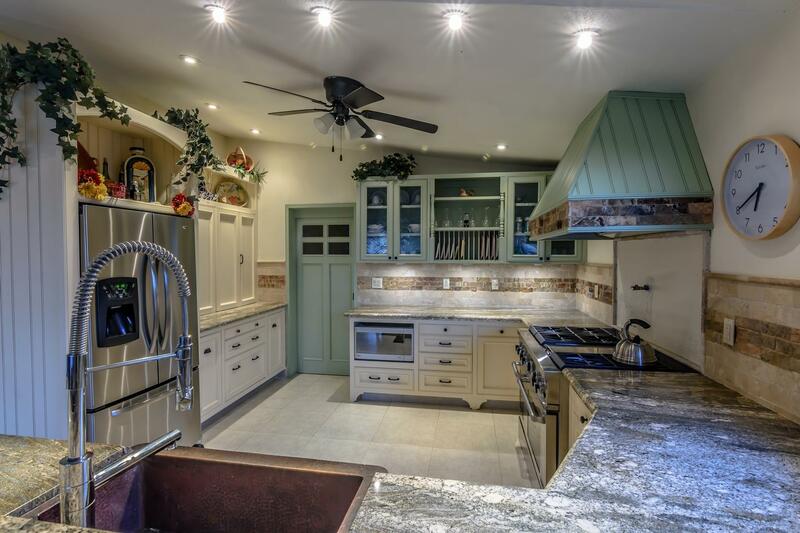 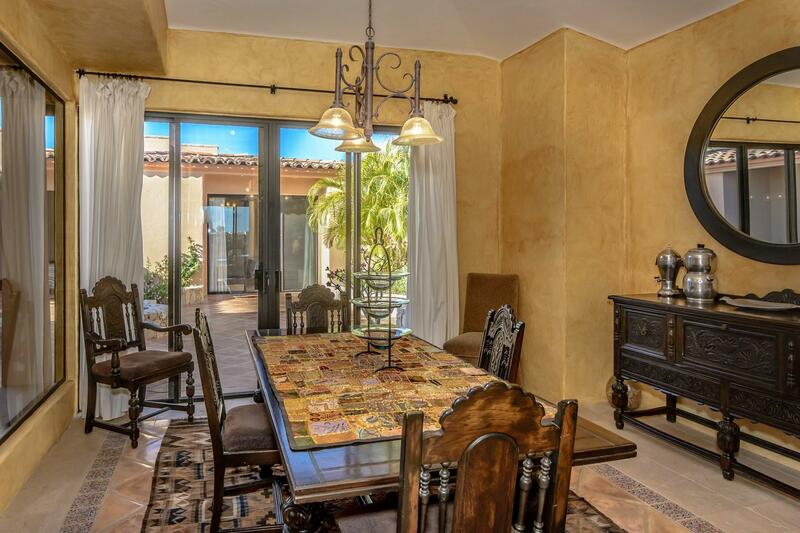 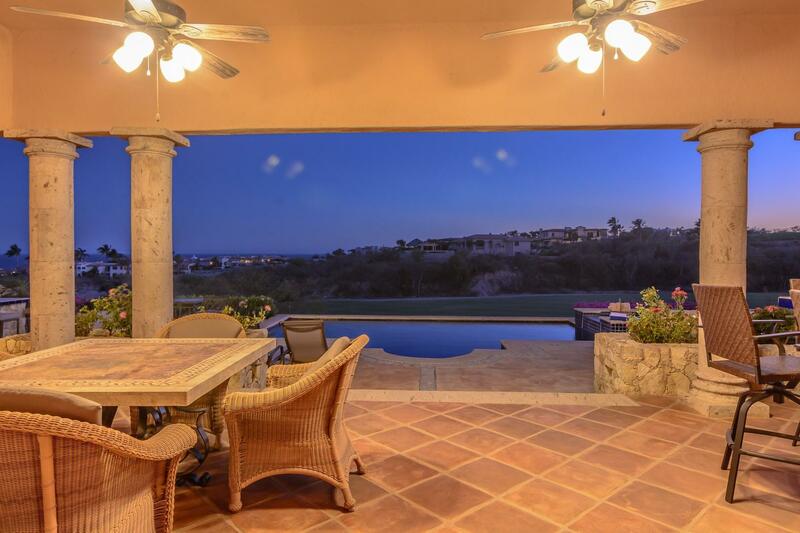 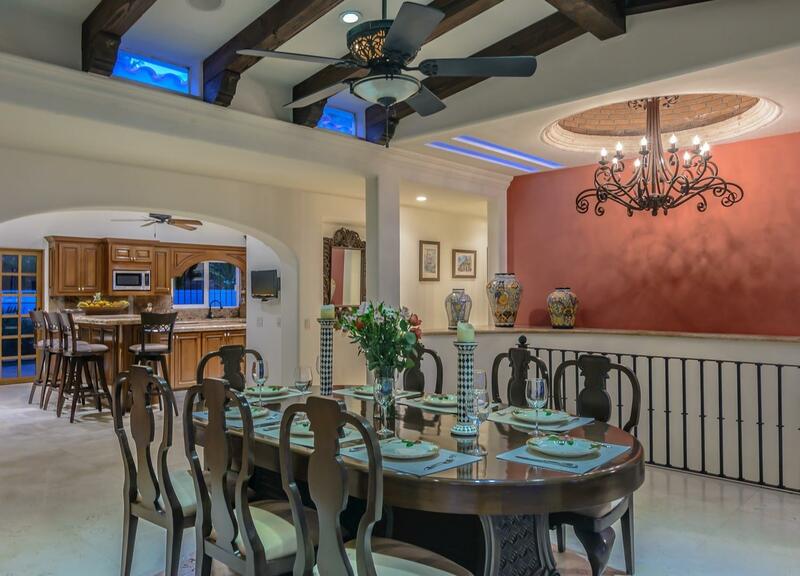 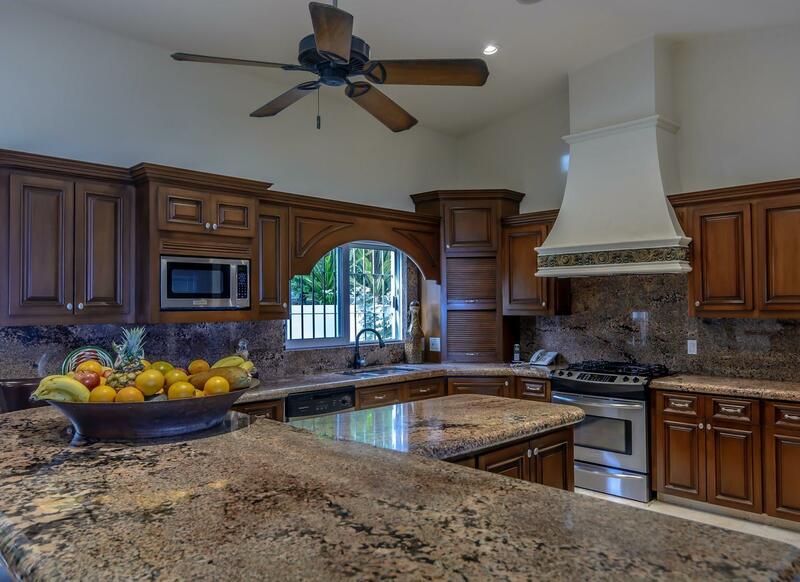 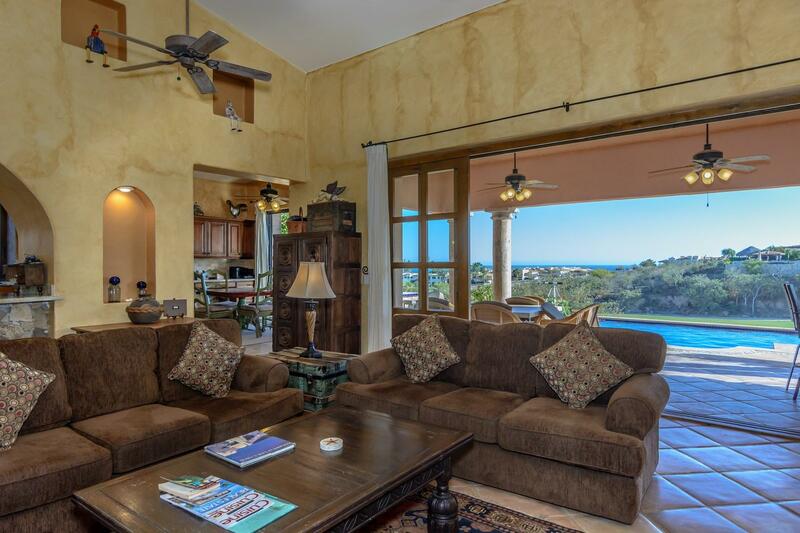 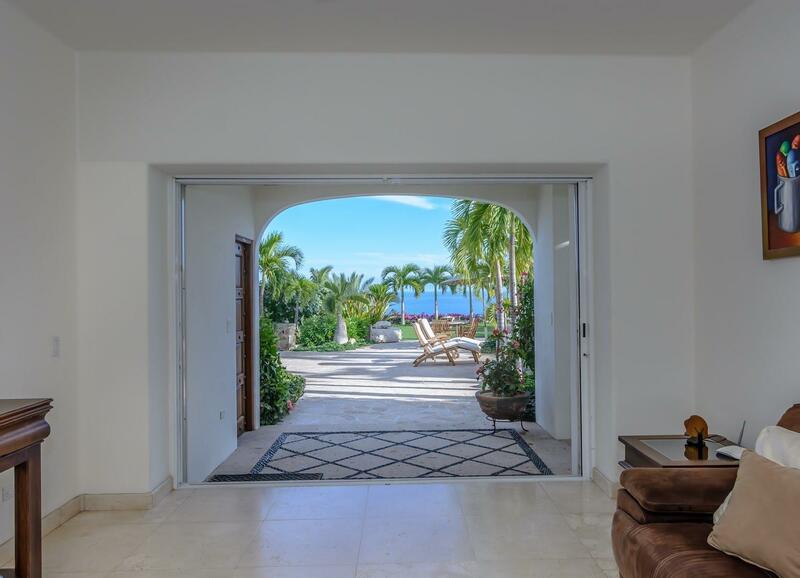 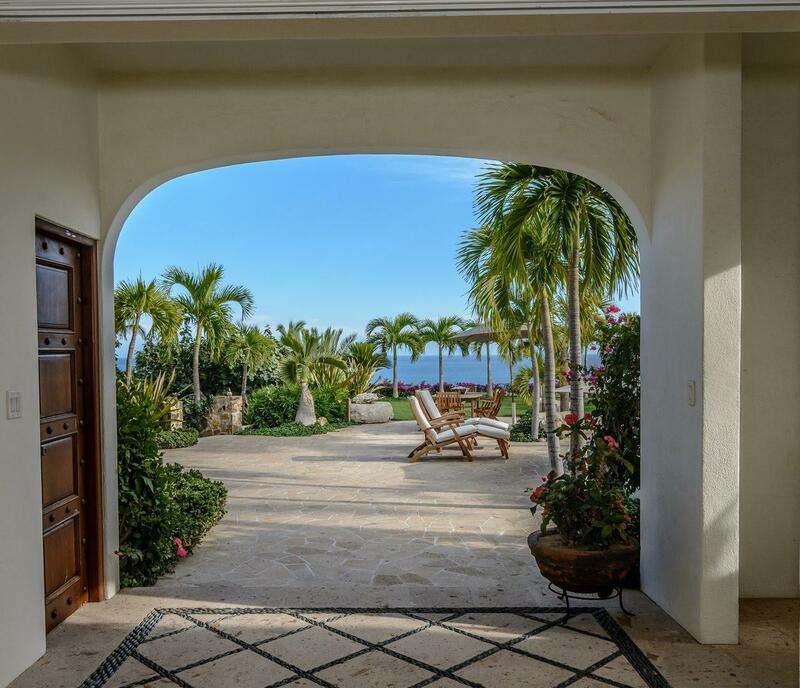 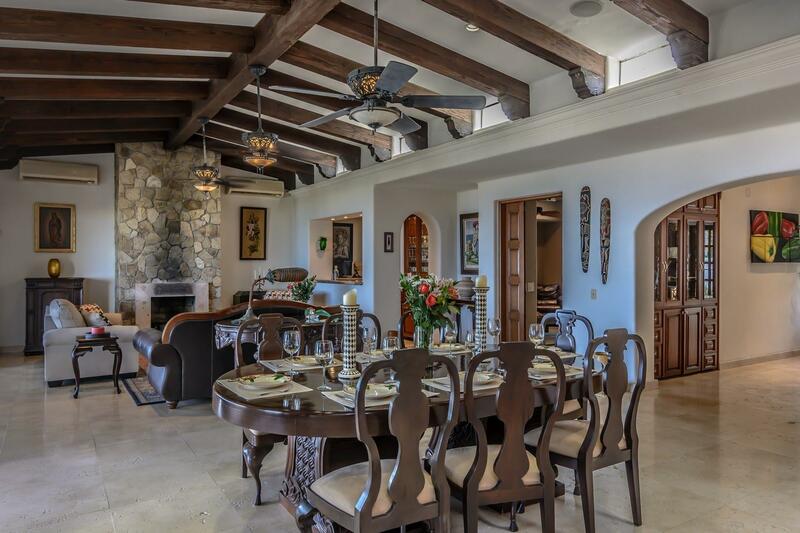 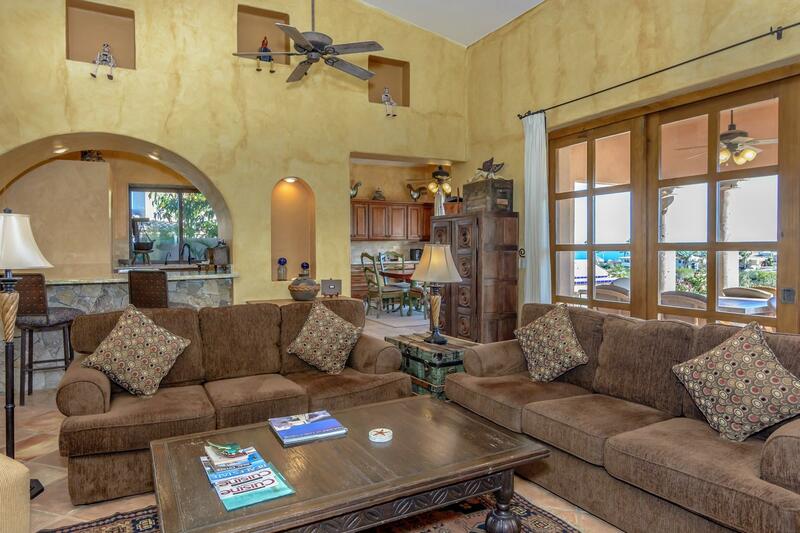 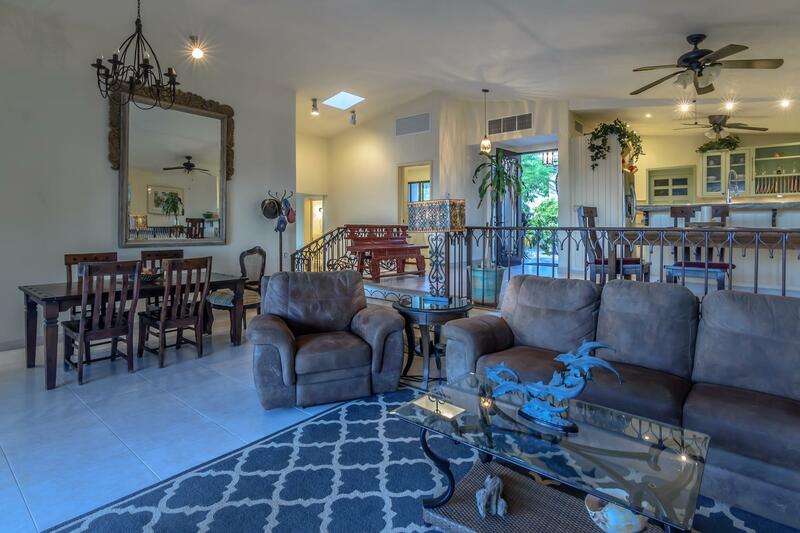 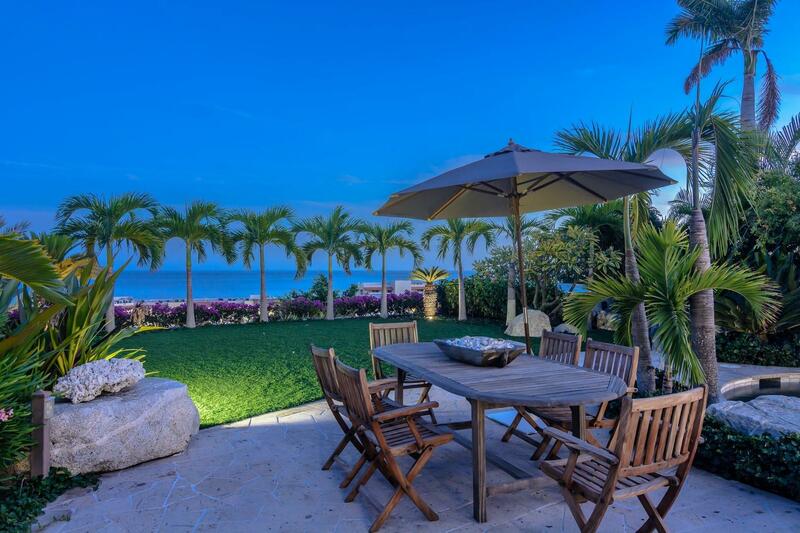 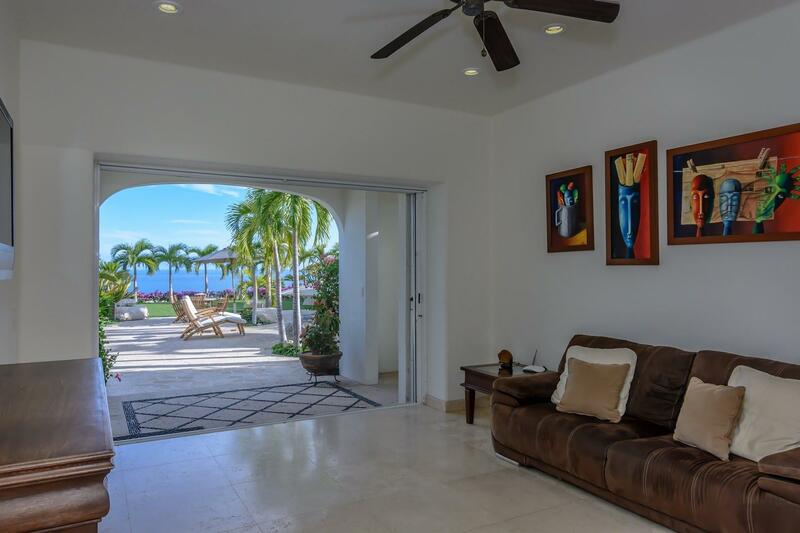 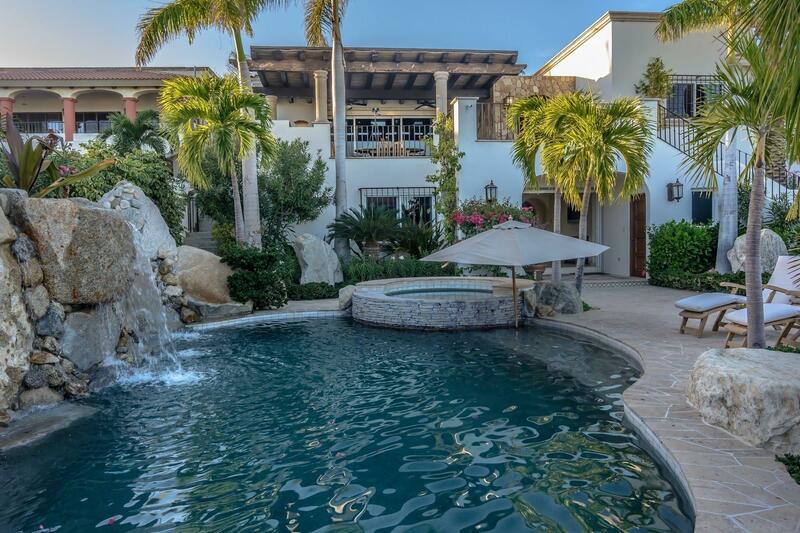 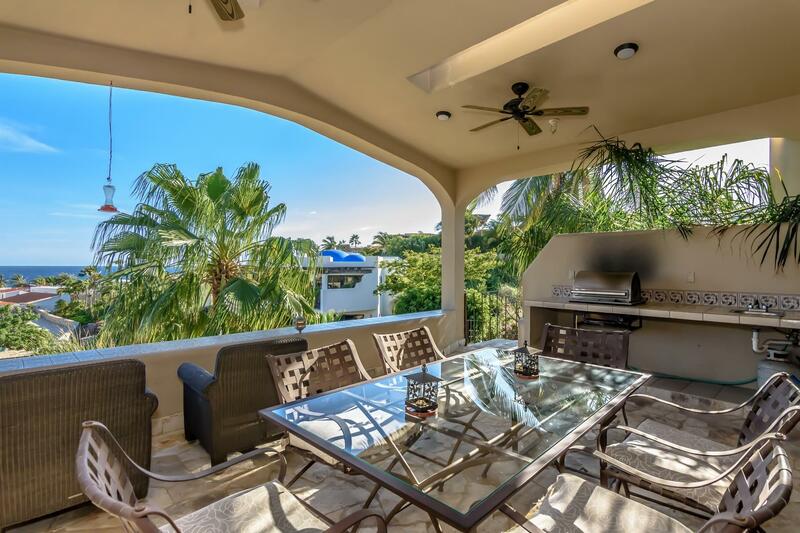 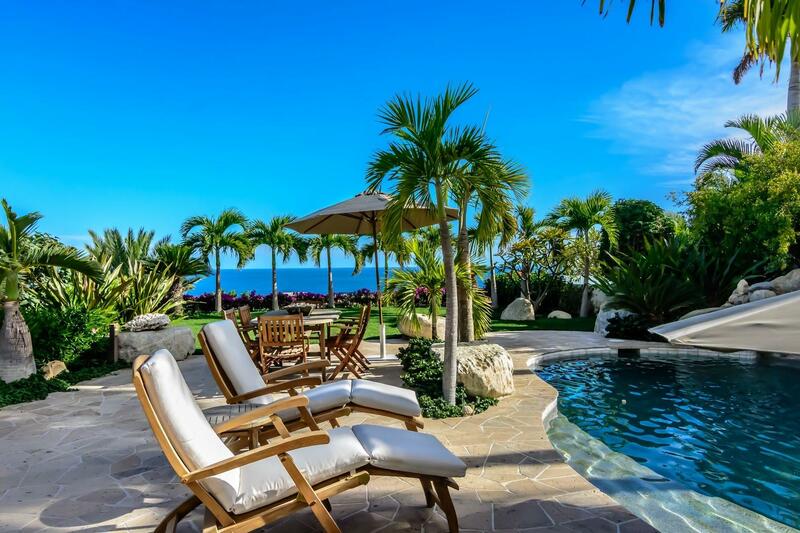 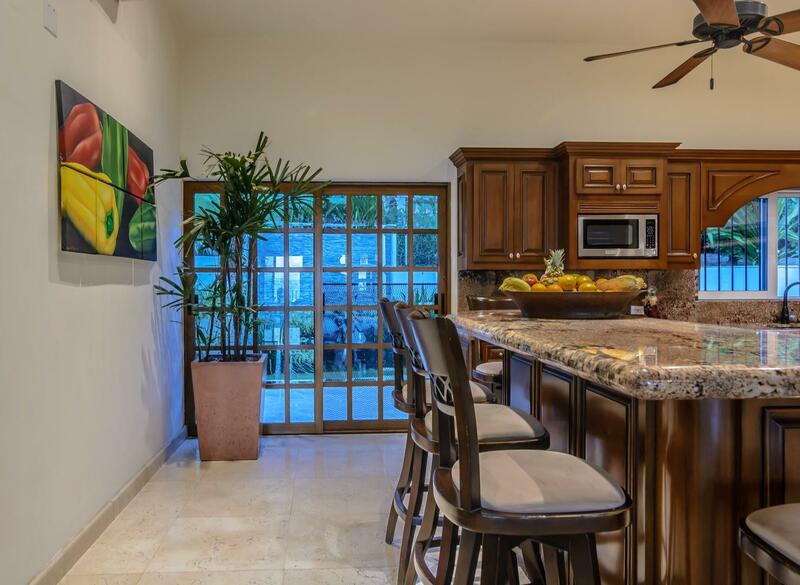 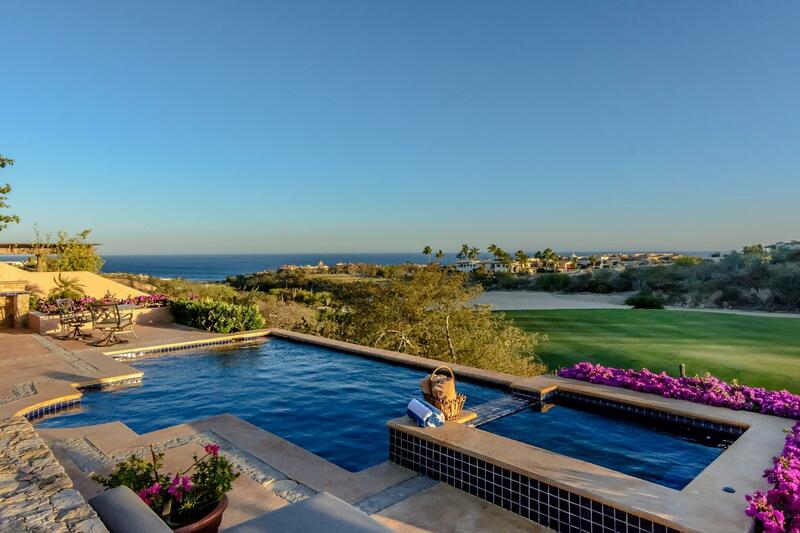 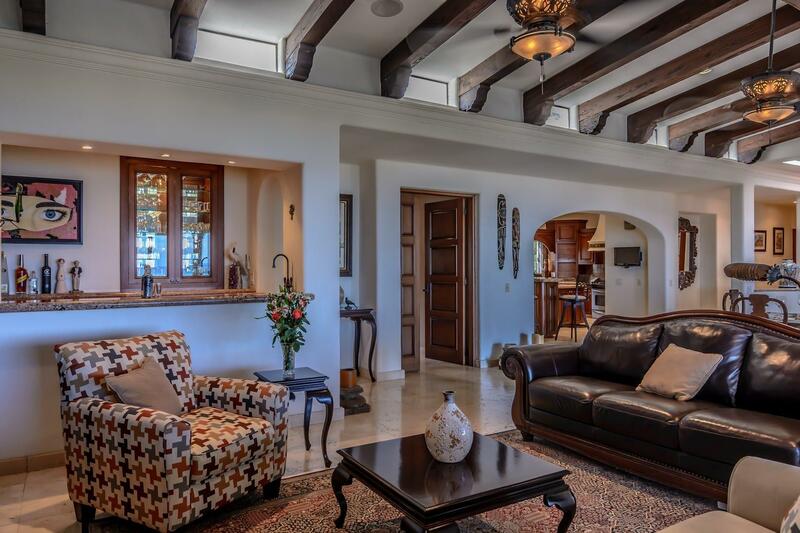 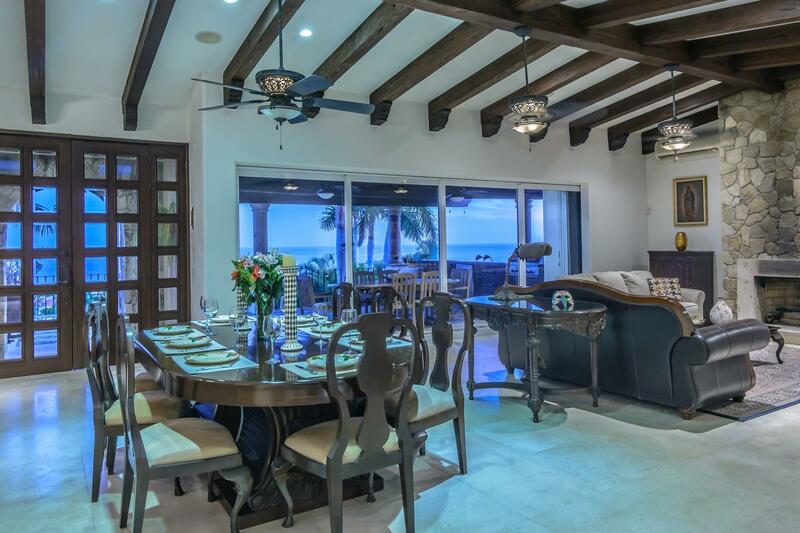 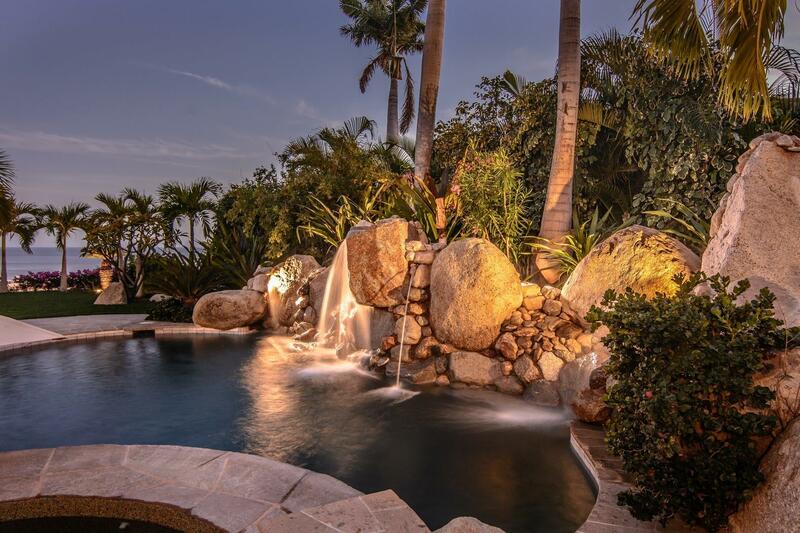 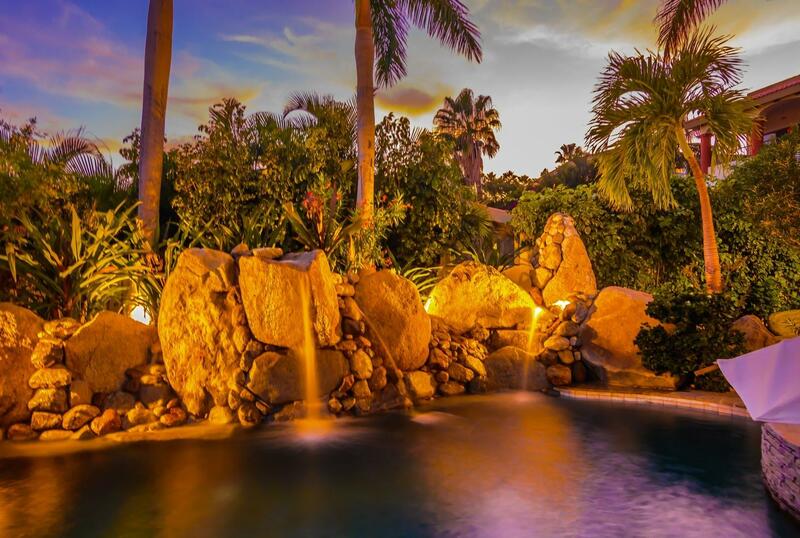 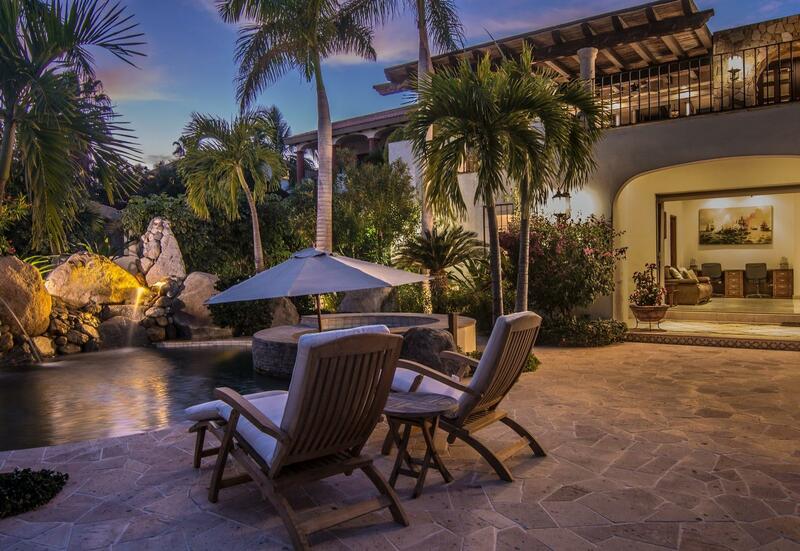 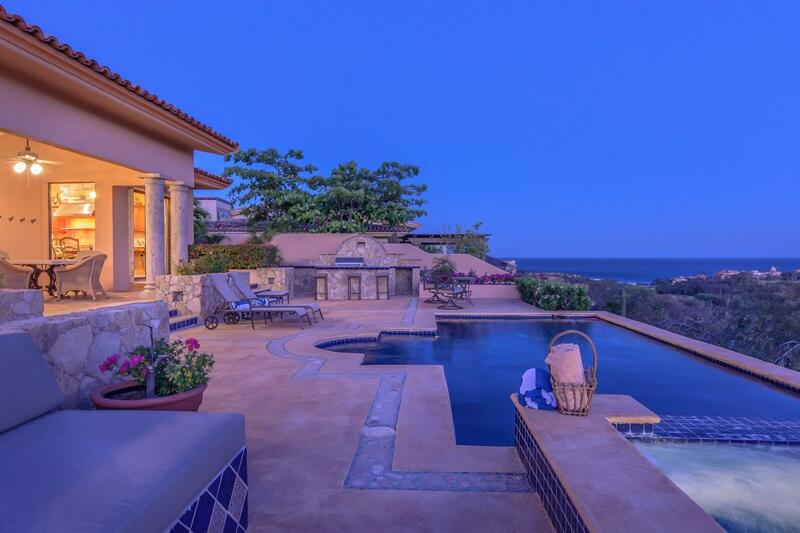 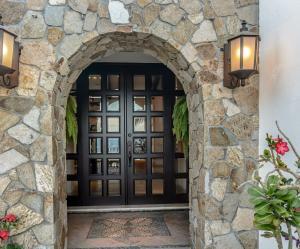 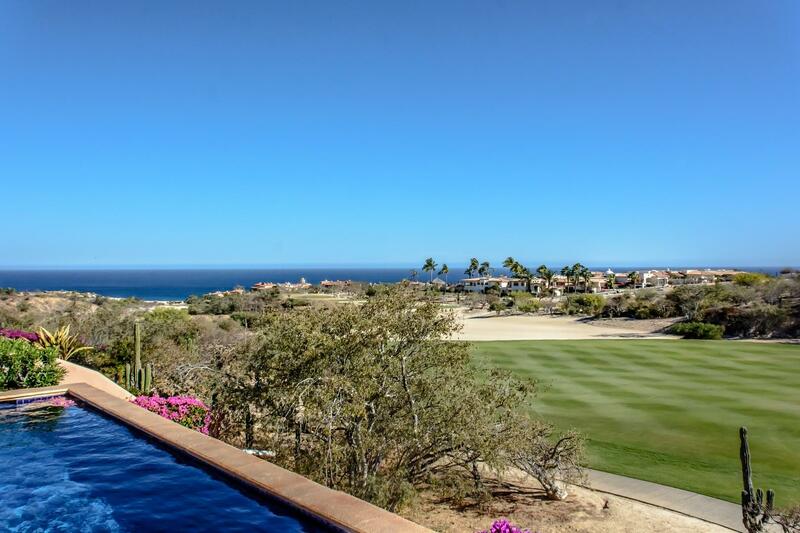 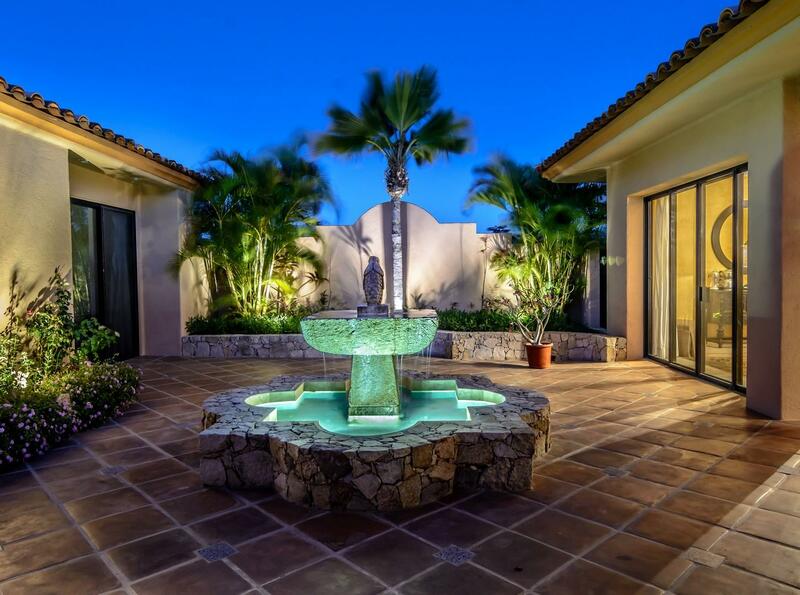 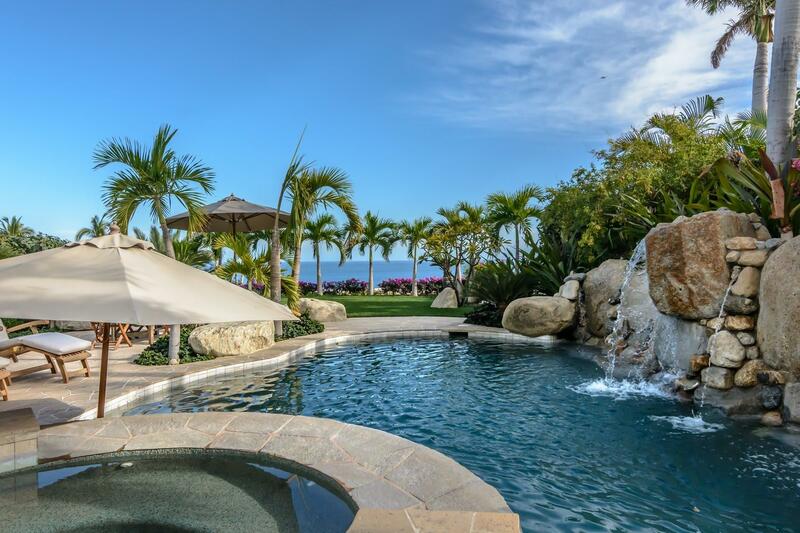 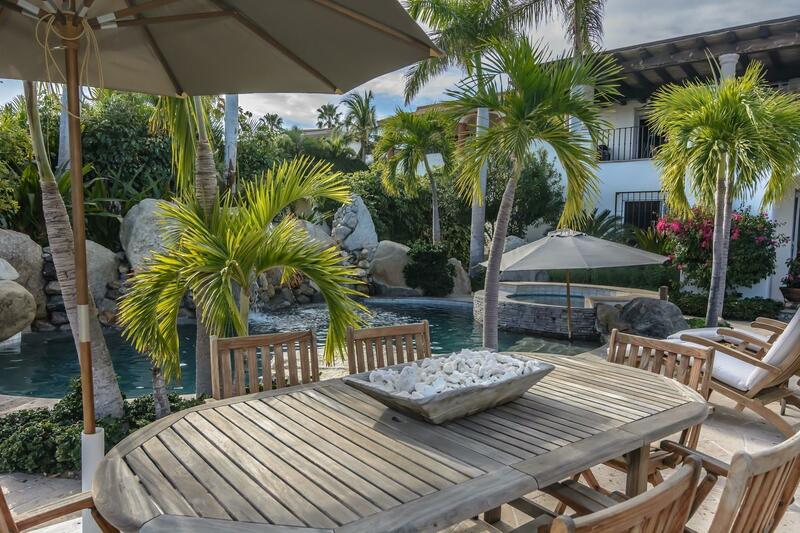 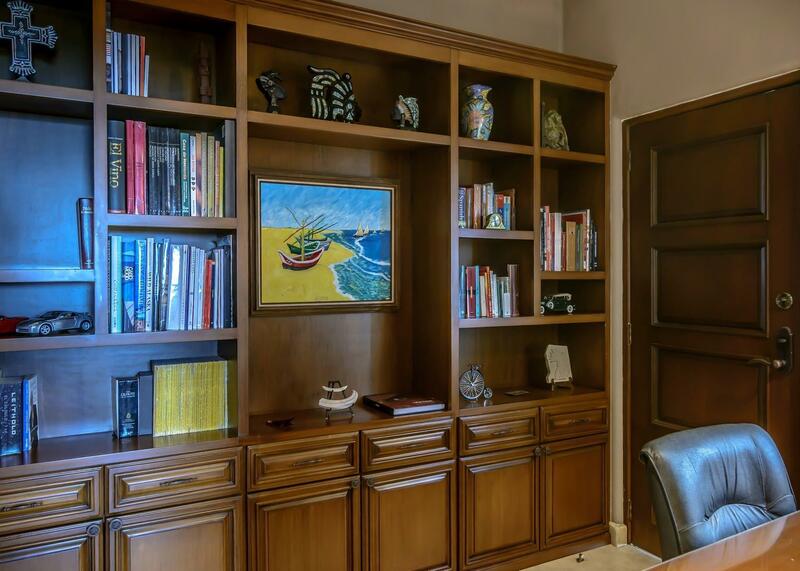 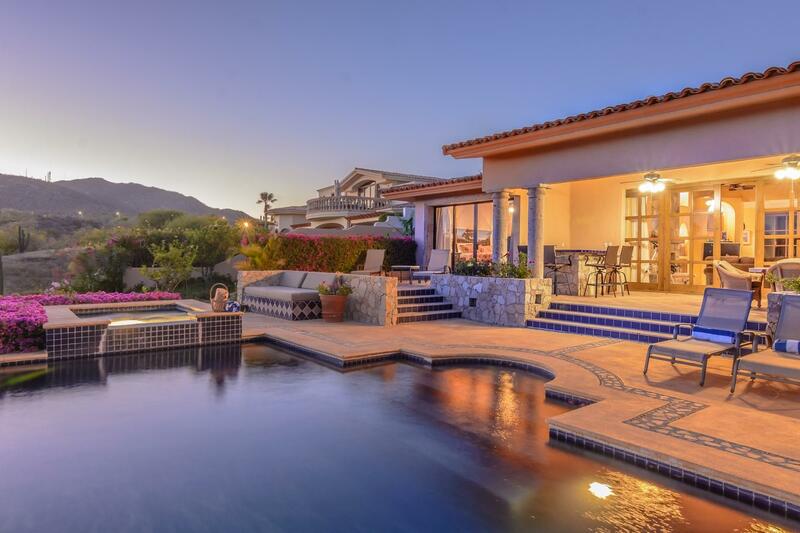 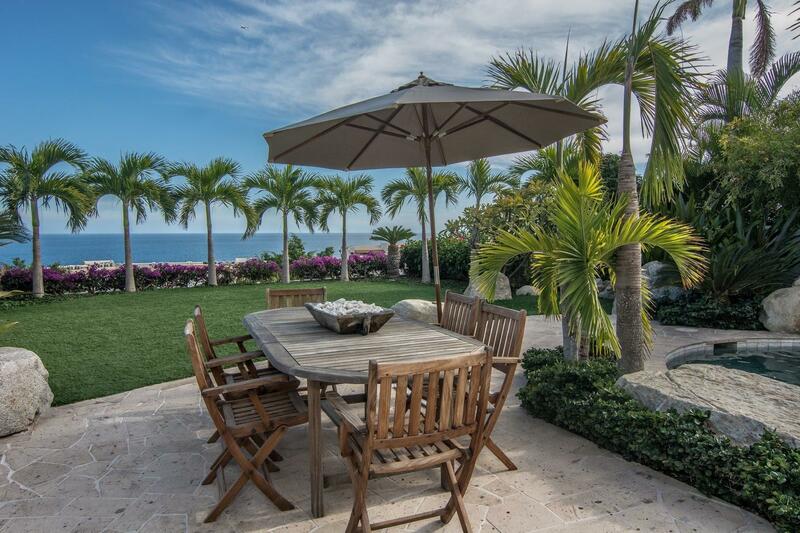 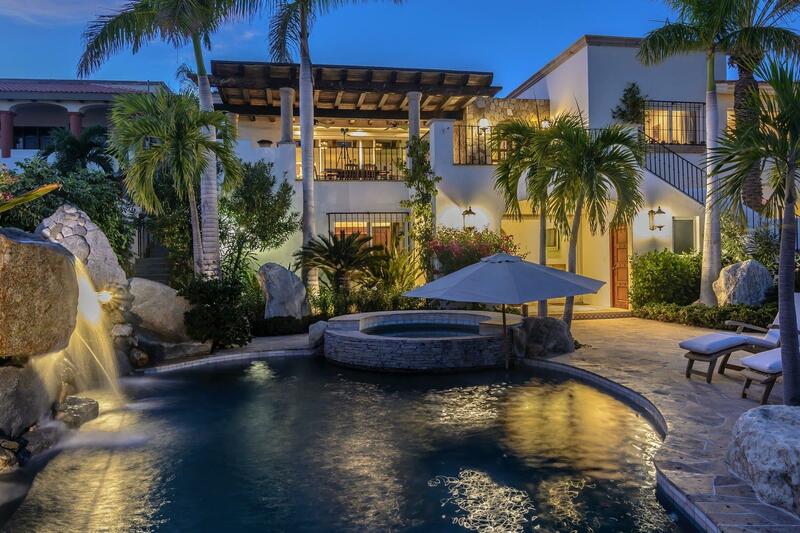 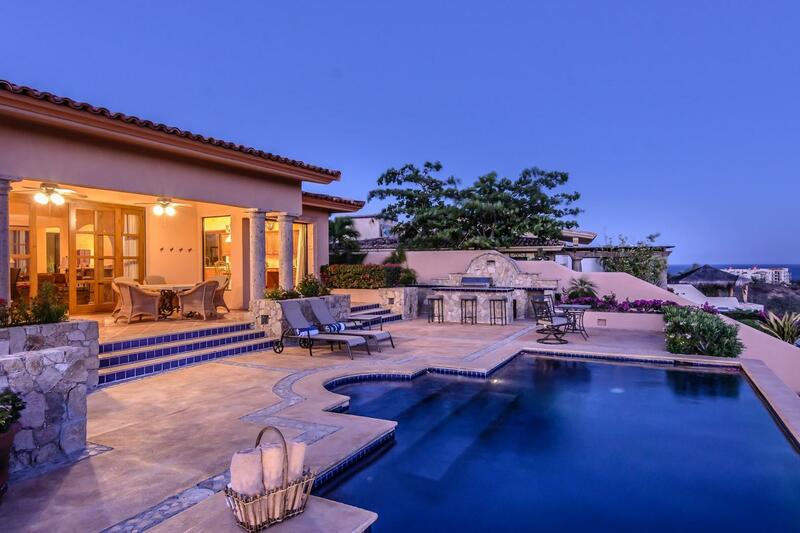 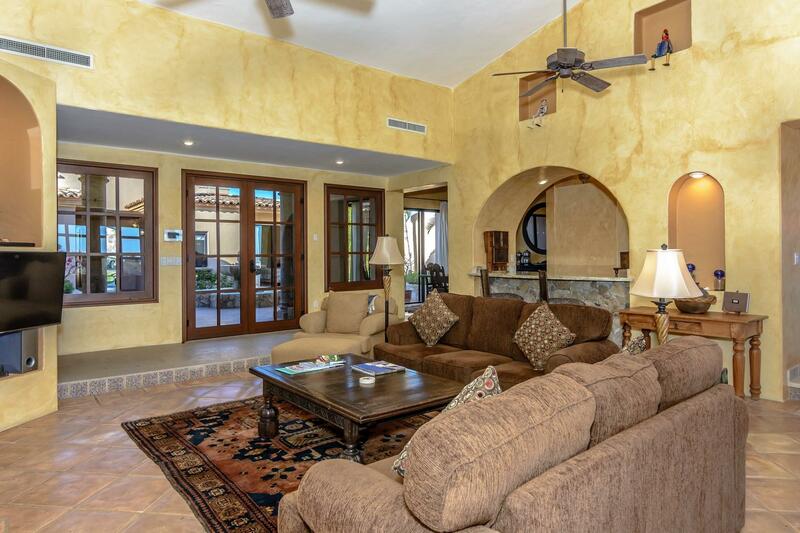 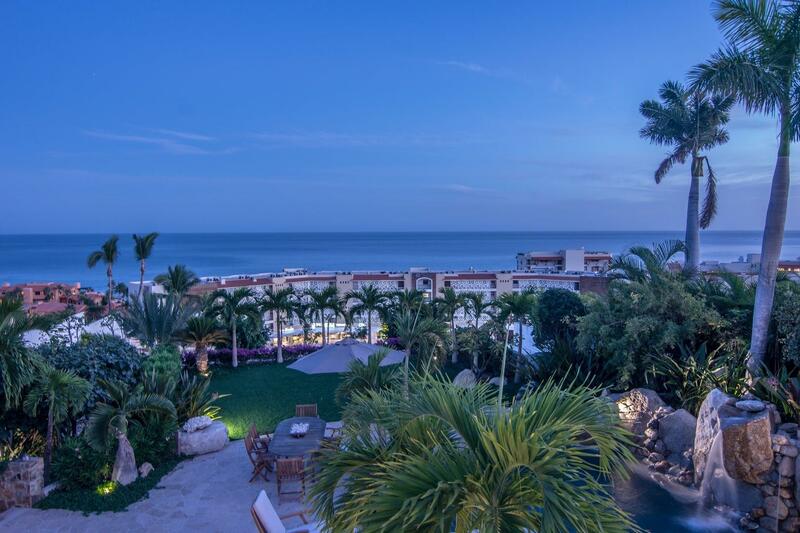 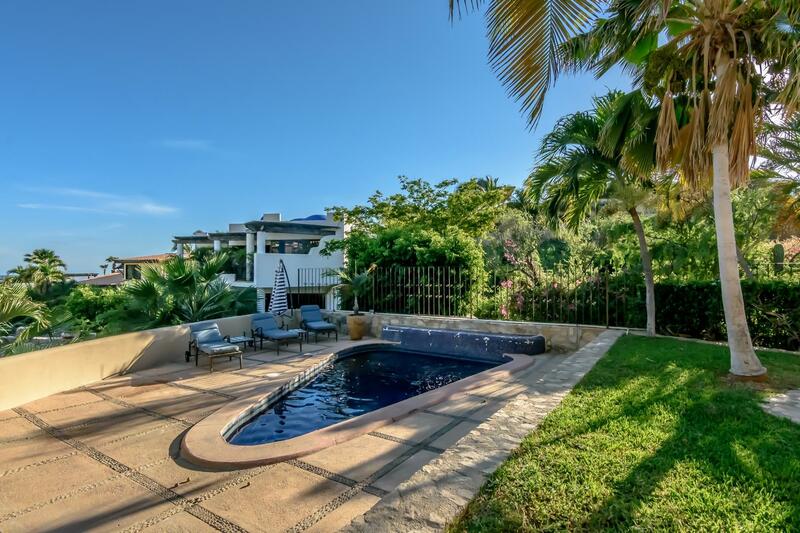 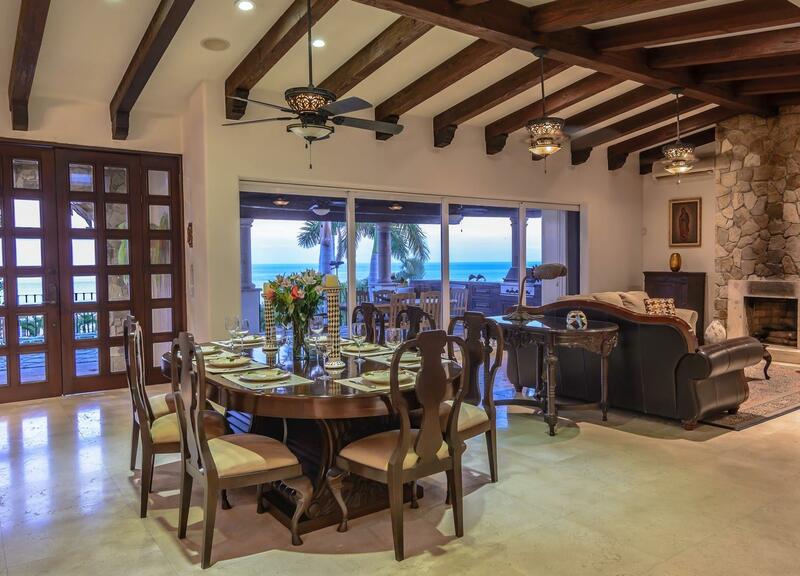 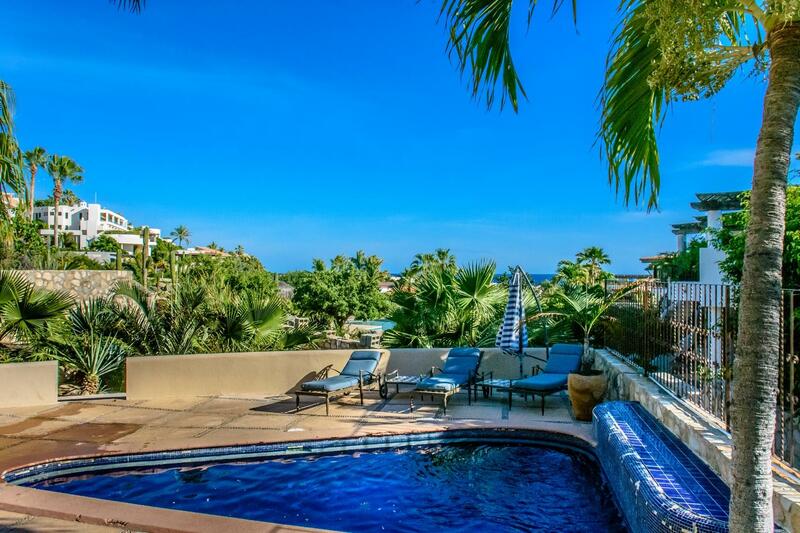 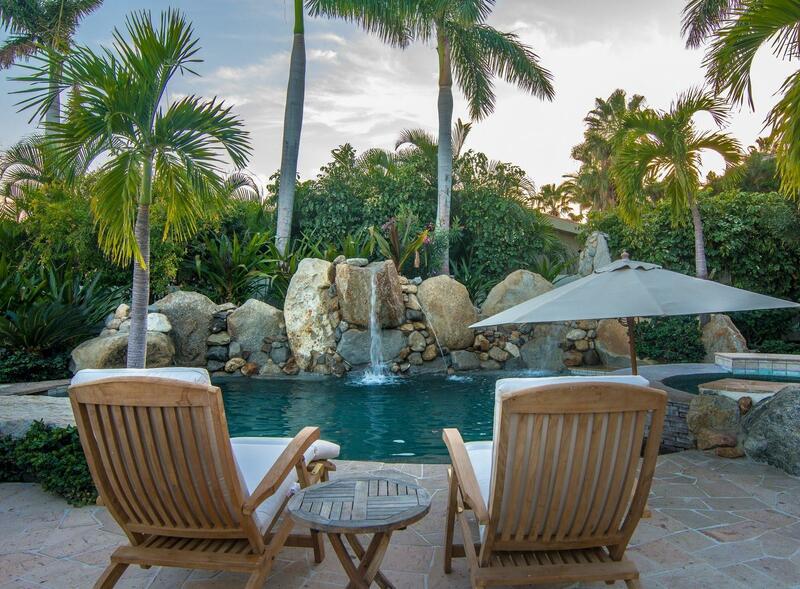 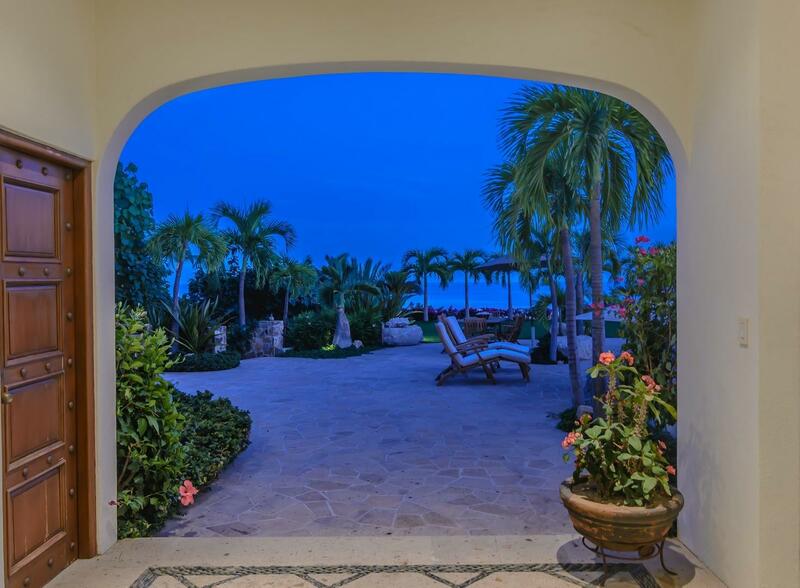 Casa Holbrook boasts 8 bedrooms, 7.5 baths, 4 kitchens, a saltwater pool with a wet deck, in-pool seating w/table, an awesome infinity pool, LED lighting and water features! 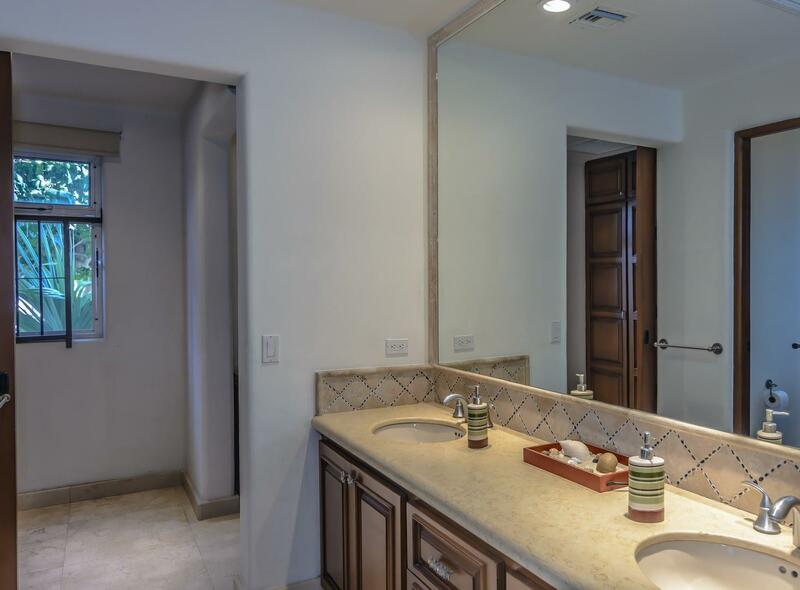 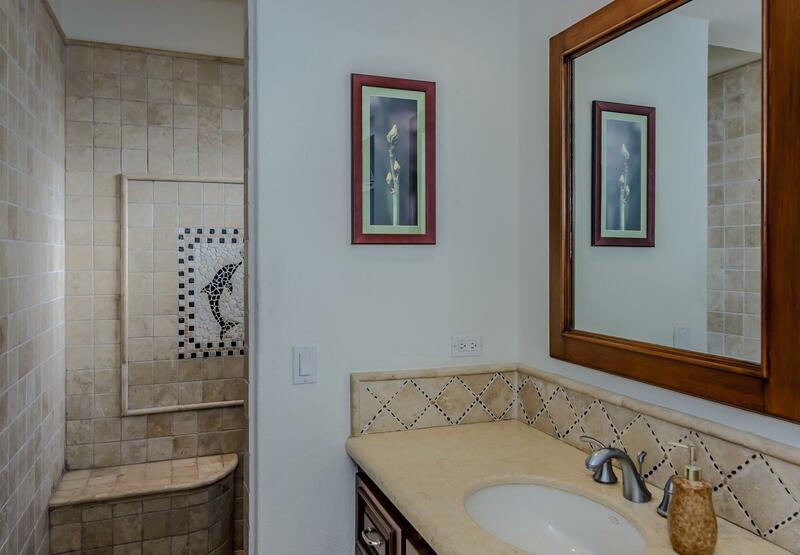 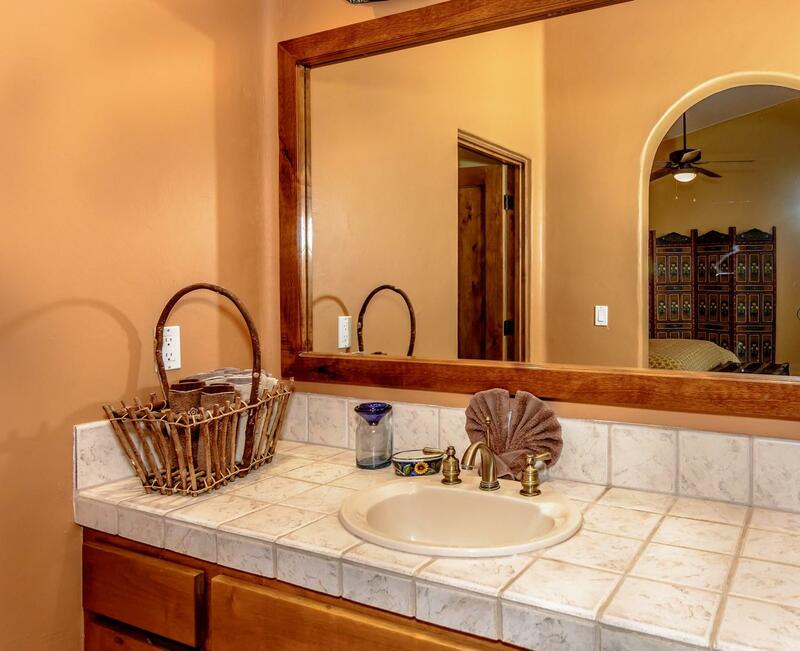 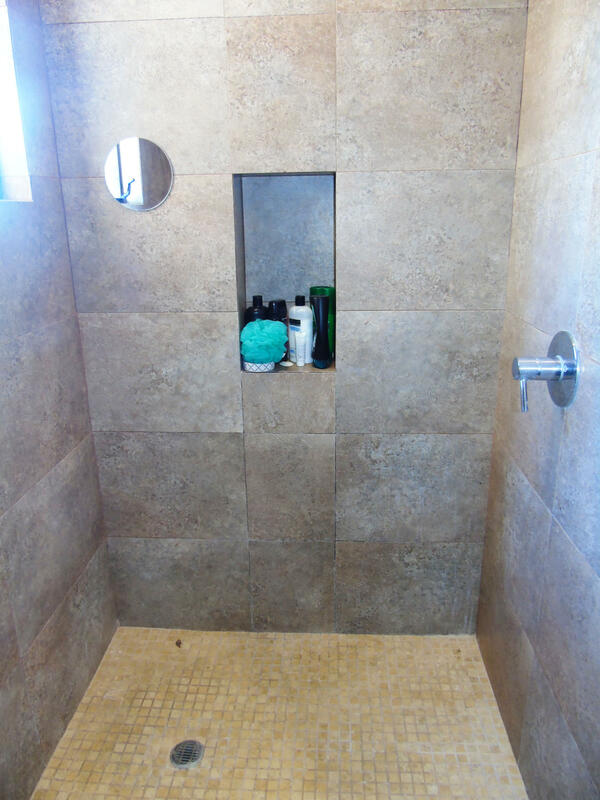 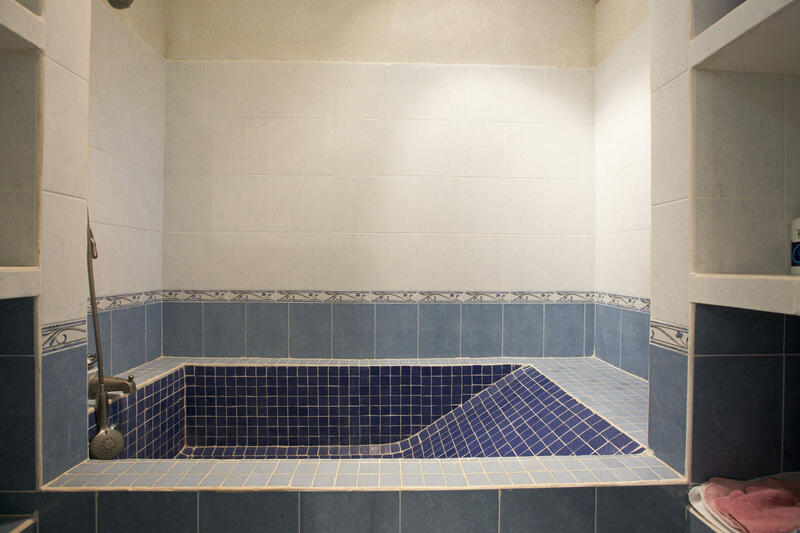 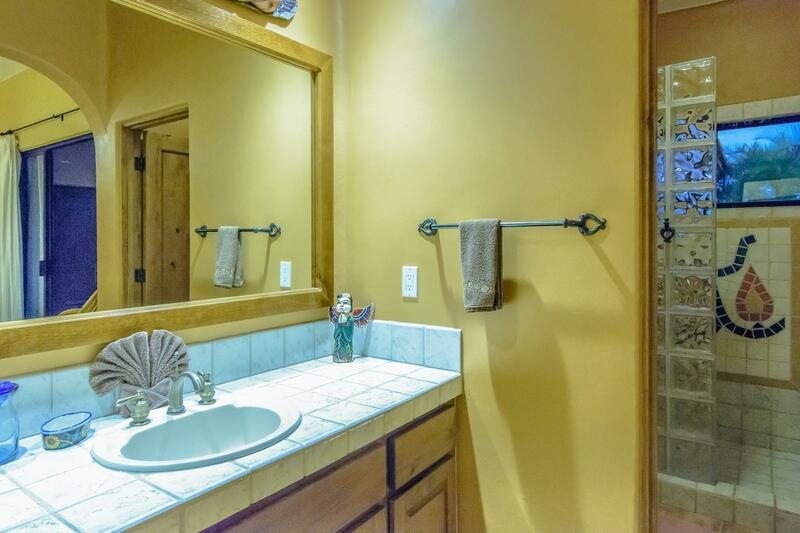 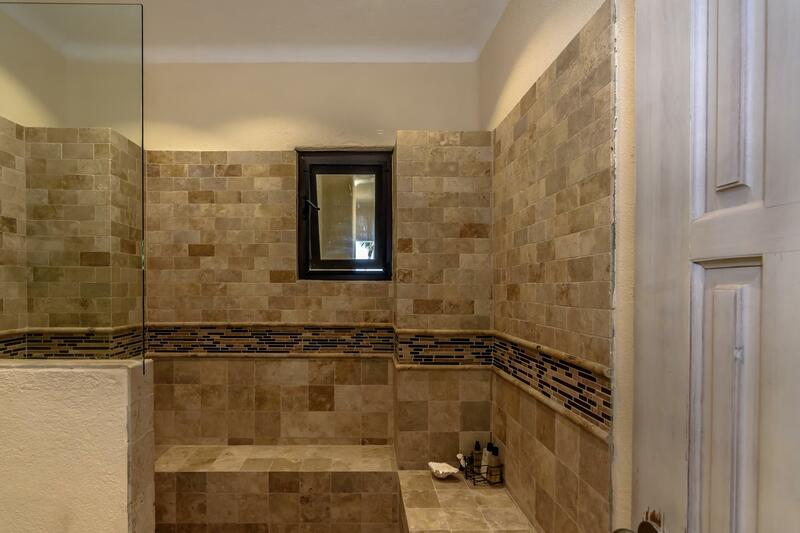 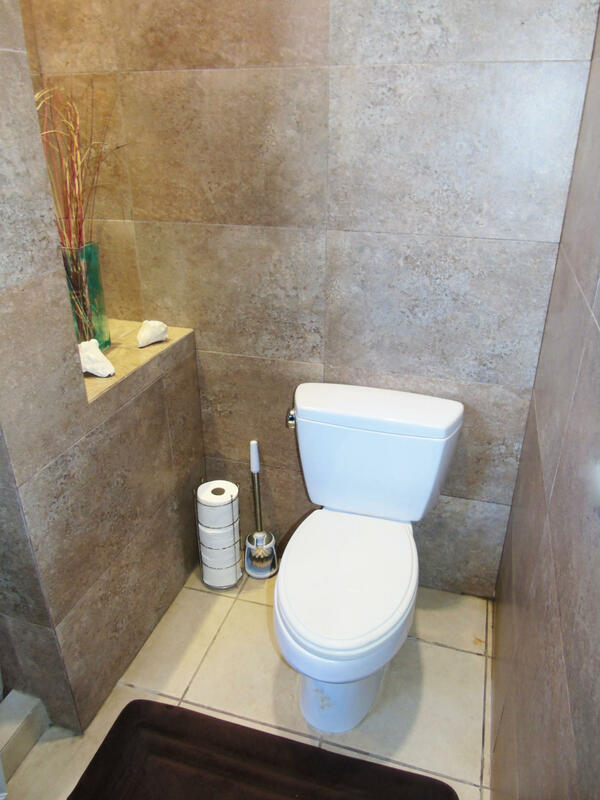 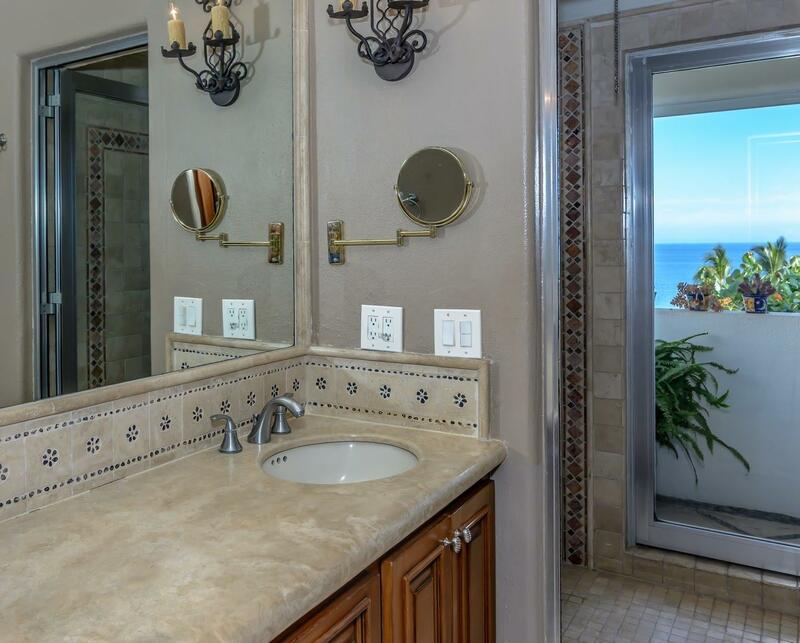 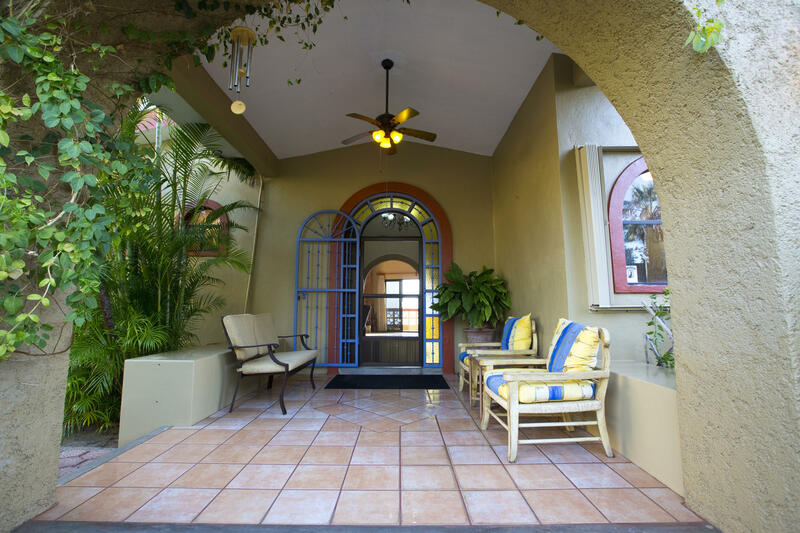 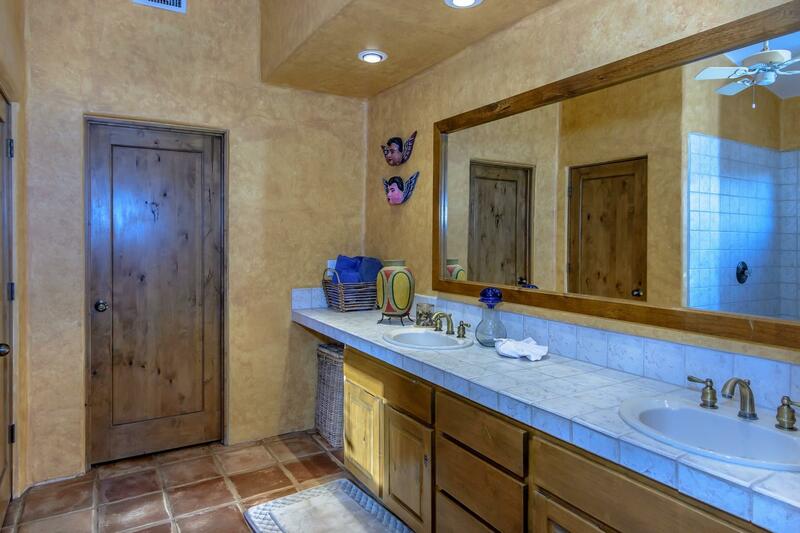 The beach bodega has a full bathroom, perfect for those poolside BBQ parties. 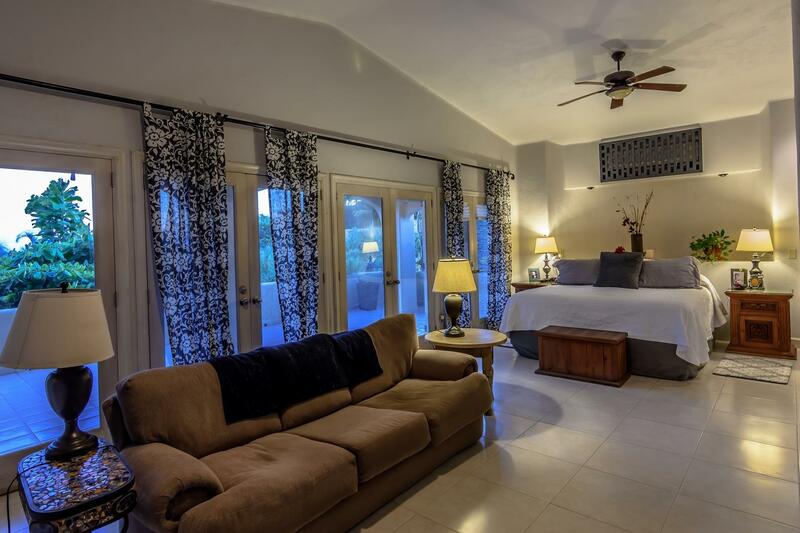 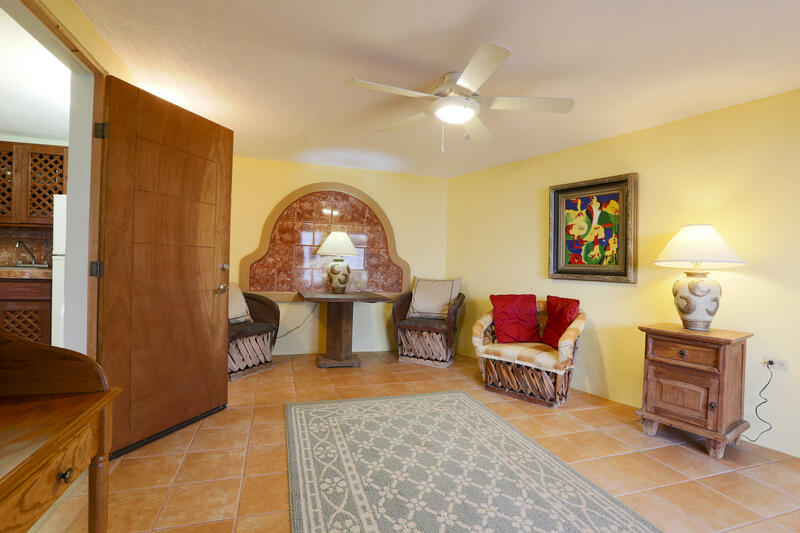 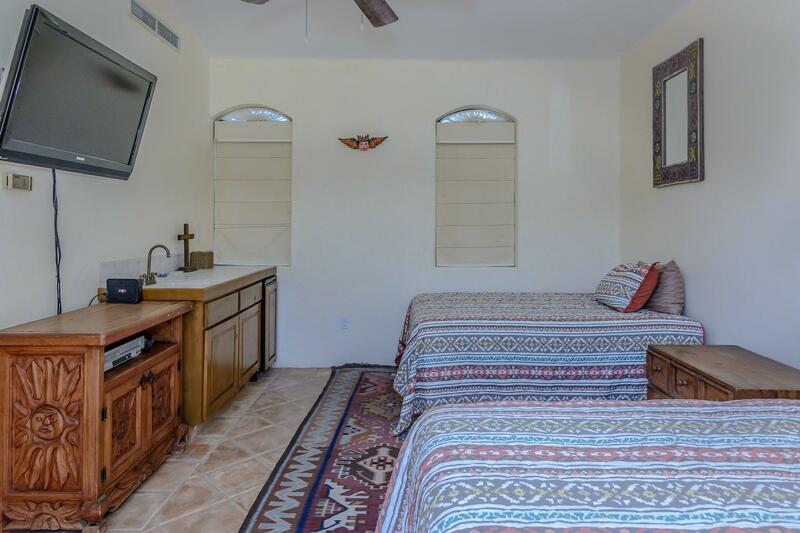 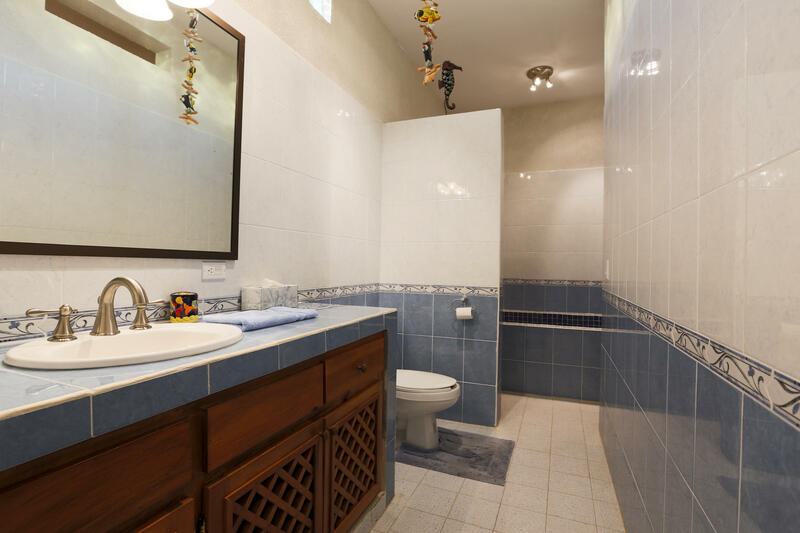 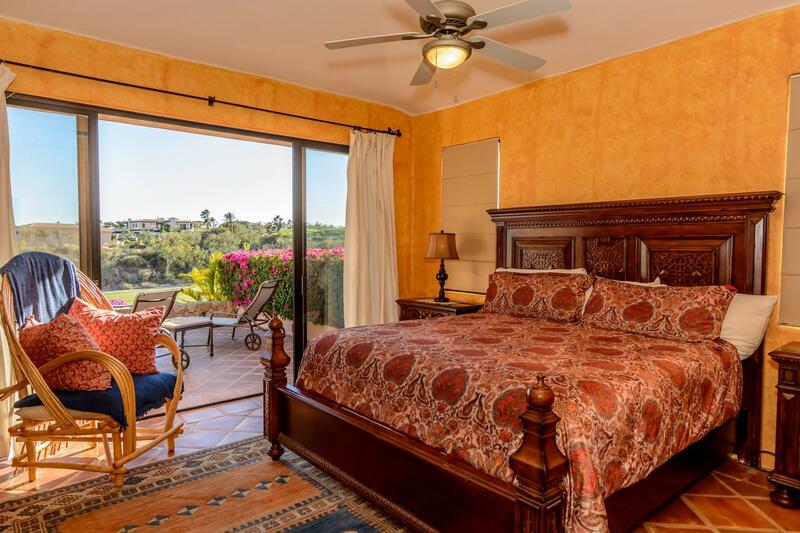 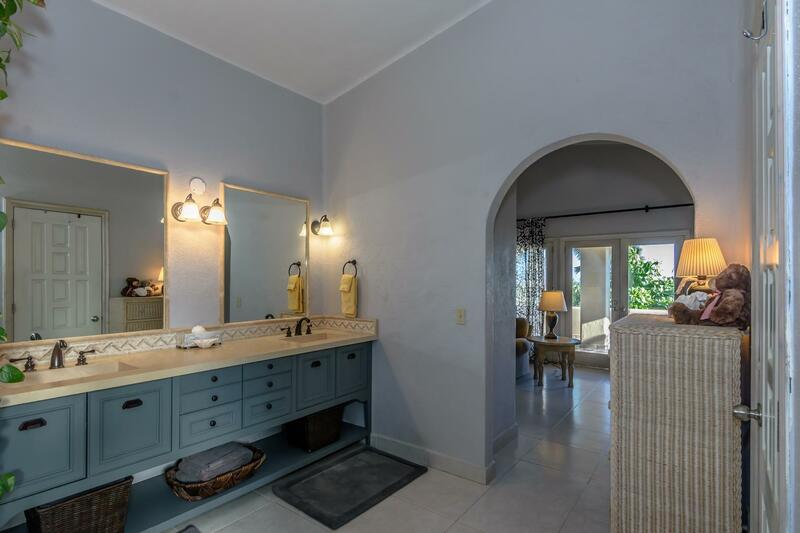 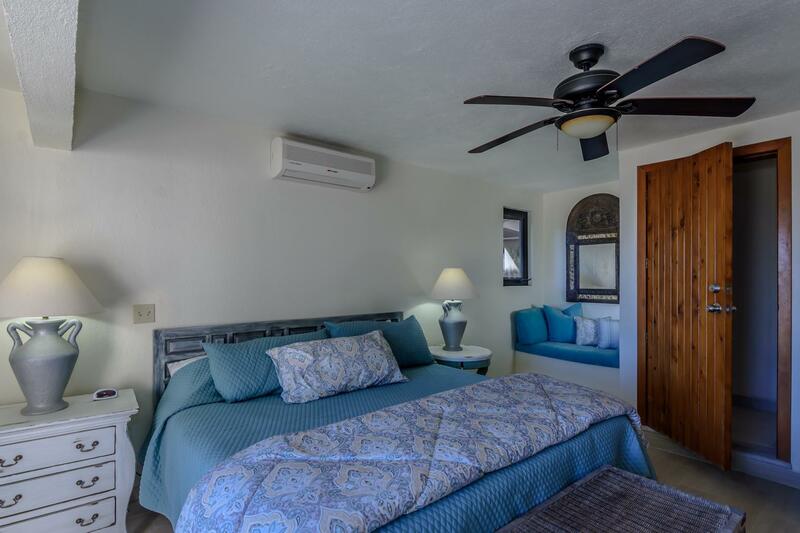 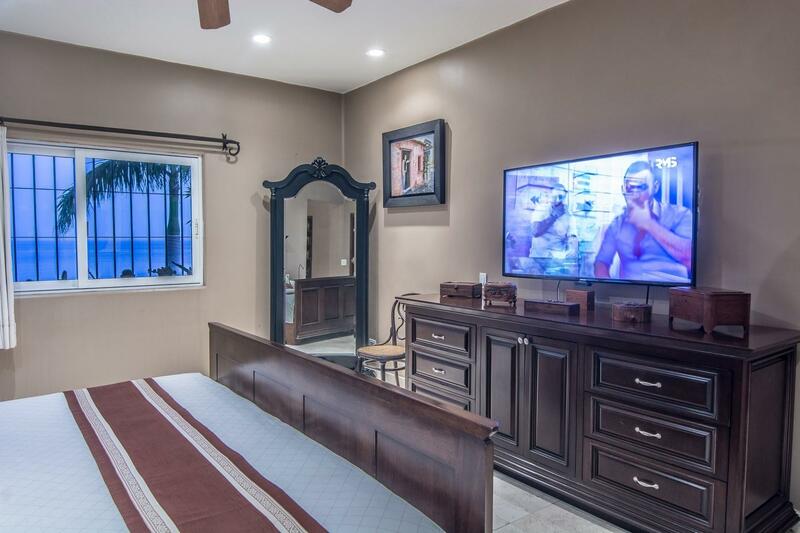 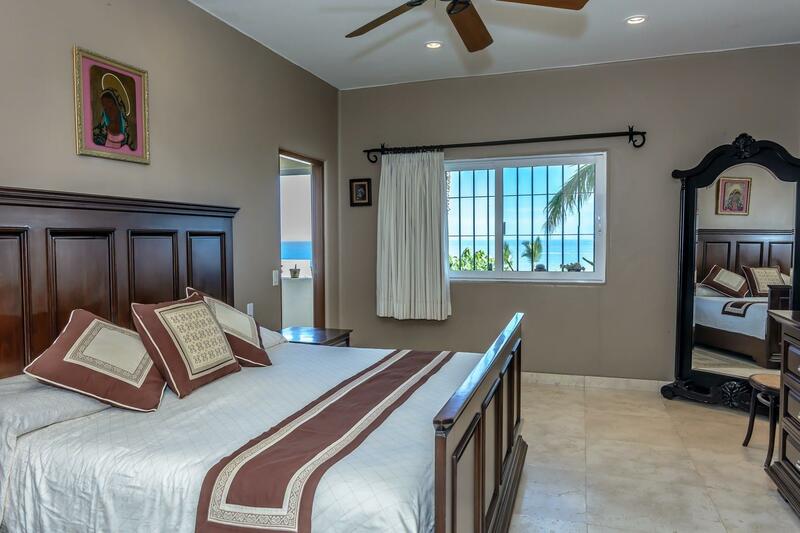 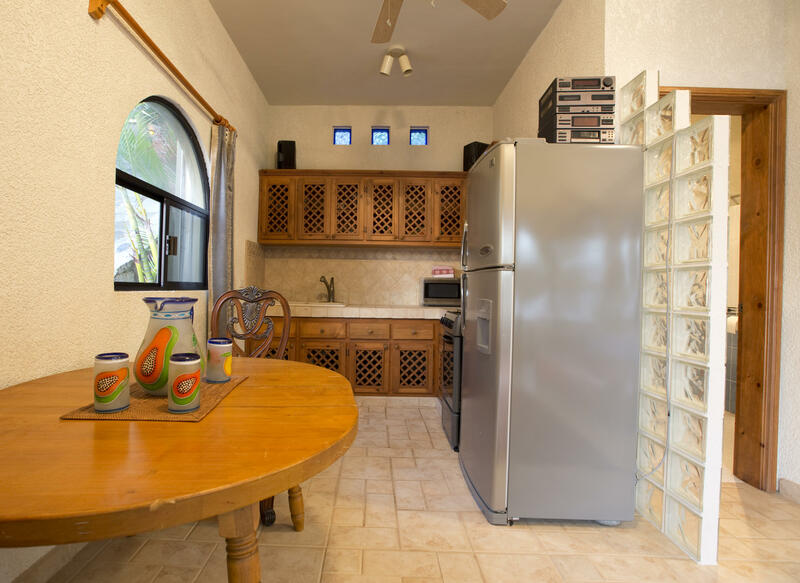 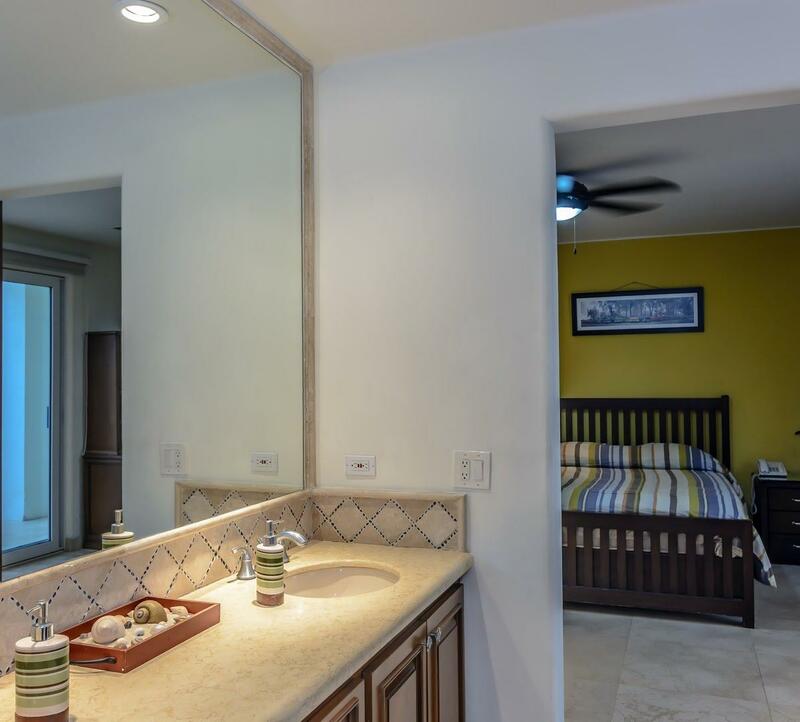 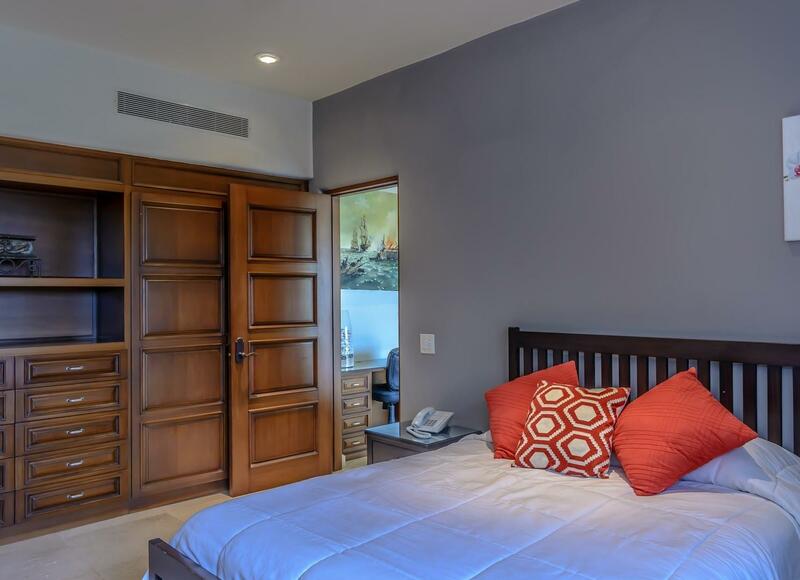 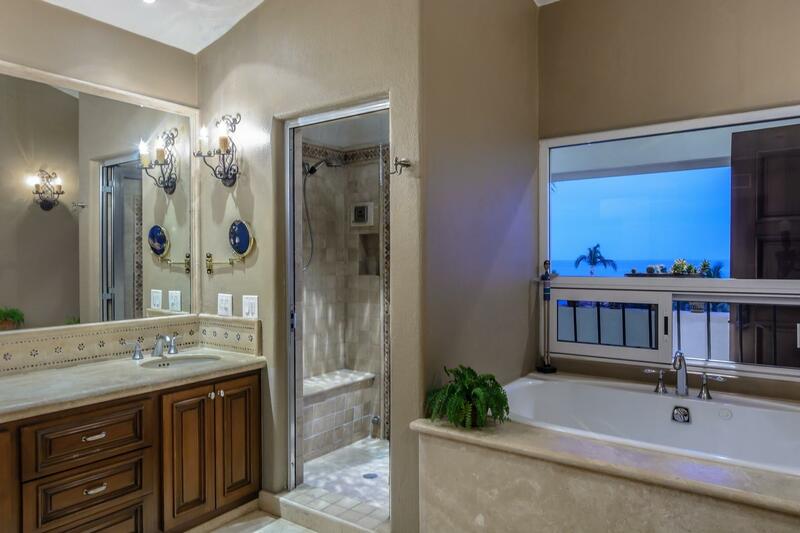 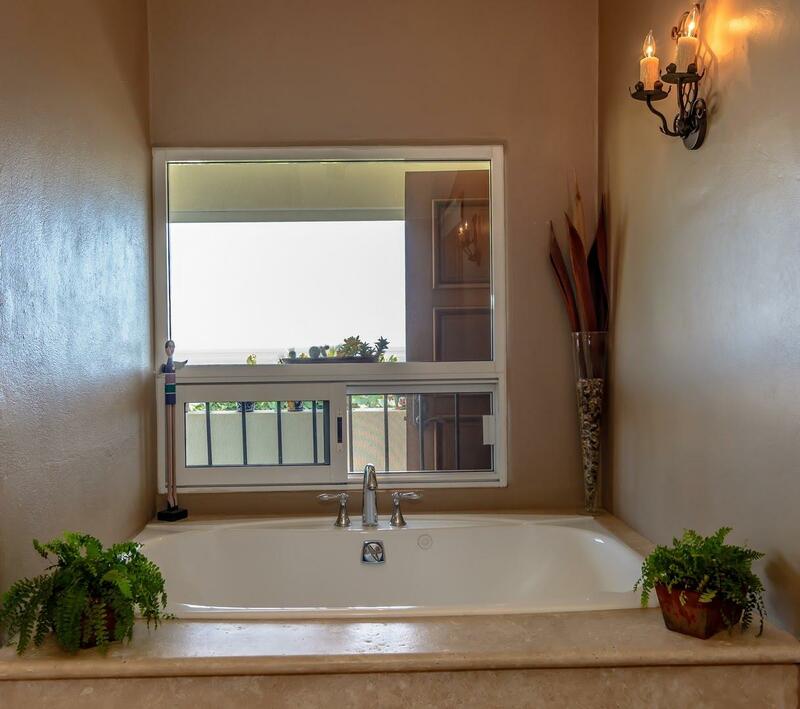 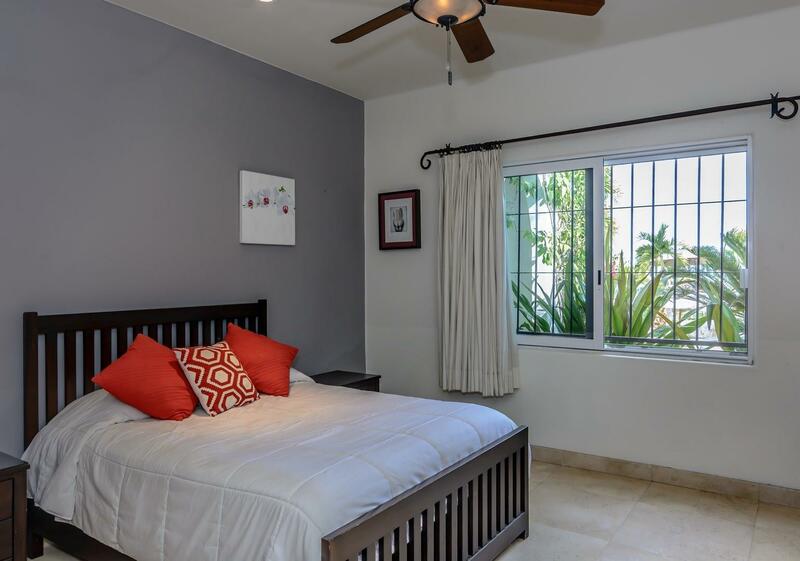 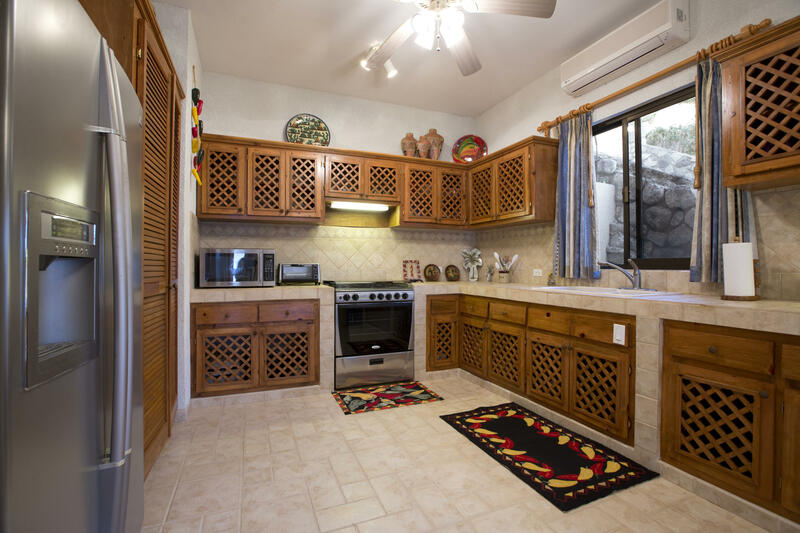 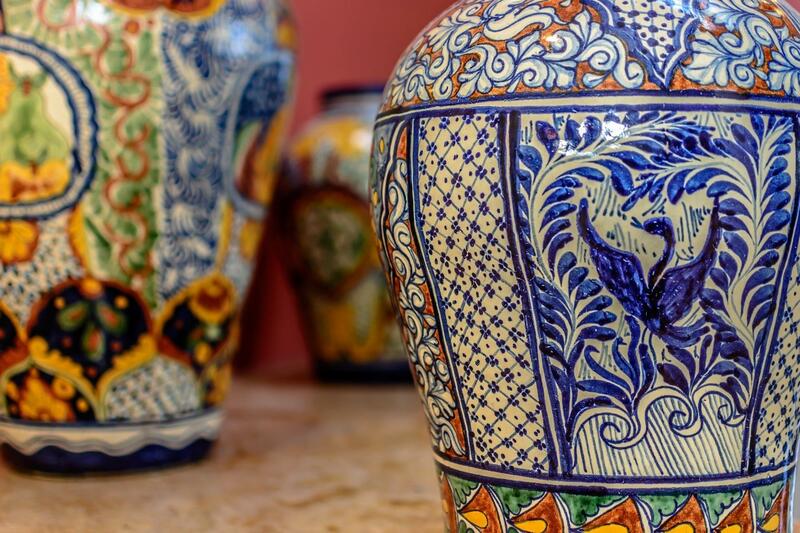 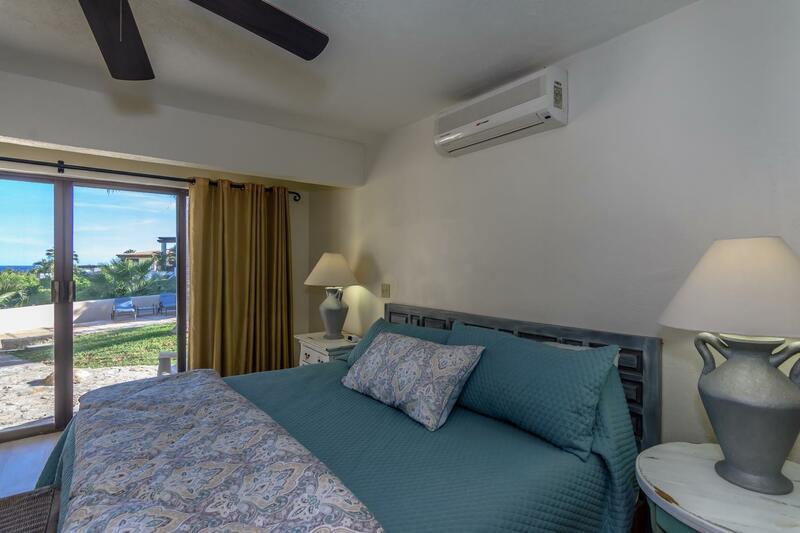 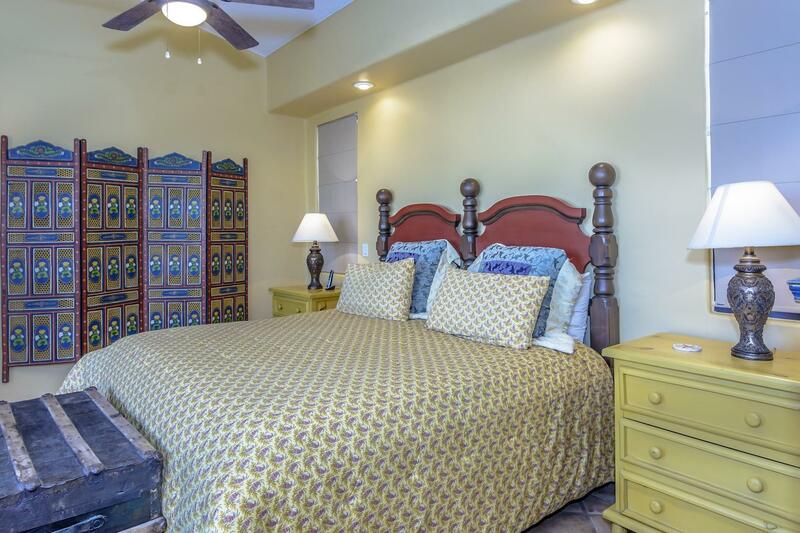 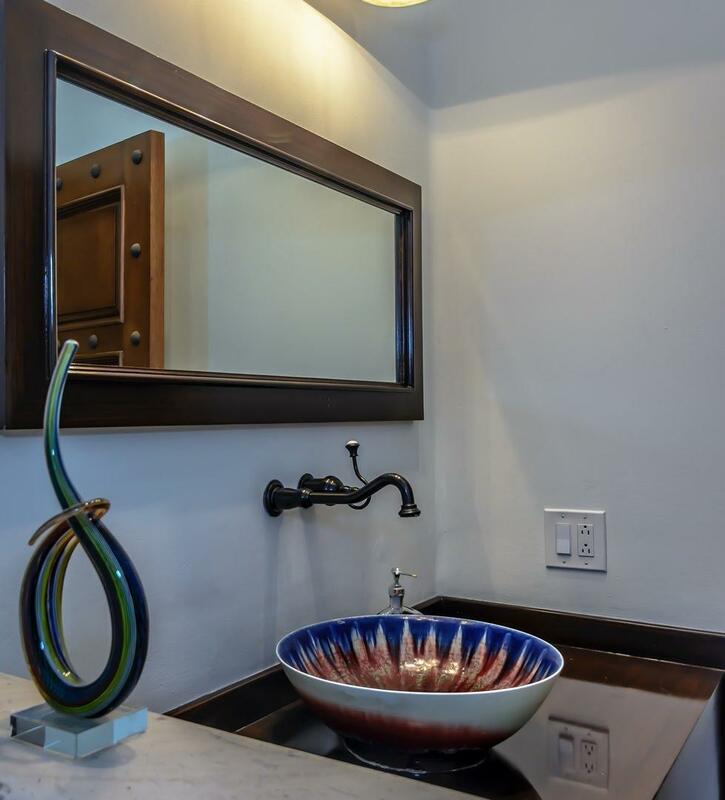 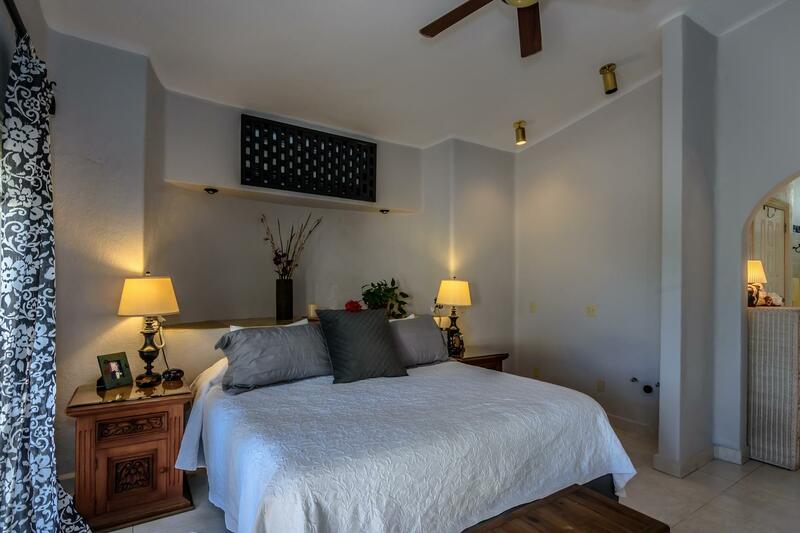 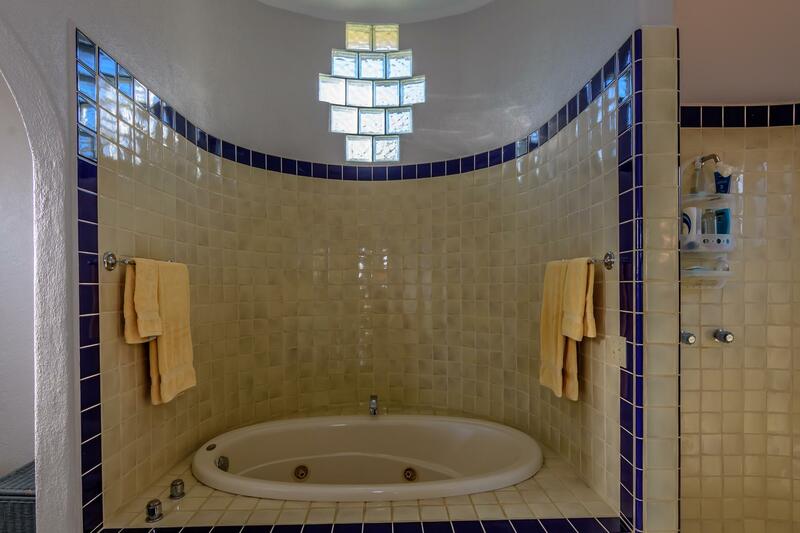 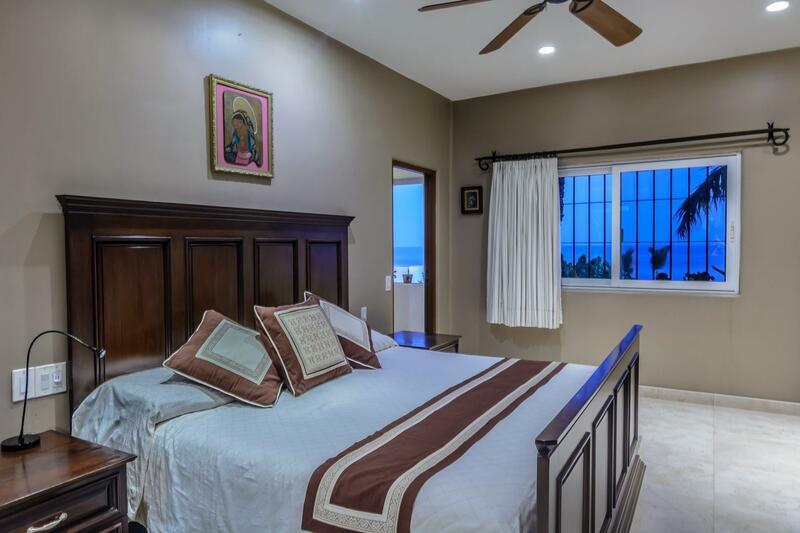 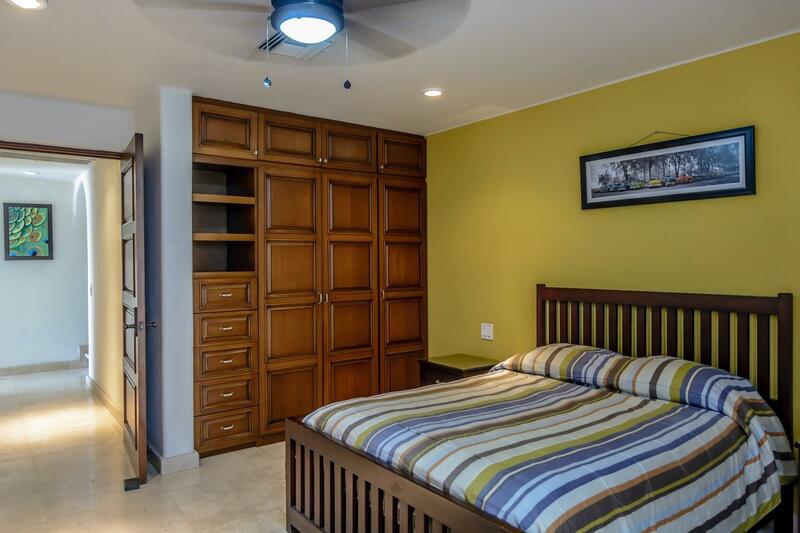 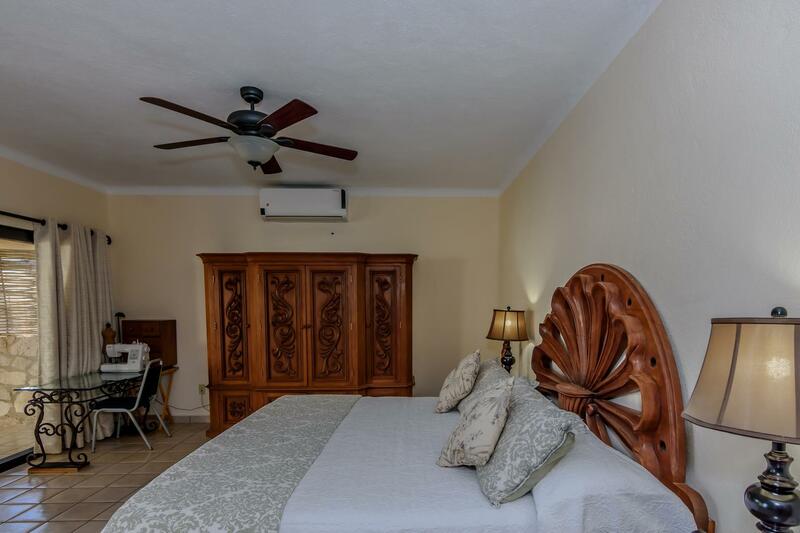 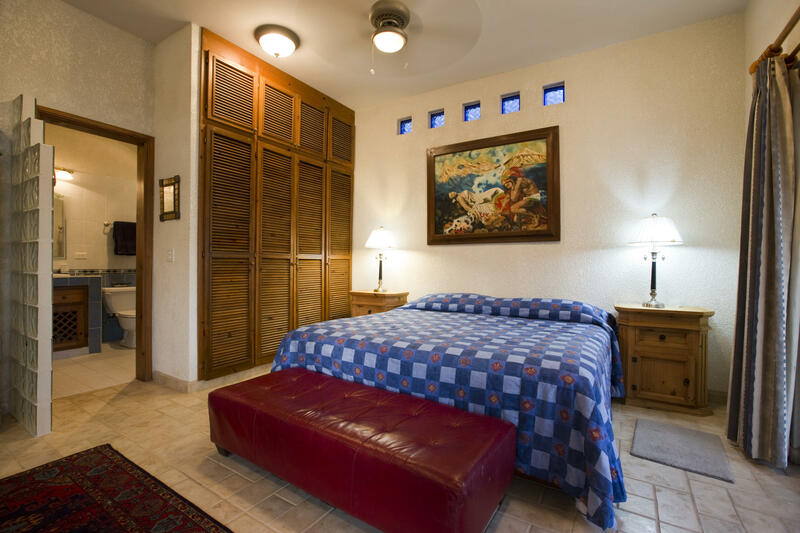 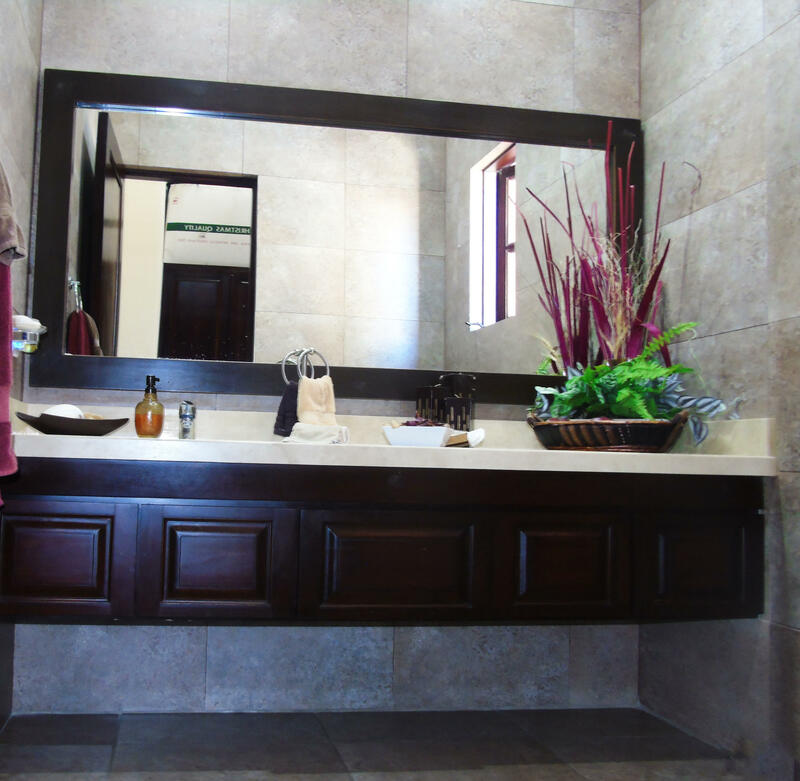 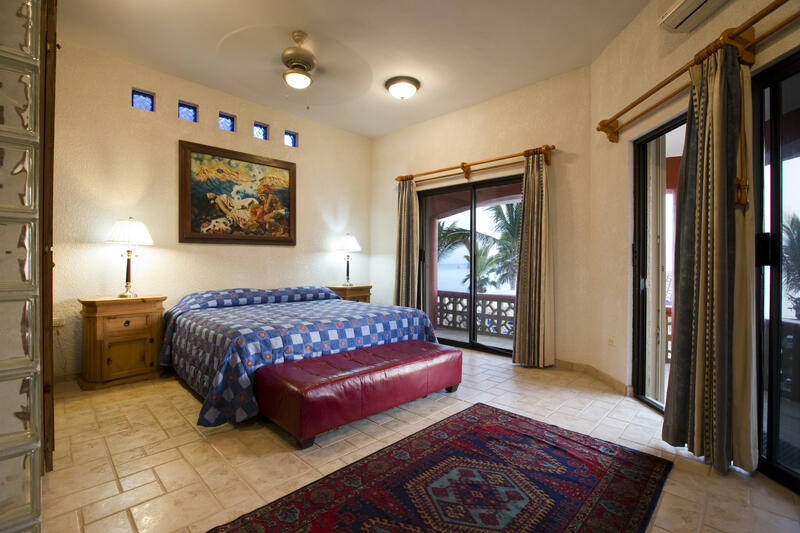 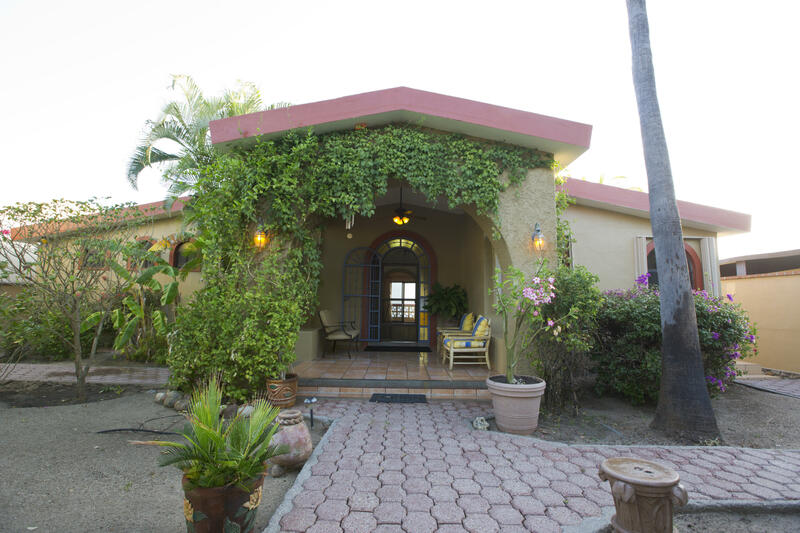 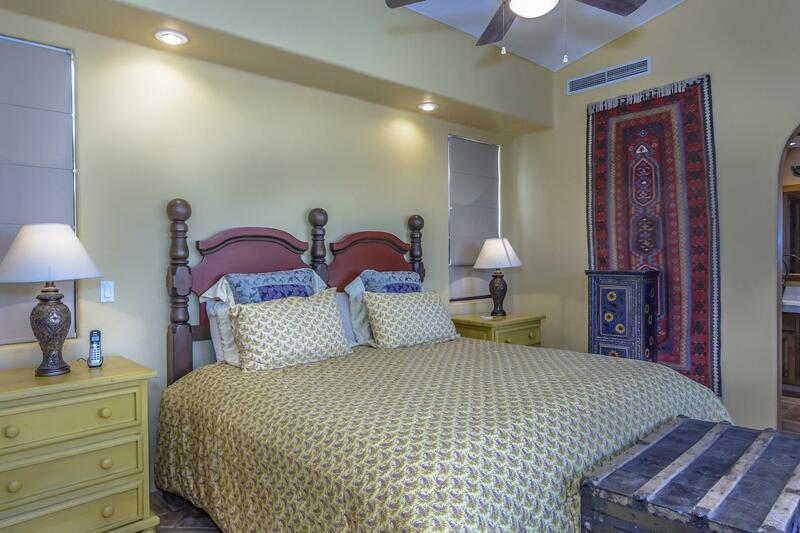 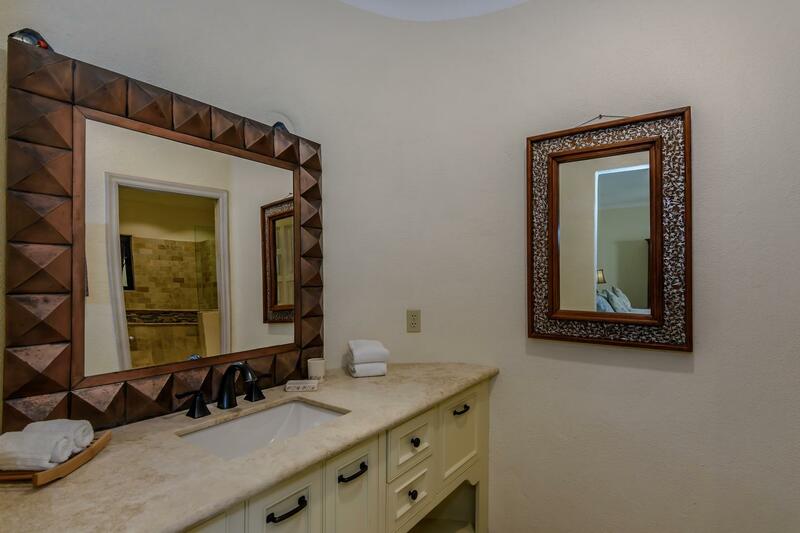 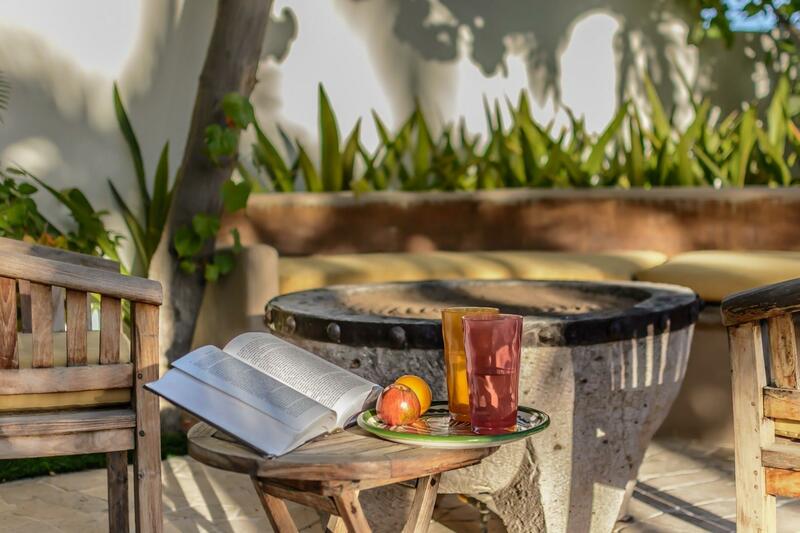 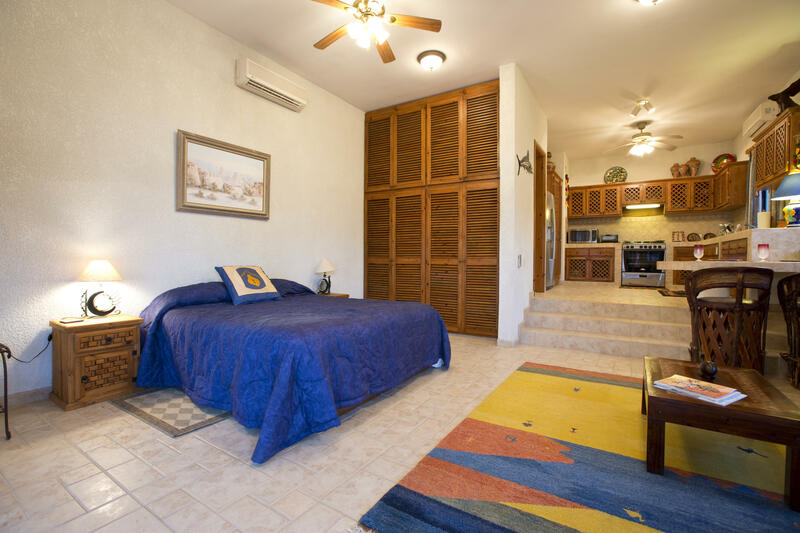 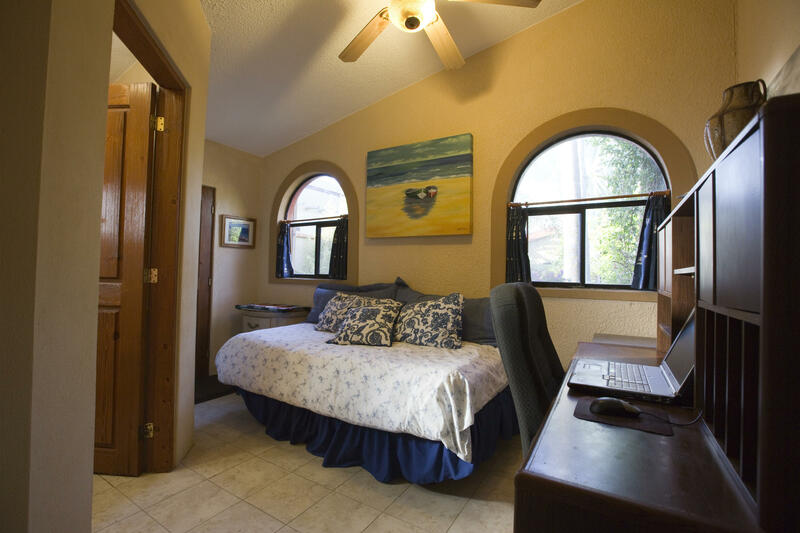 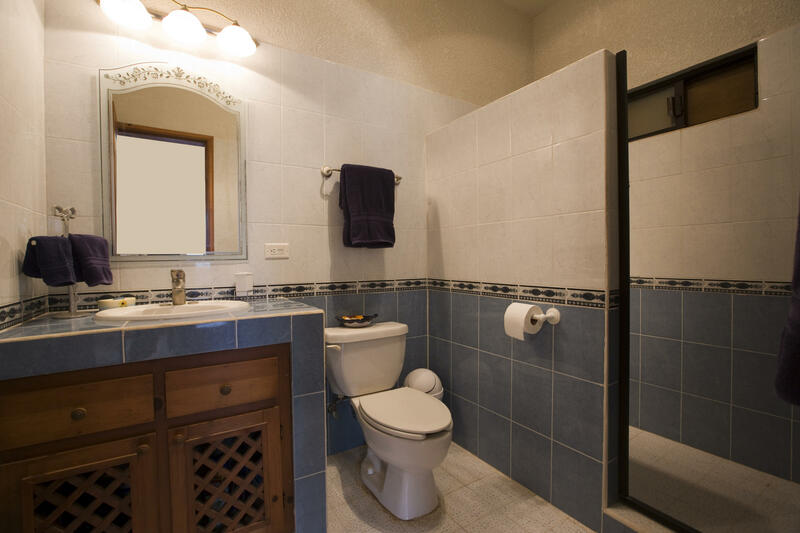 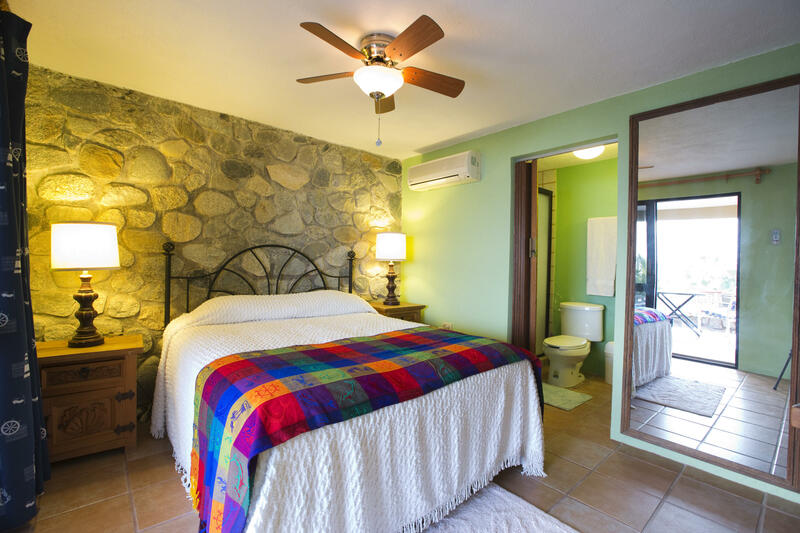 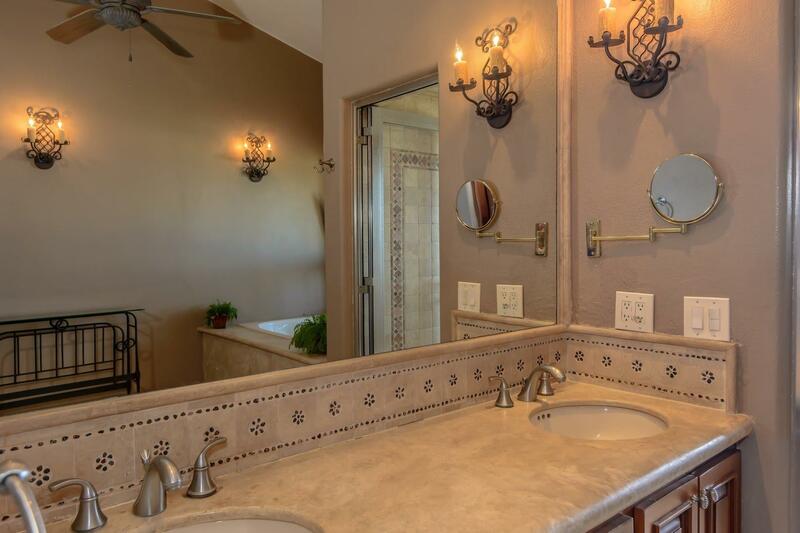 Two freestanding casitas with king beds, full kitchens and one very special tiled tub in one bathroom ensures your guests enjoy their own privacy while visiting. 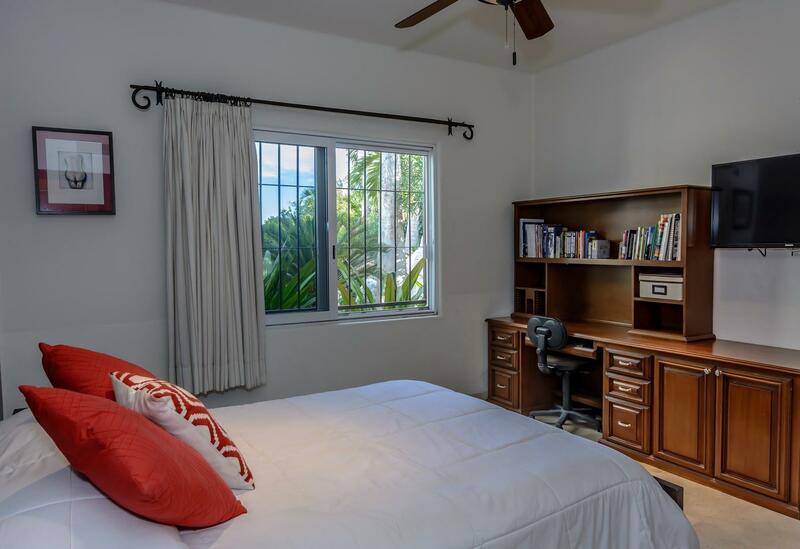 The downstairs 2BR apartment has a queen bed/bath on one side and king bed/bath on the other with a kitchen and sitting room that could be used as another bedroom in the middle. 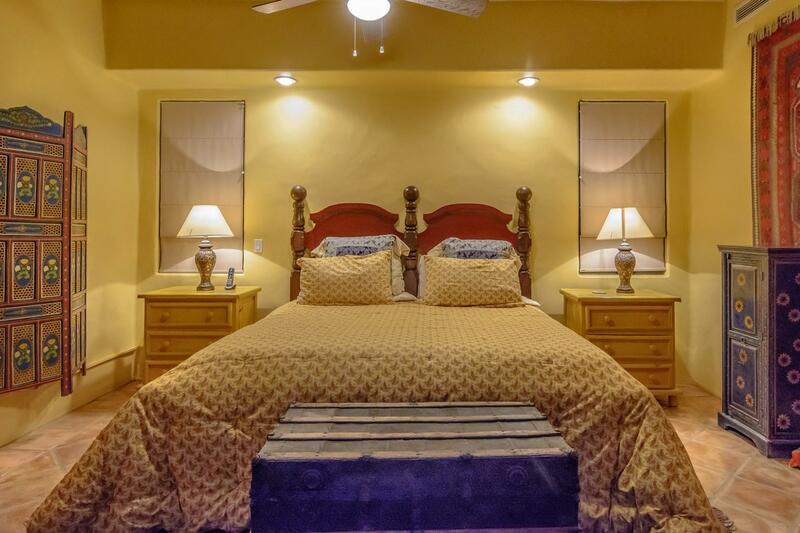 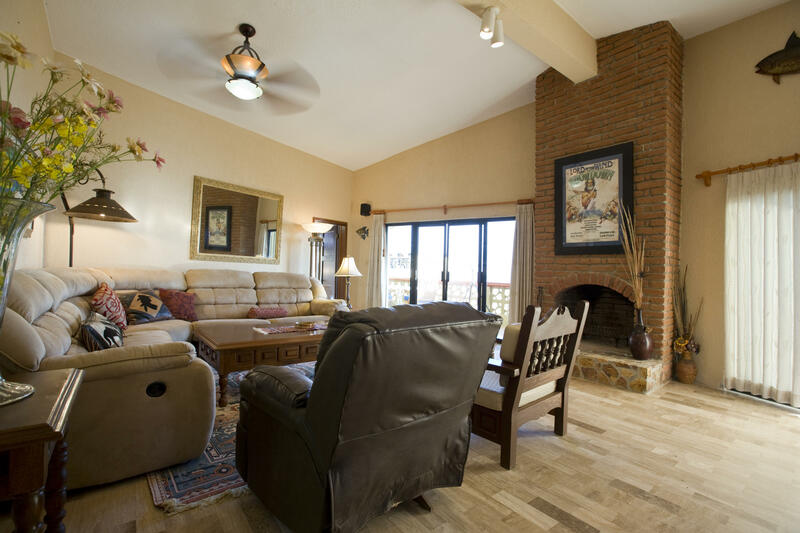 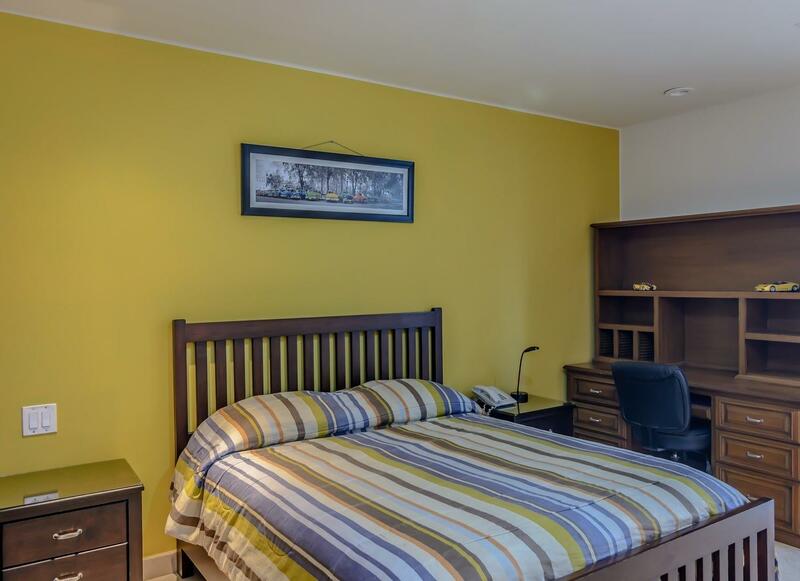 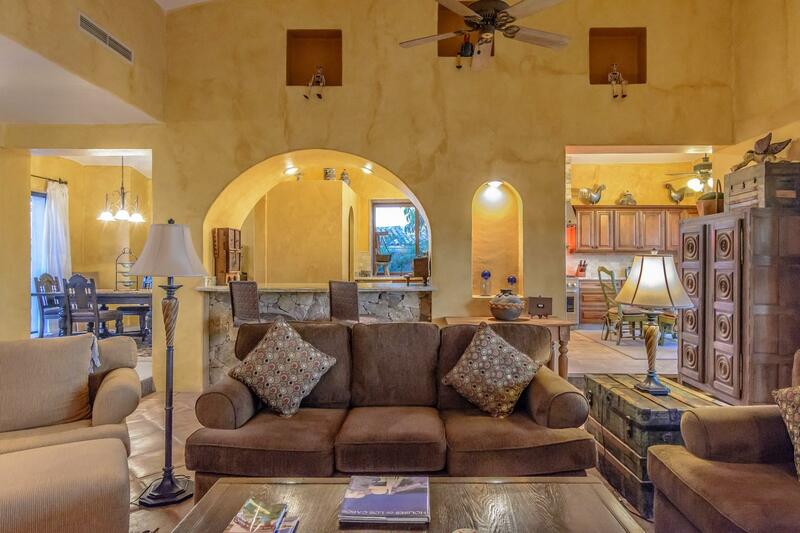 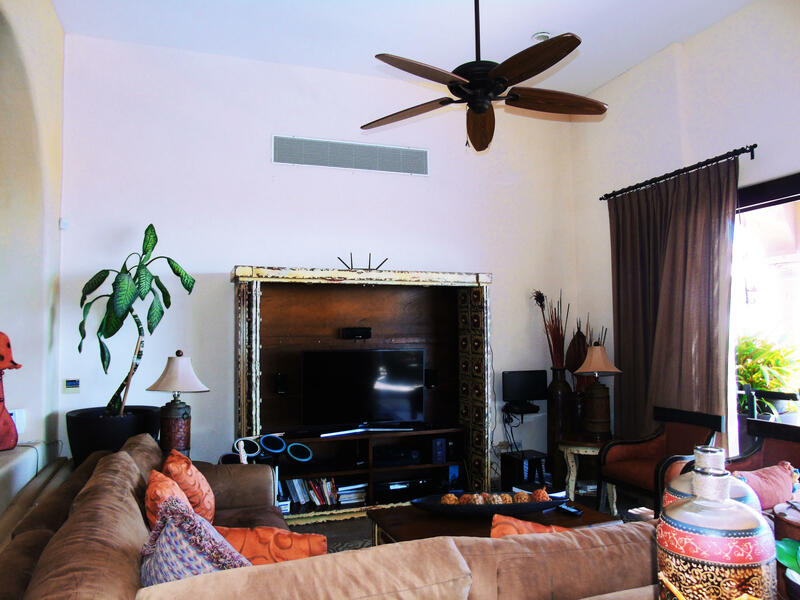 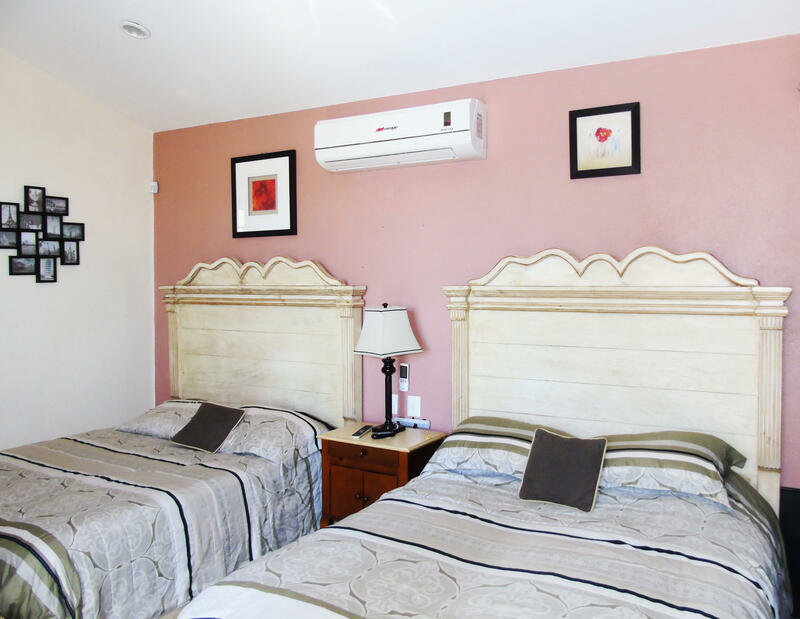 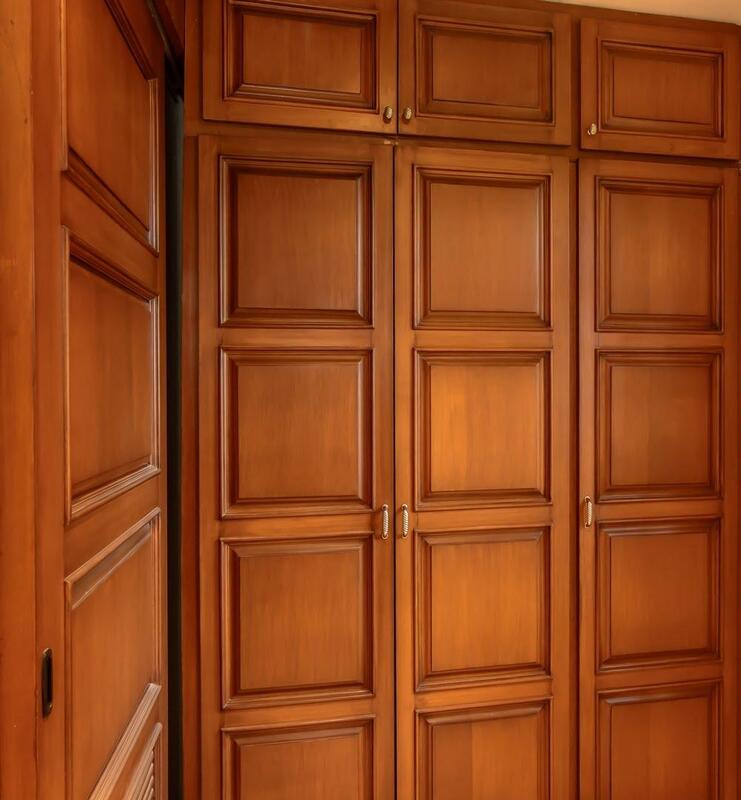 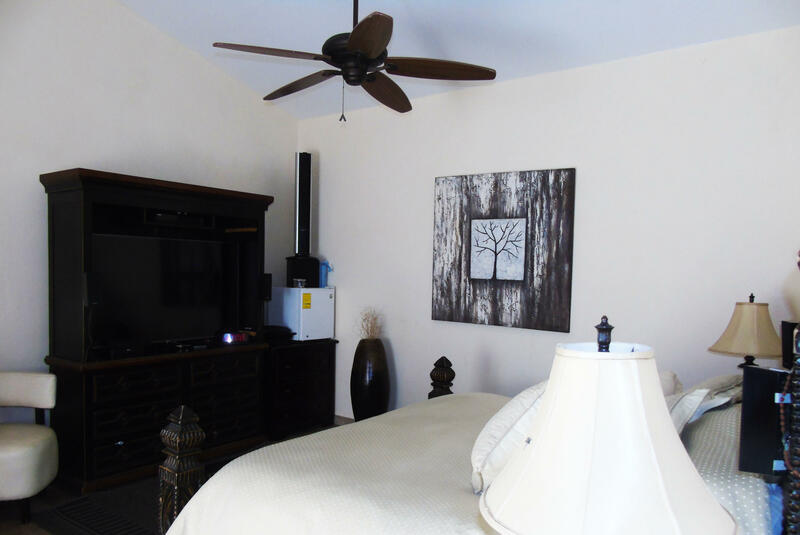 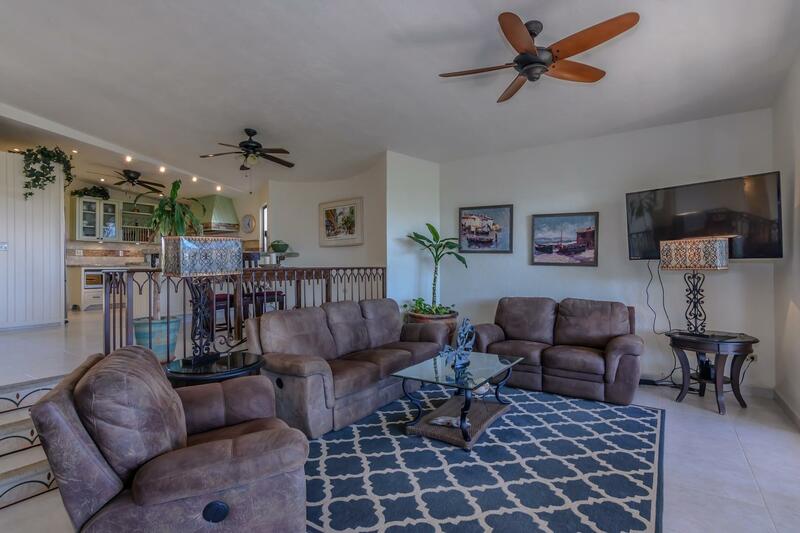 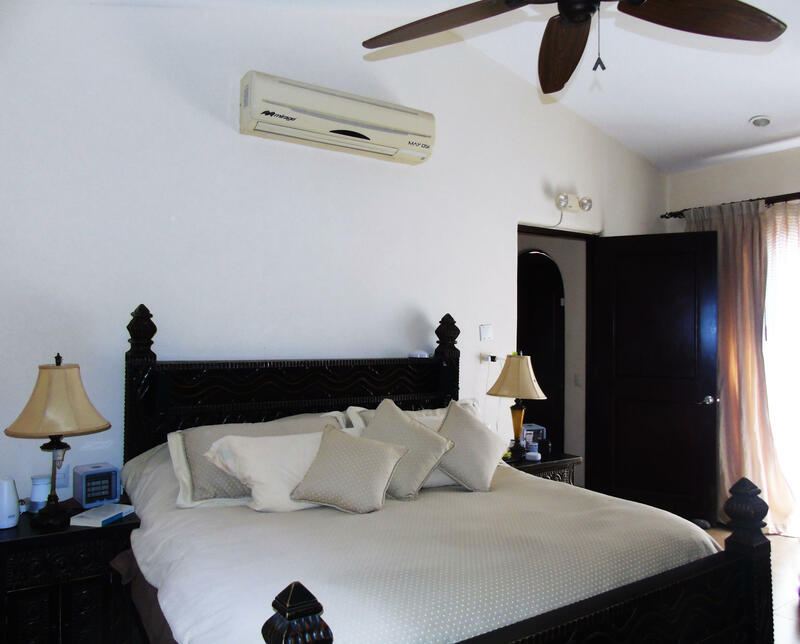 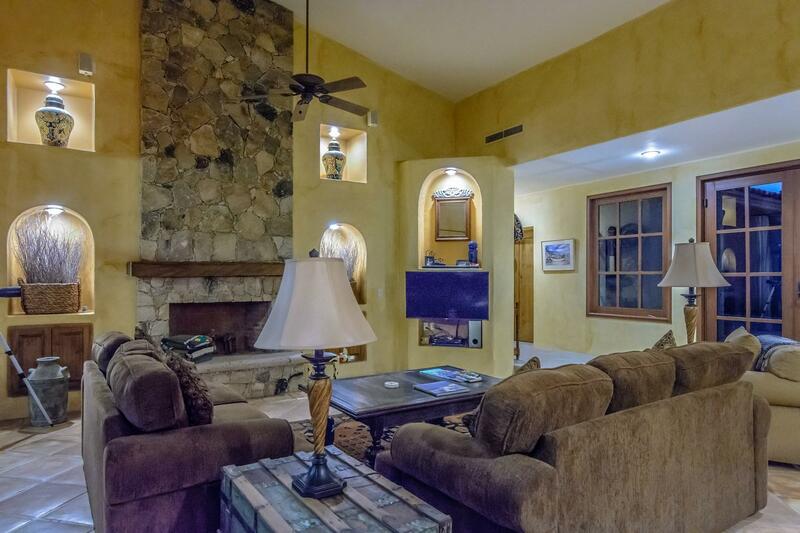 Upstairs, the huge master suite is very comfortable and the house is spotless. 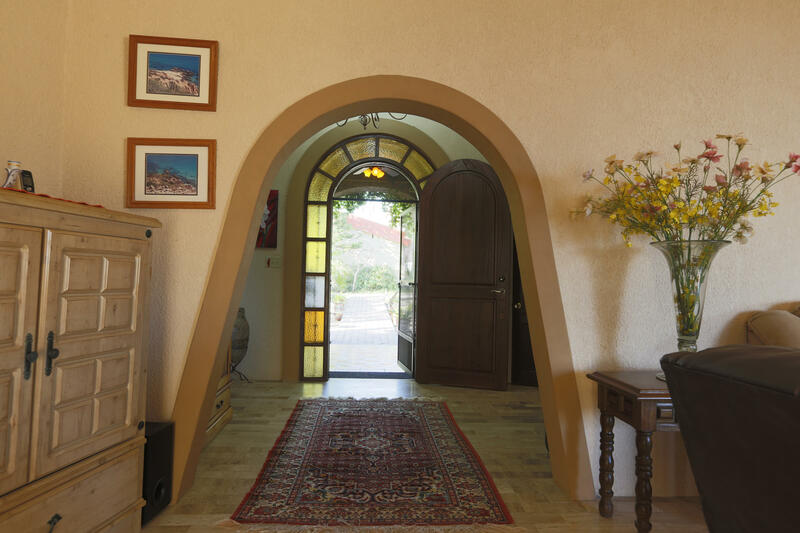 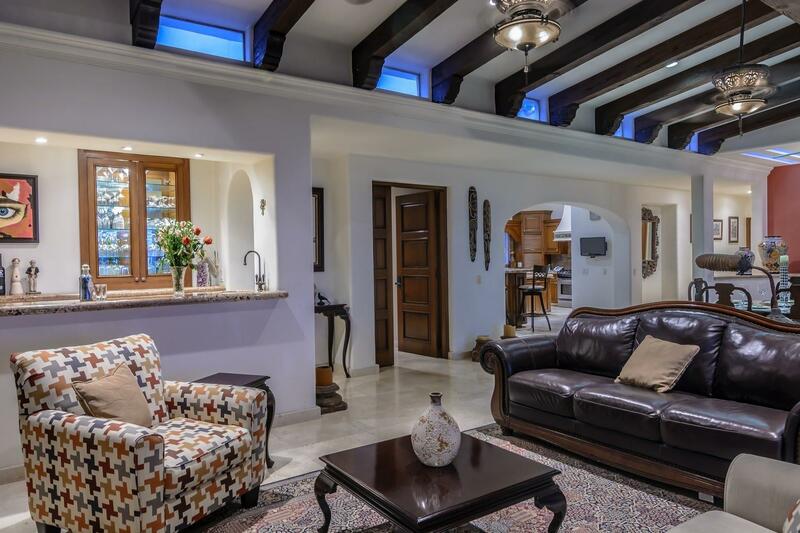 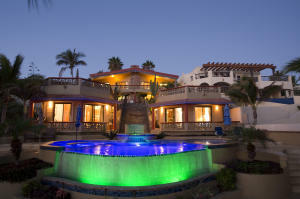 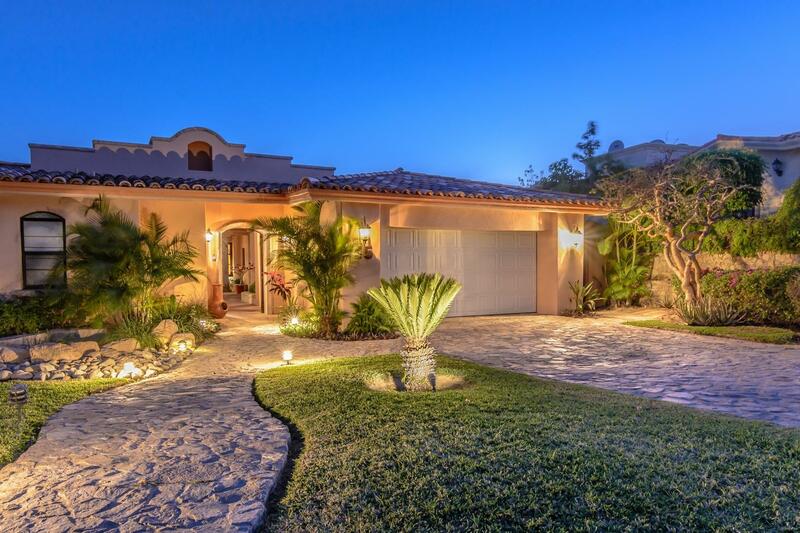 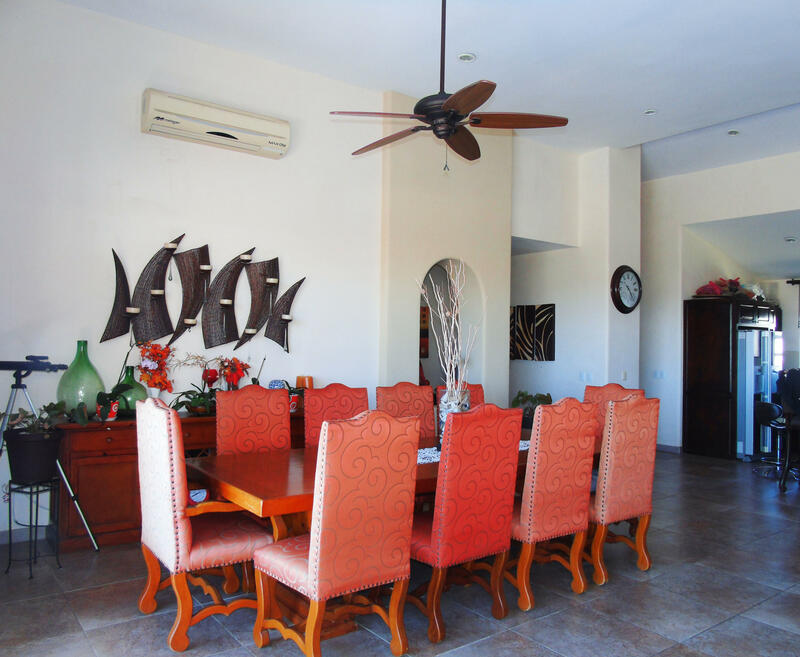 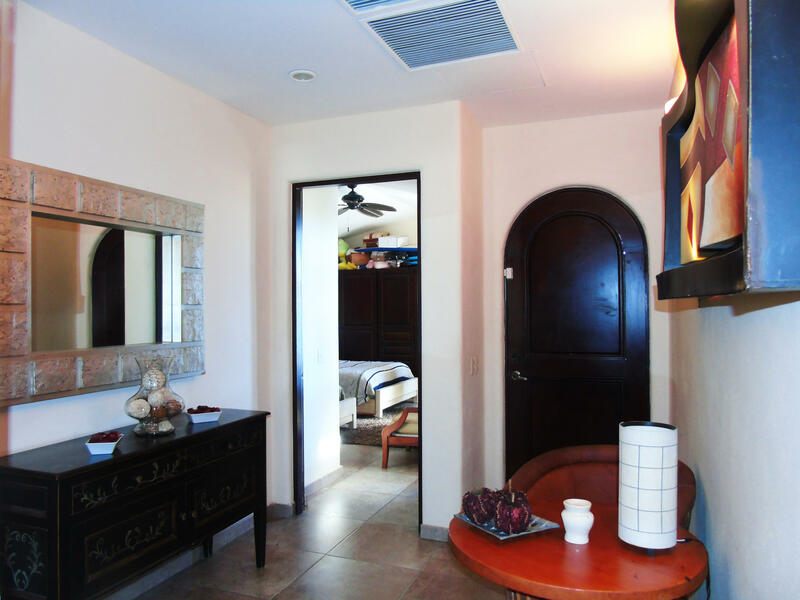 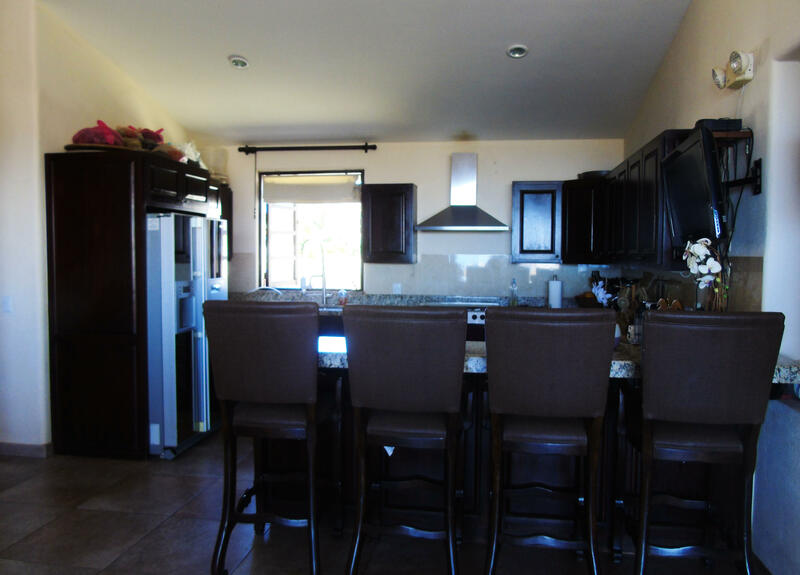 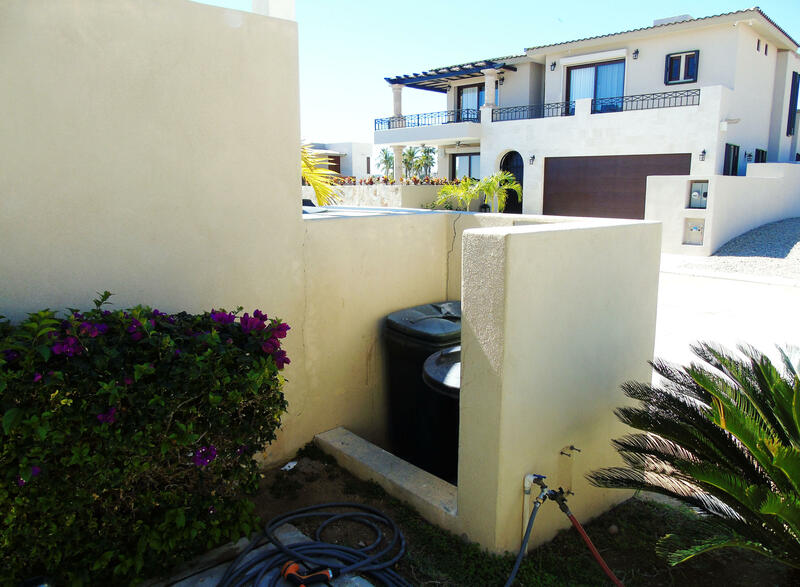 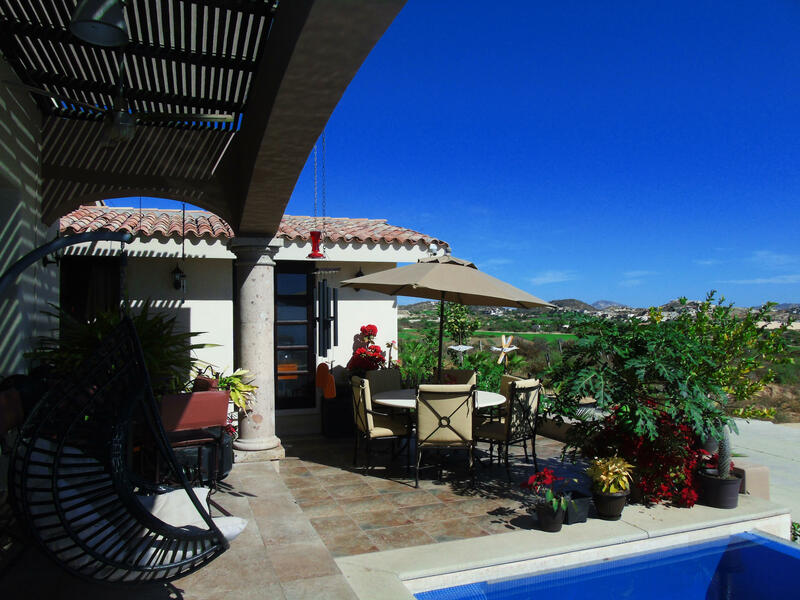 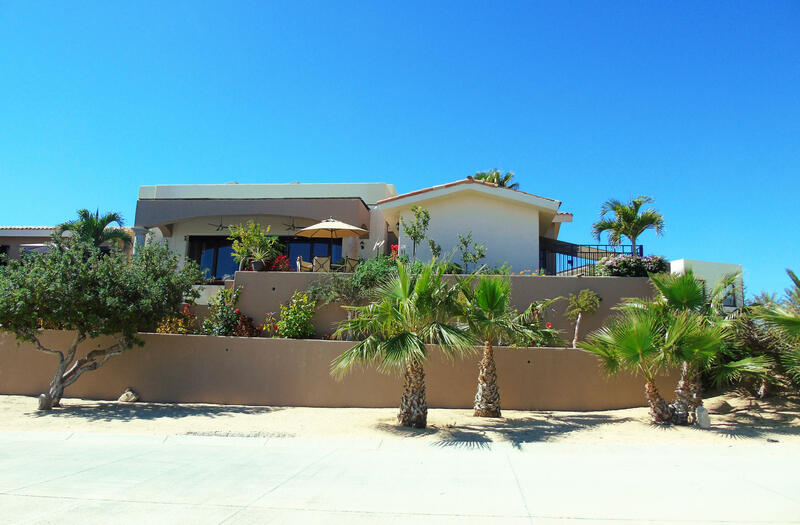 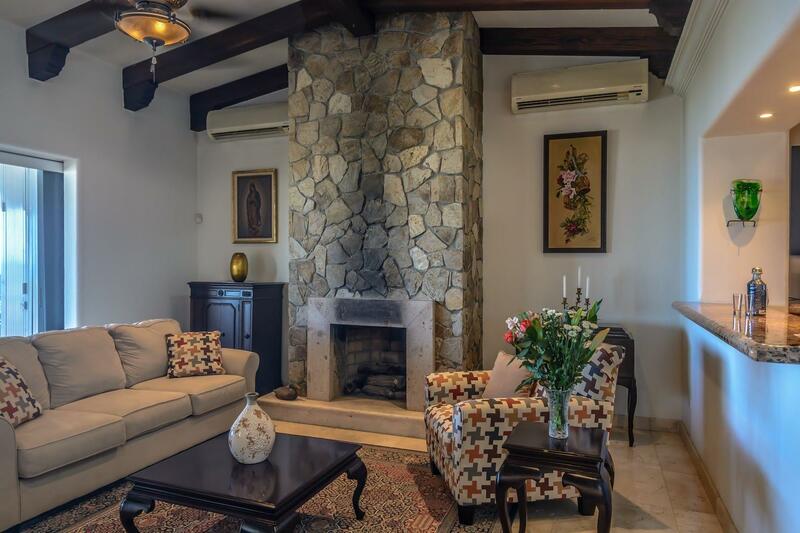 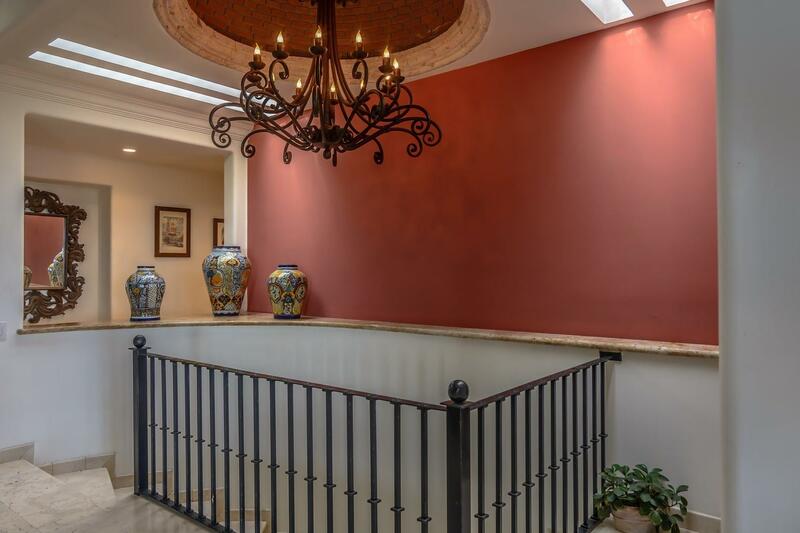 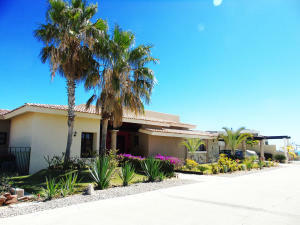 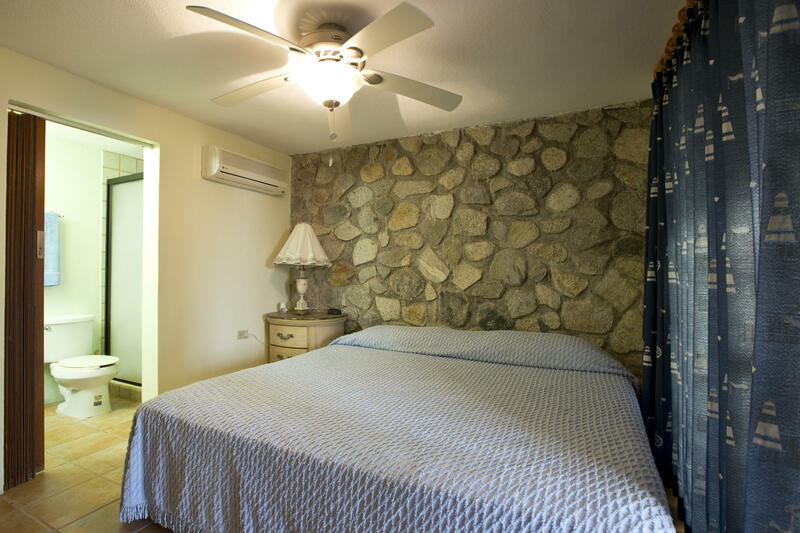 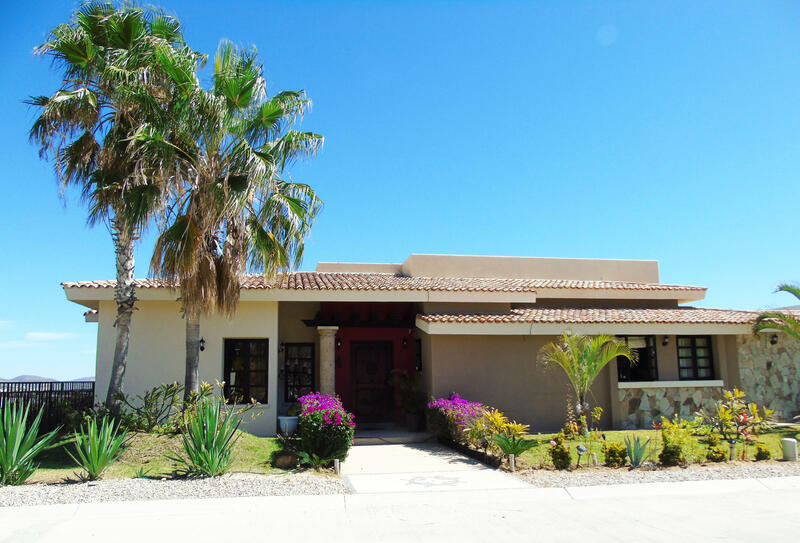 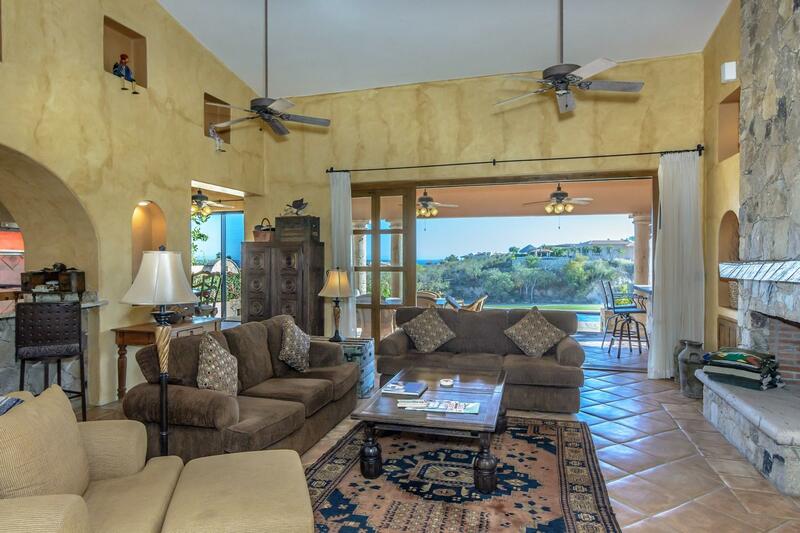 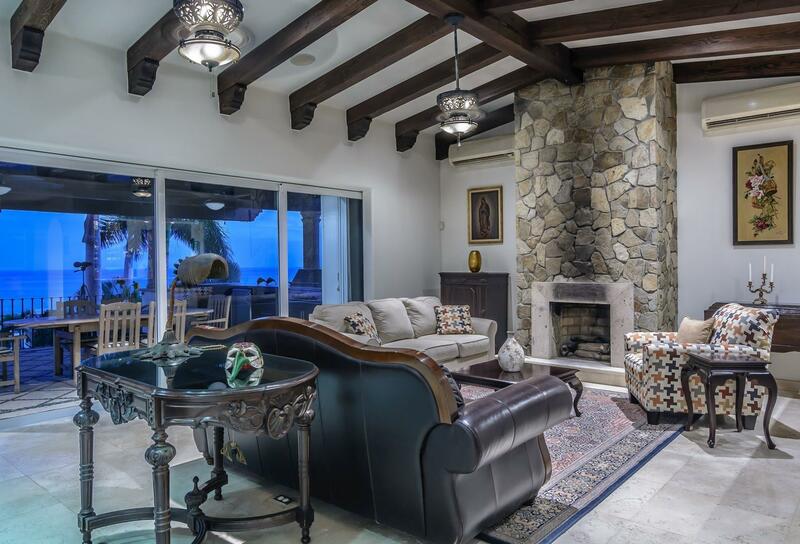 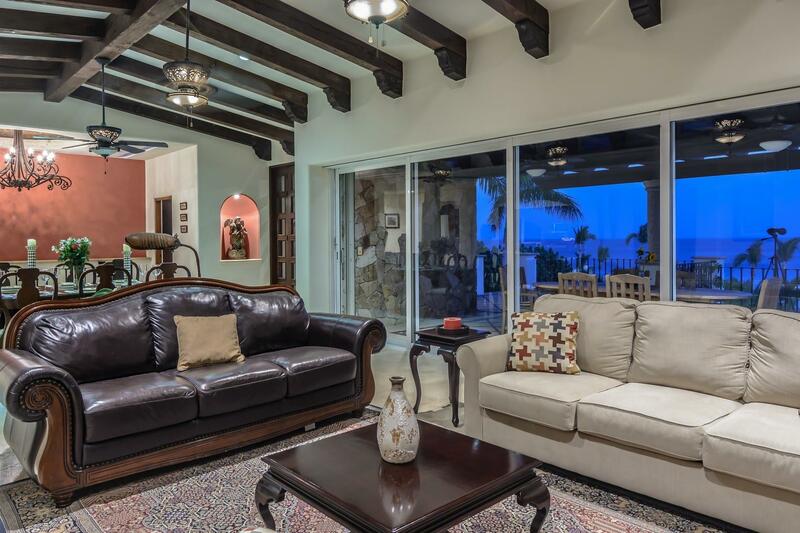 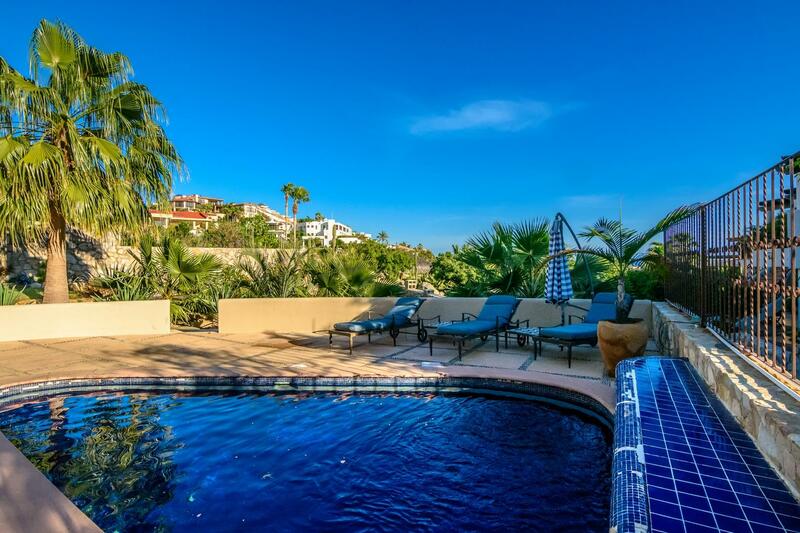 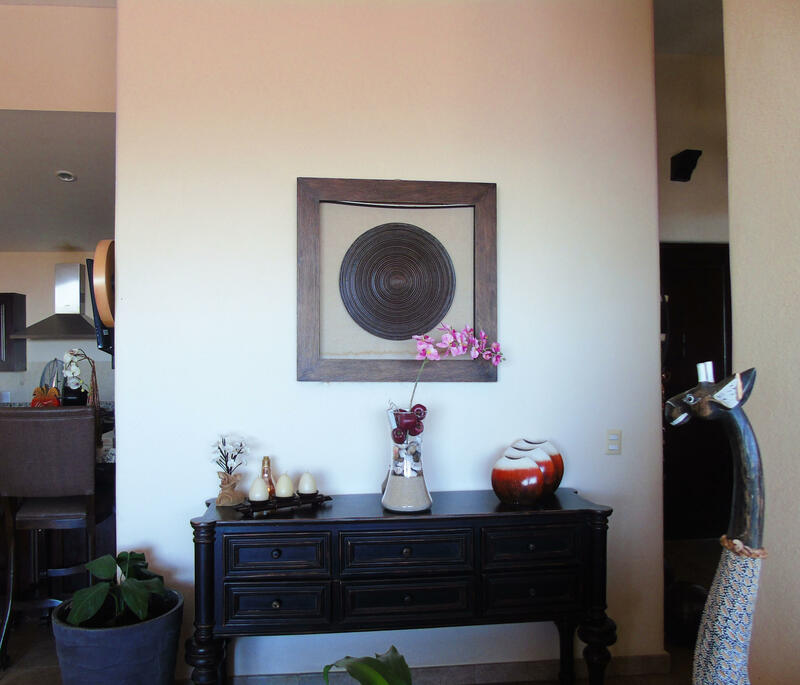 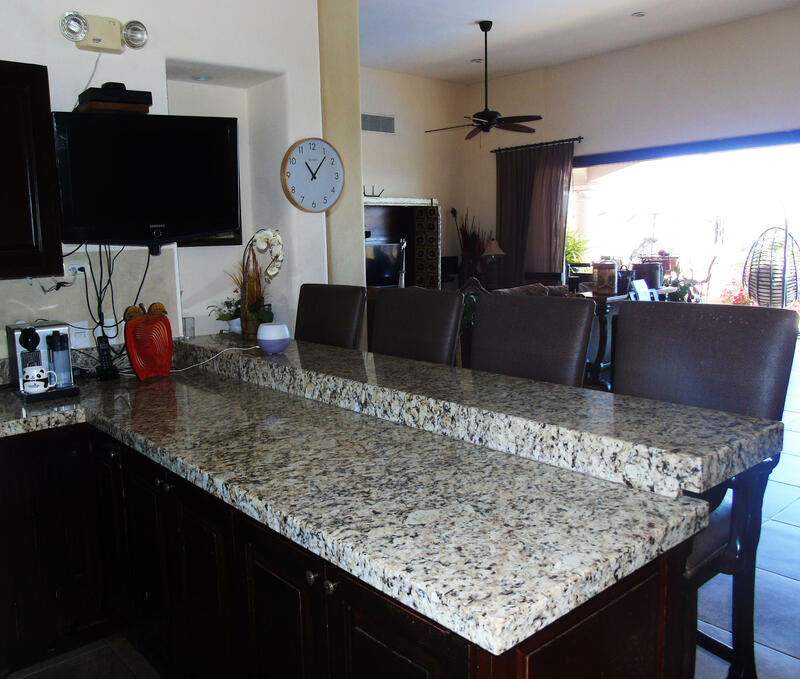 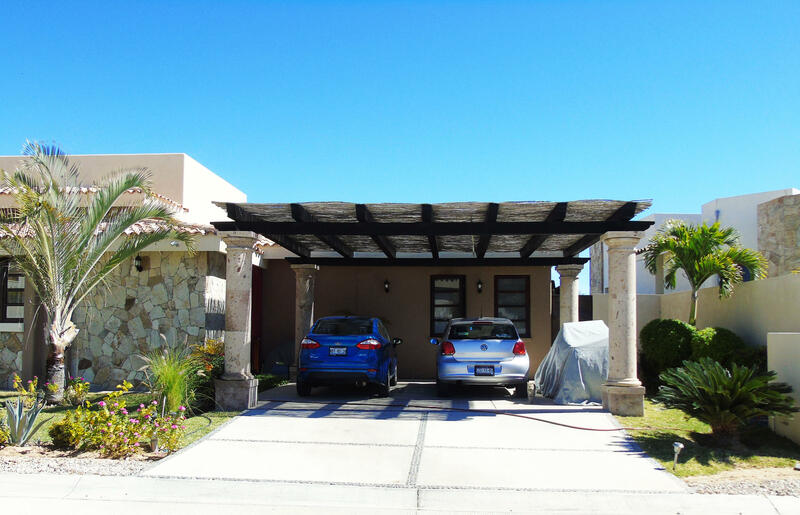 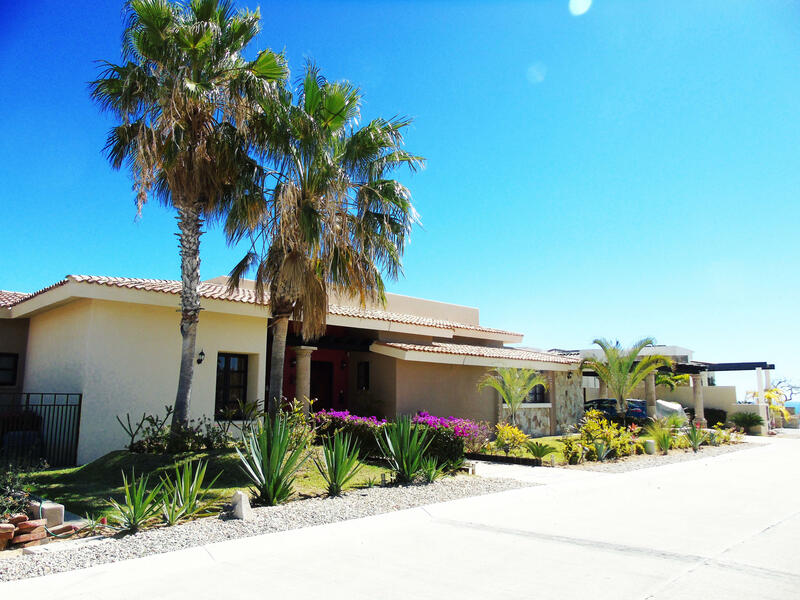 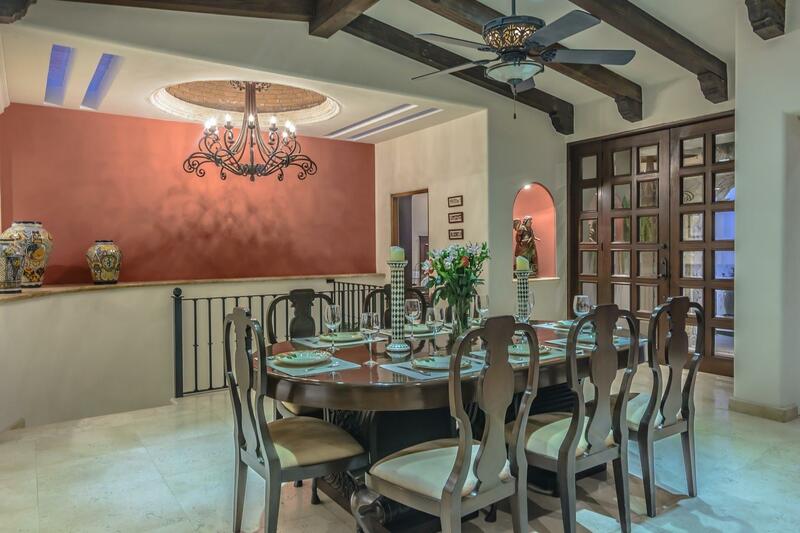 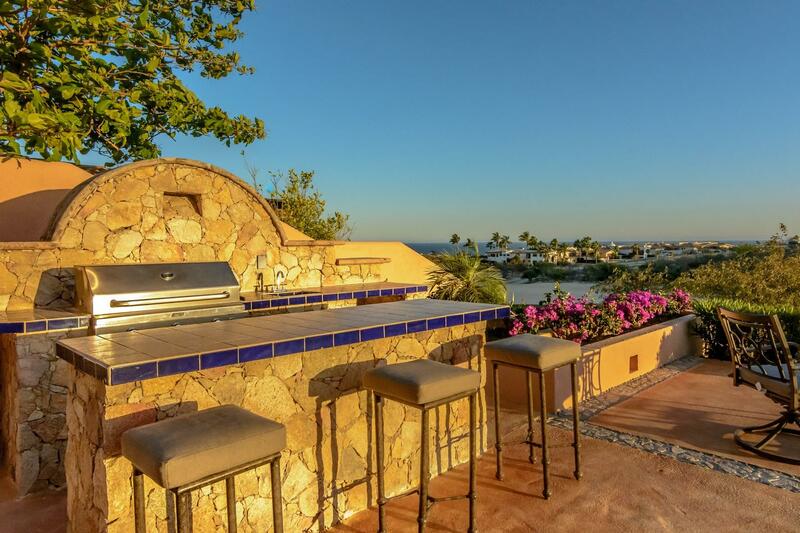 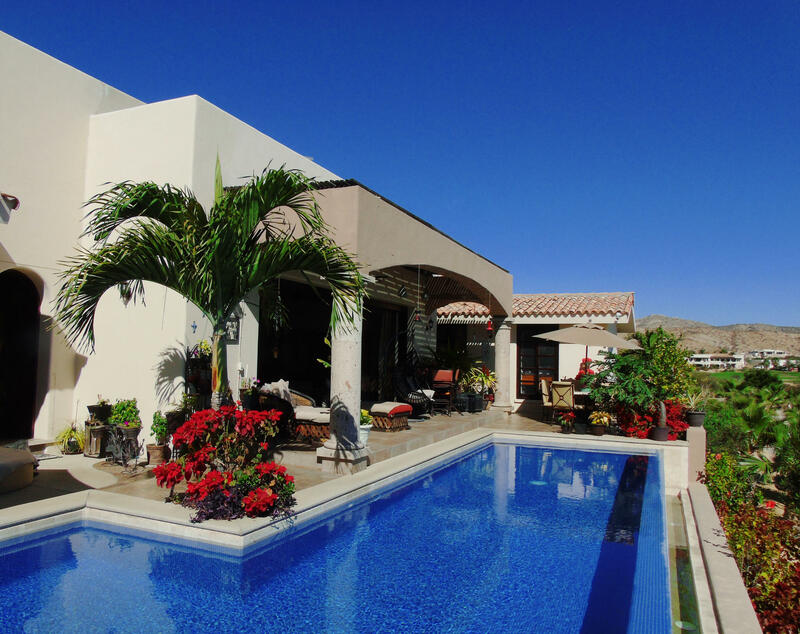 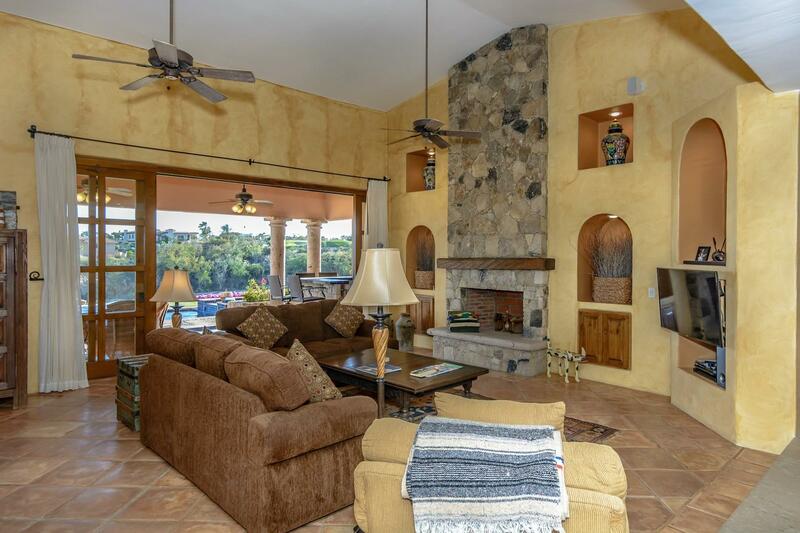 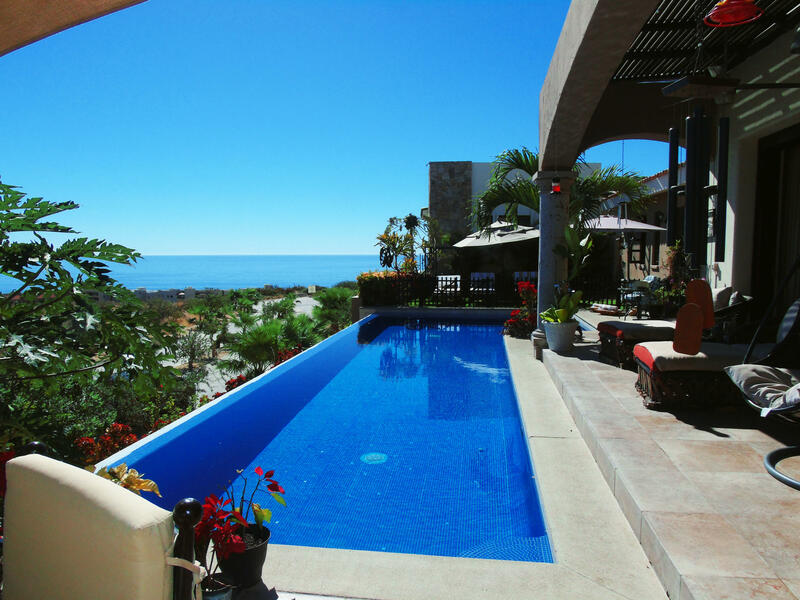 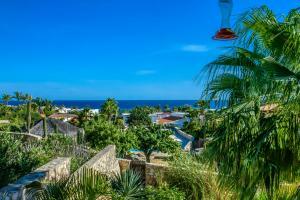 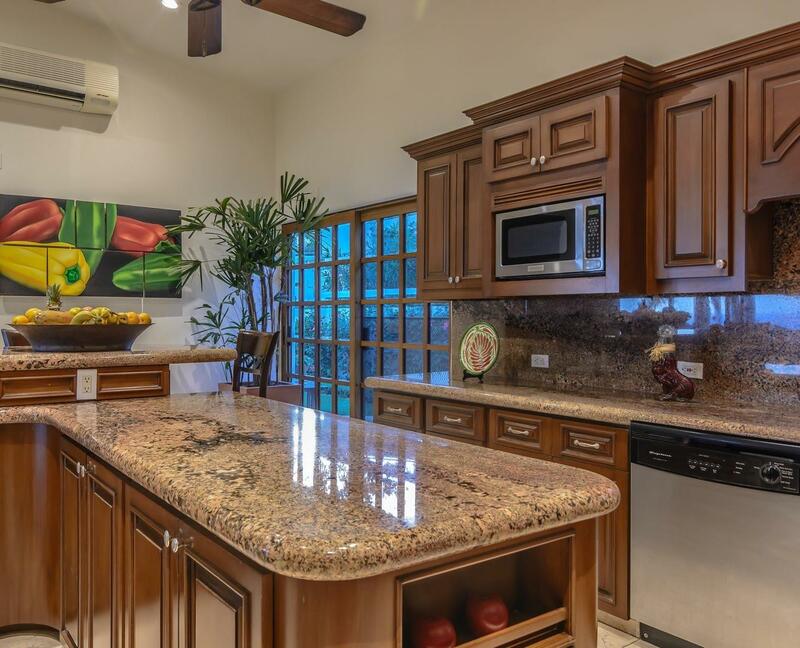 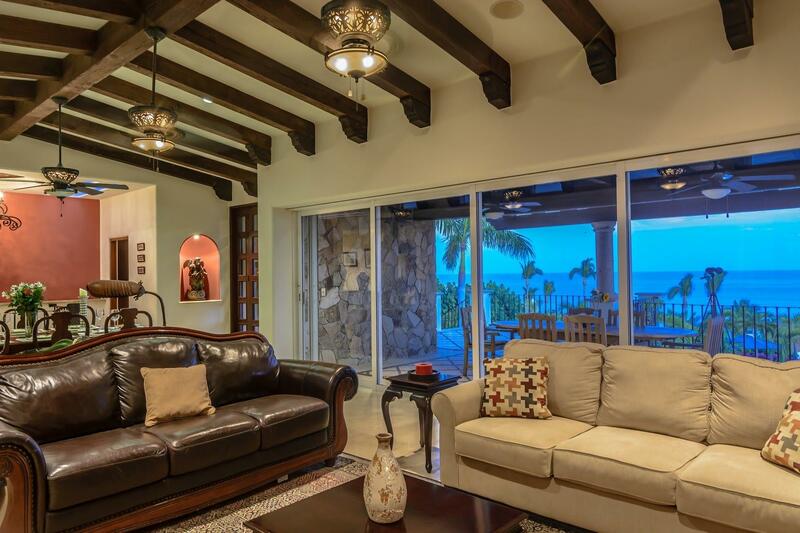 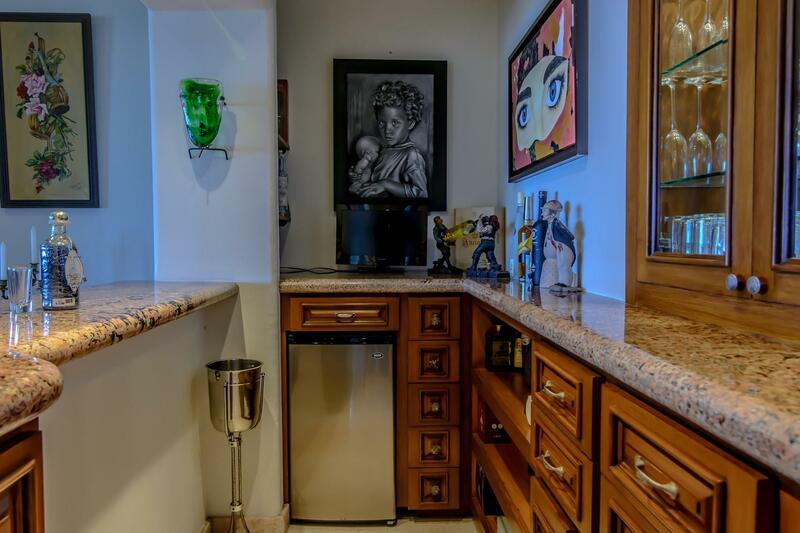 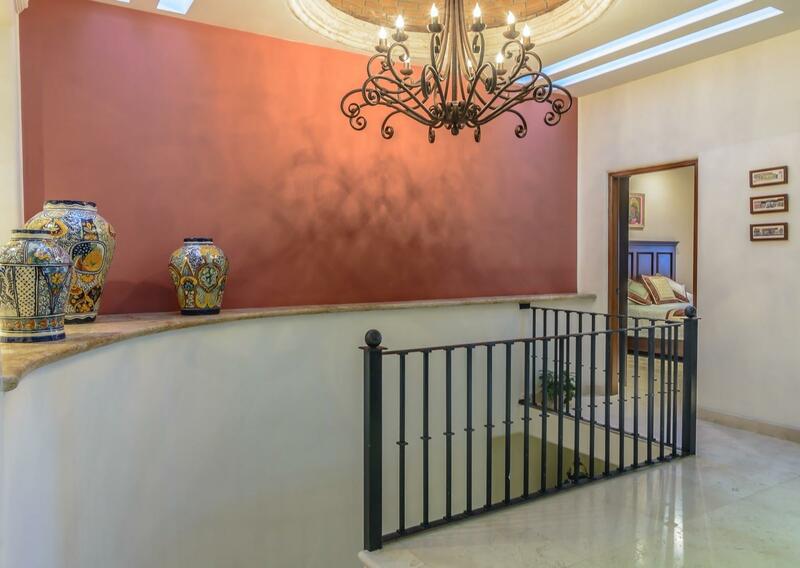 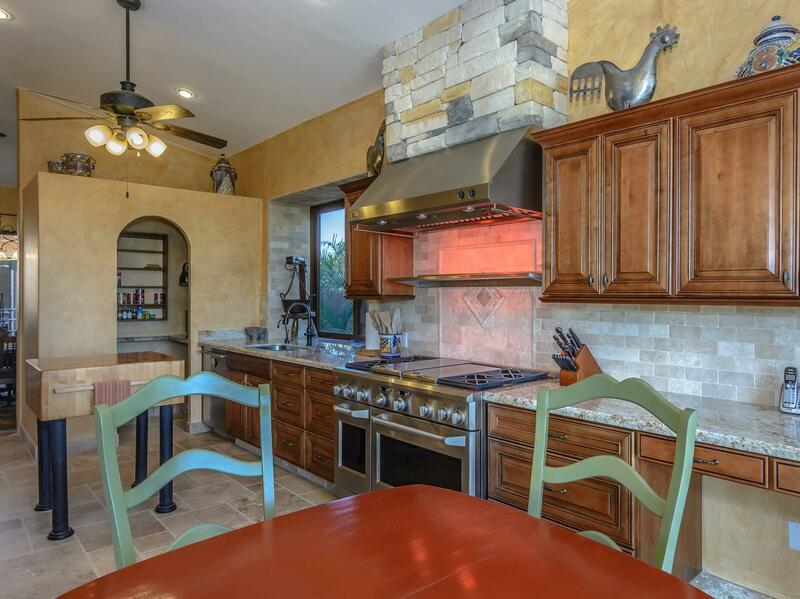 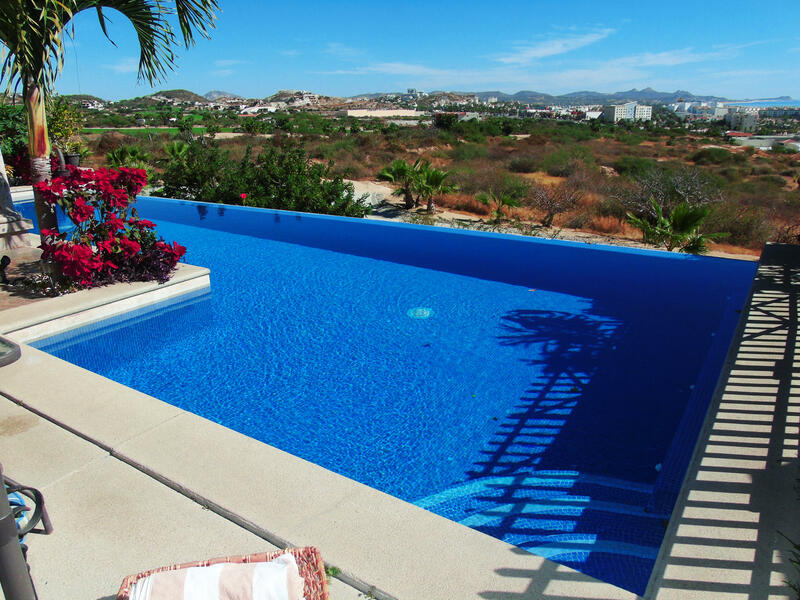 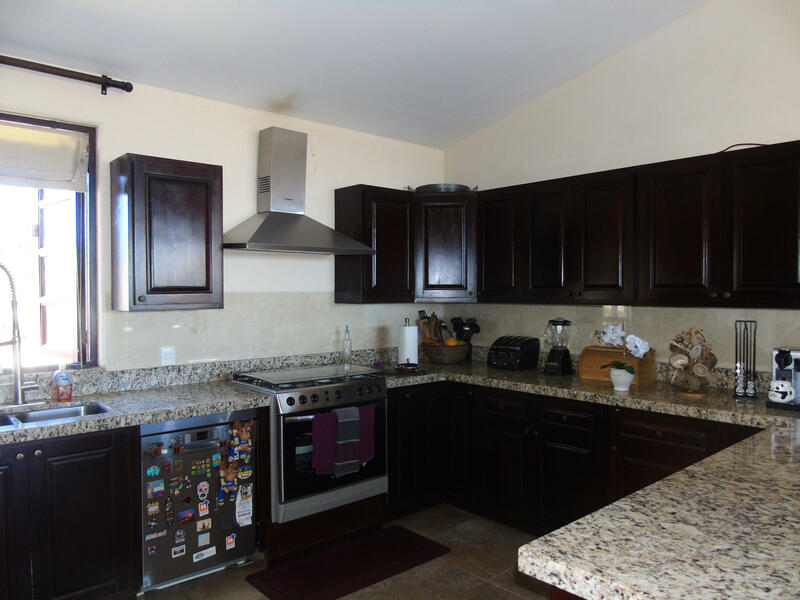 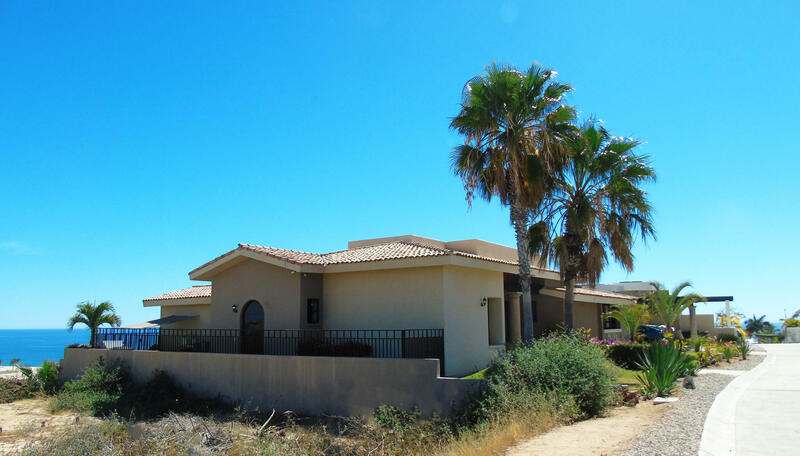 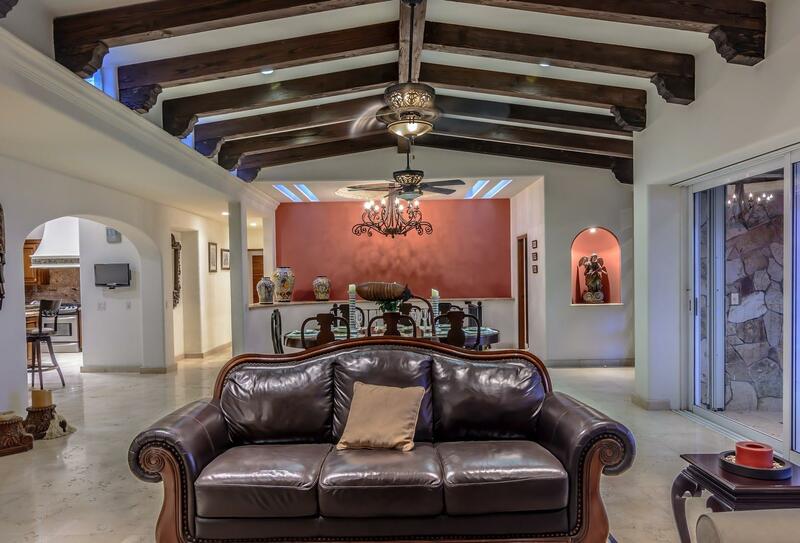 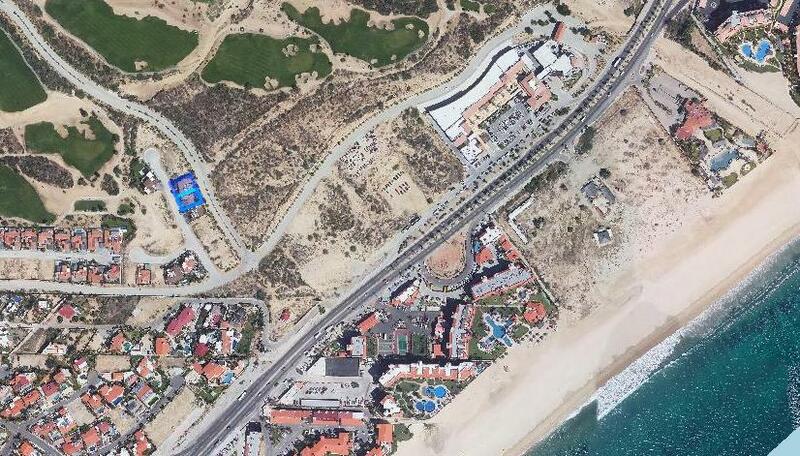 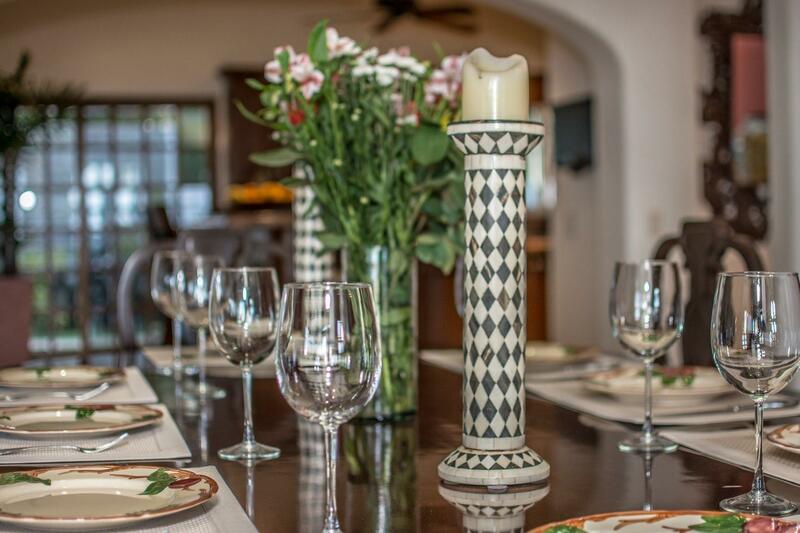 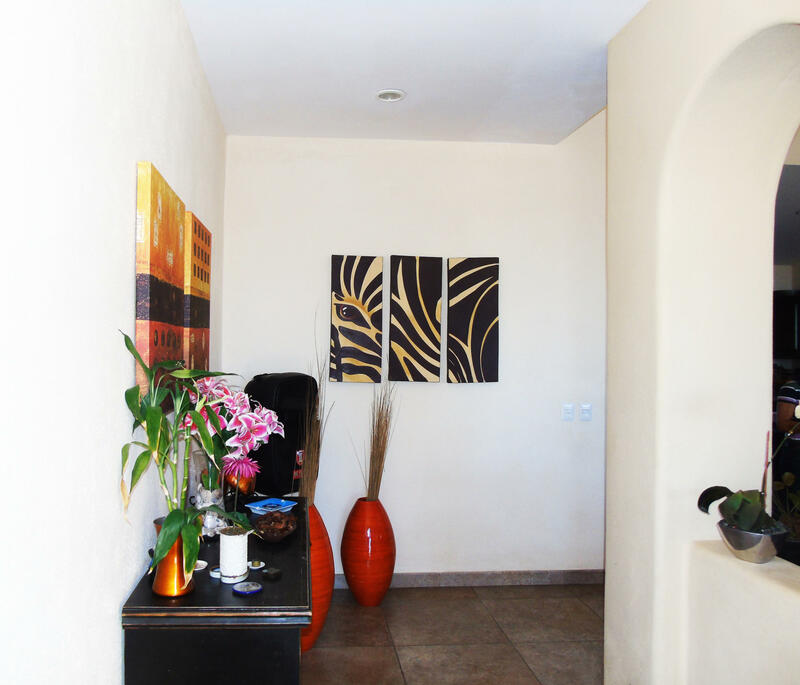 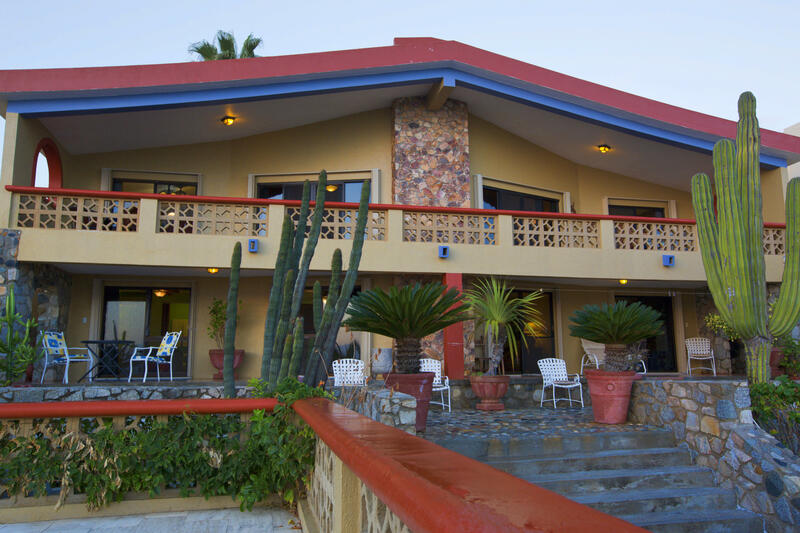 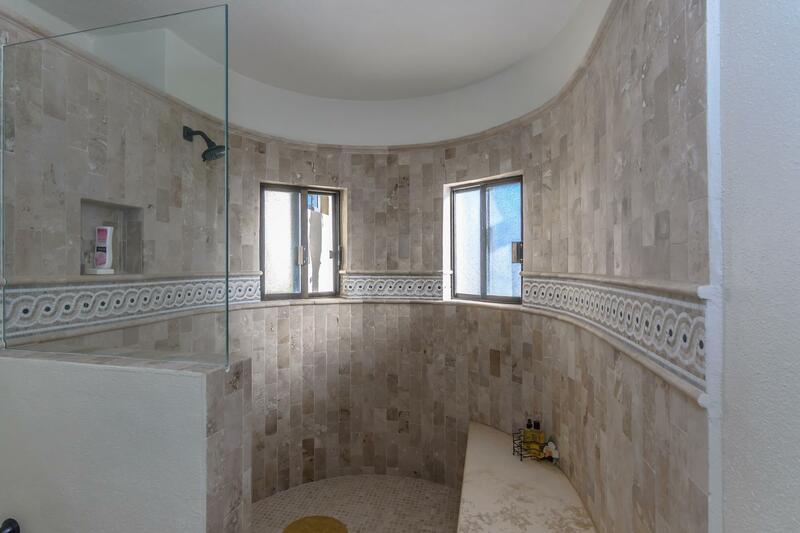 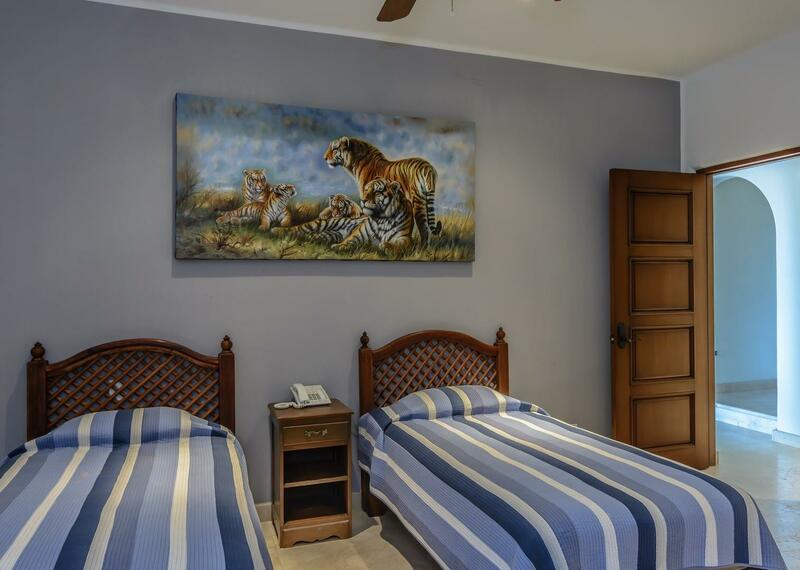 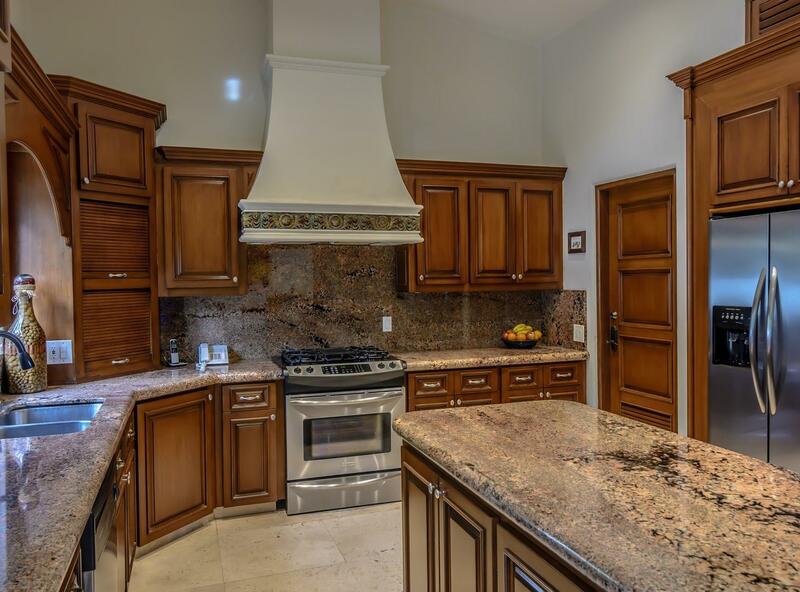 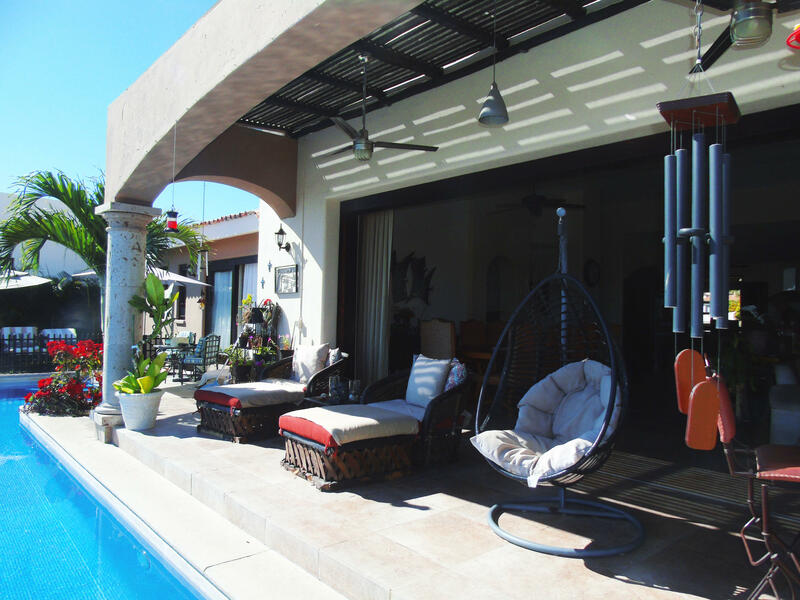 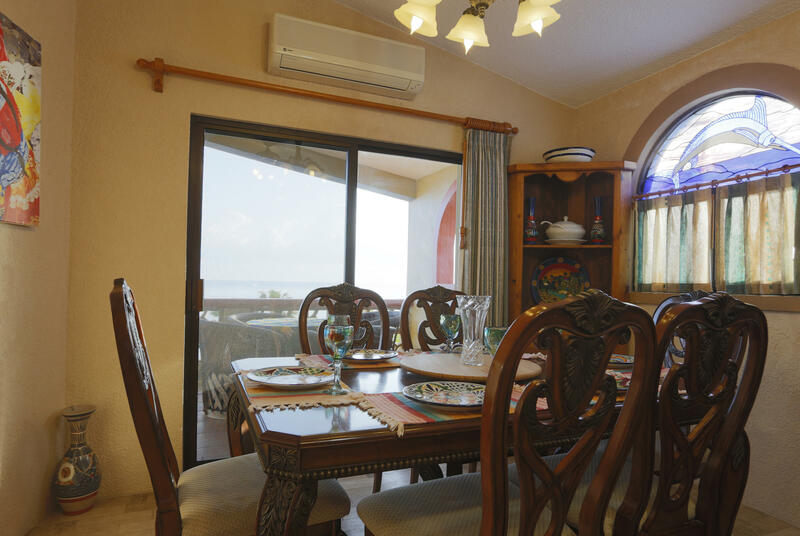 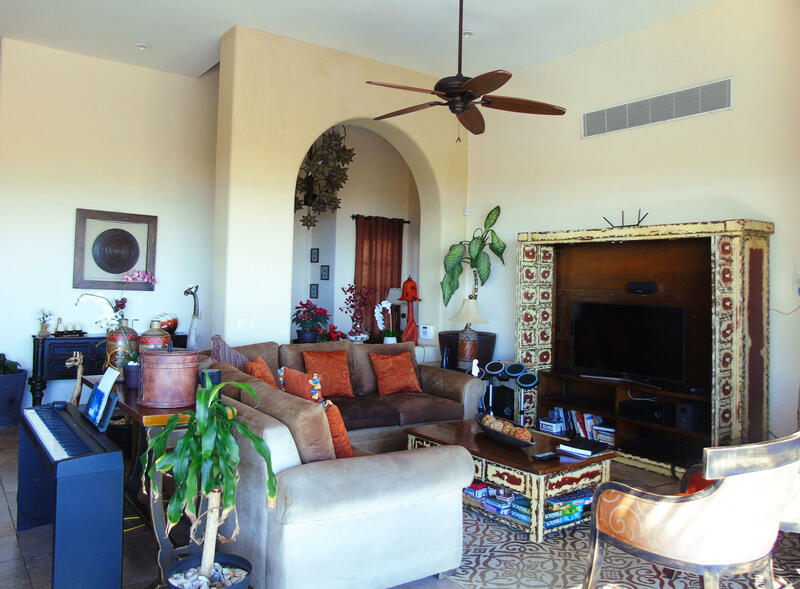 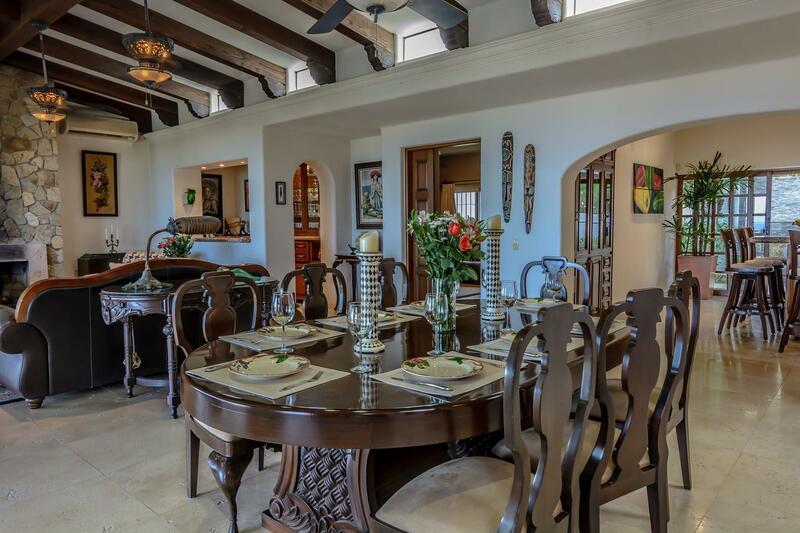 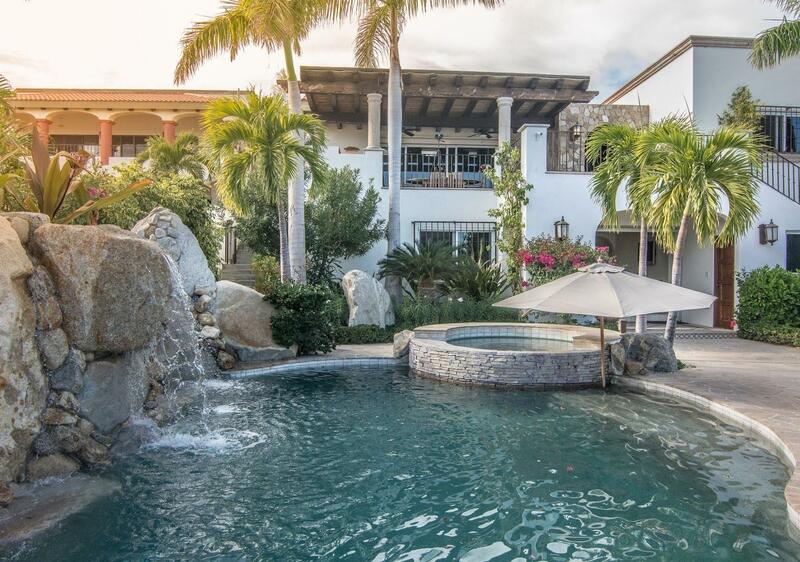 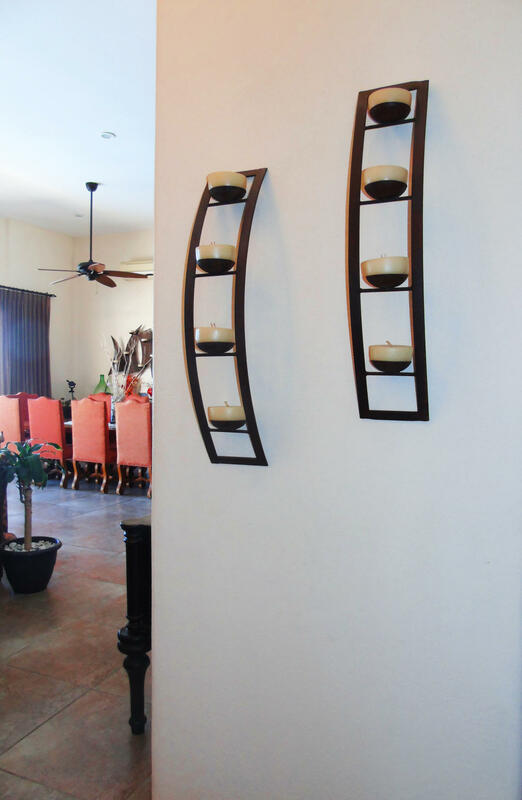 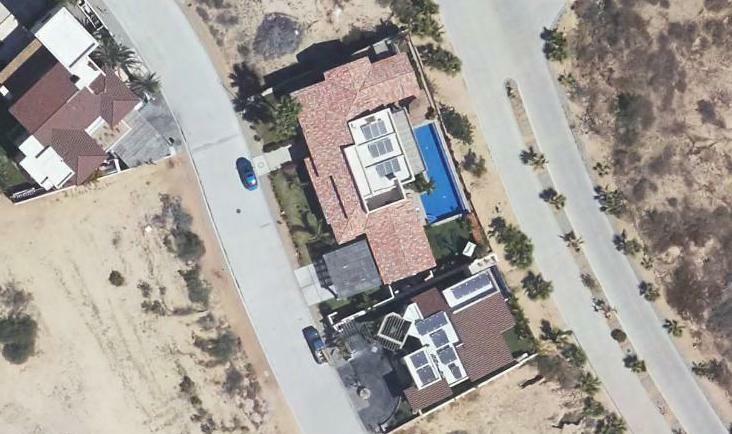 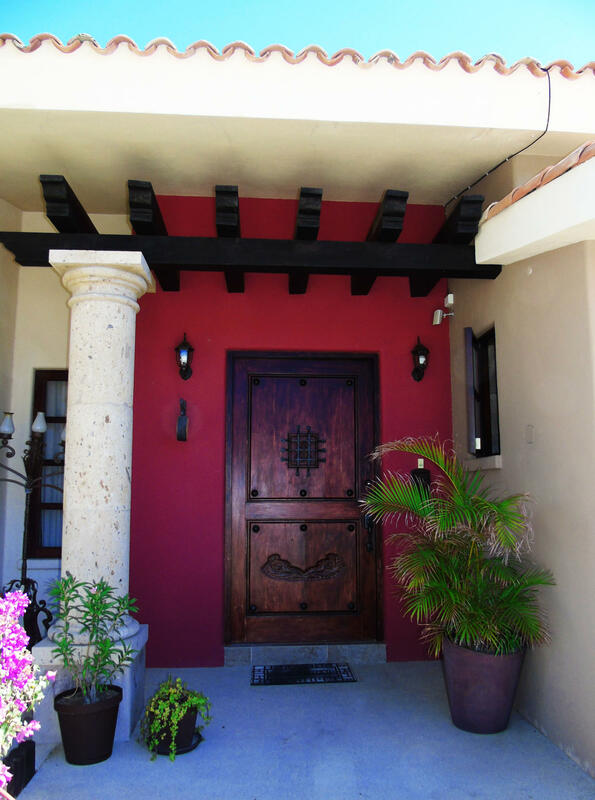 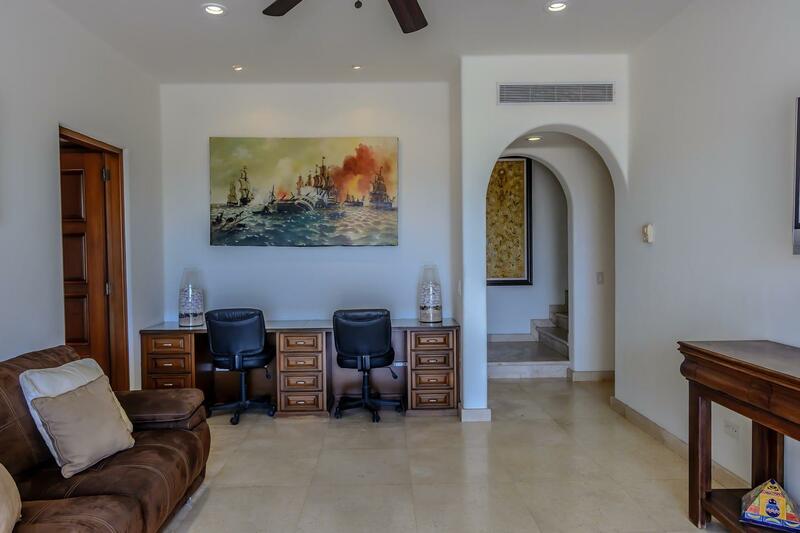 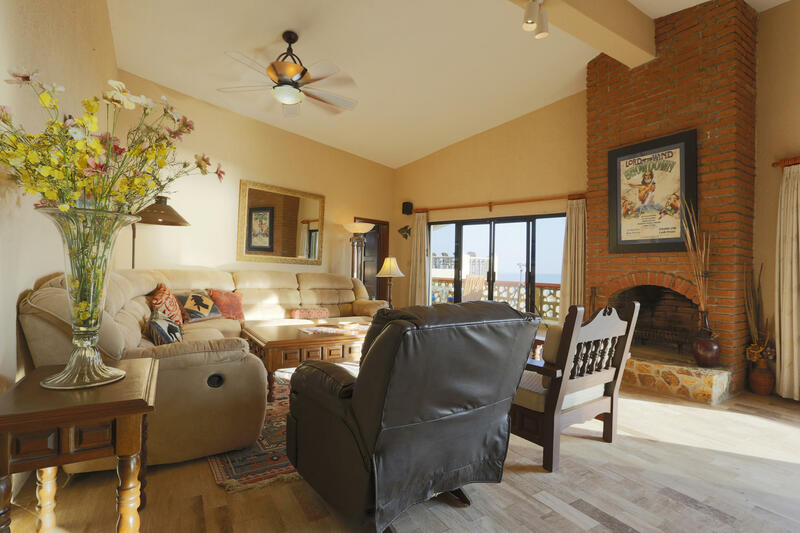 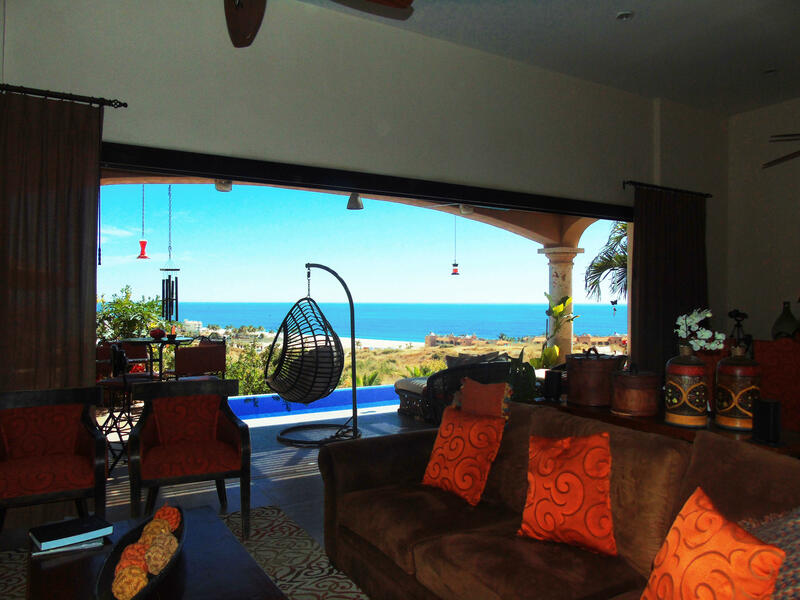 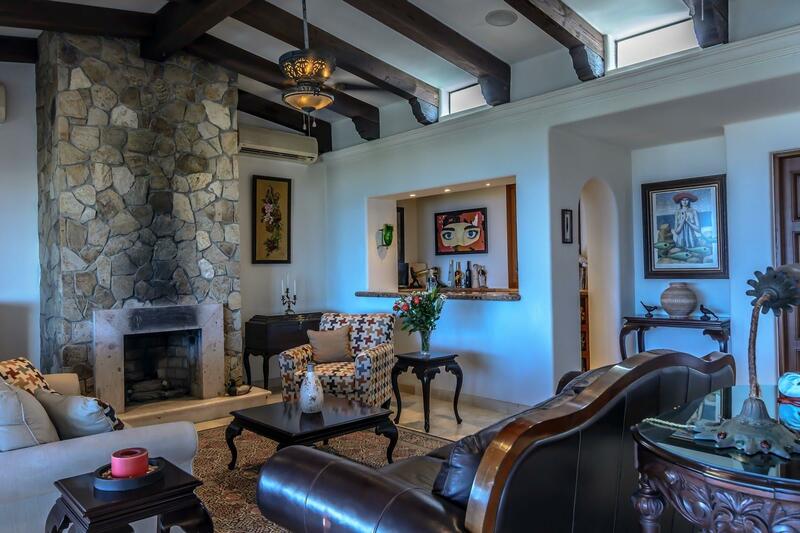 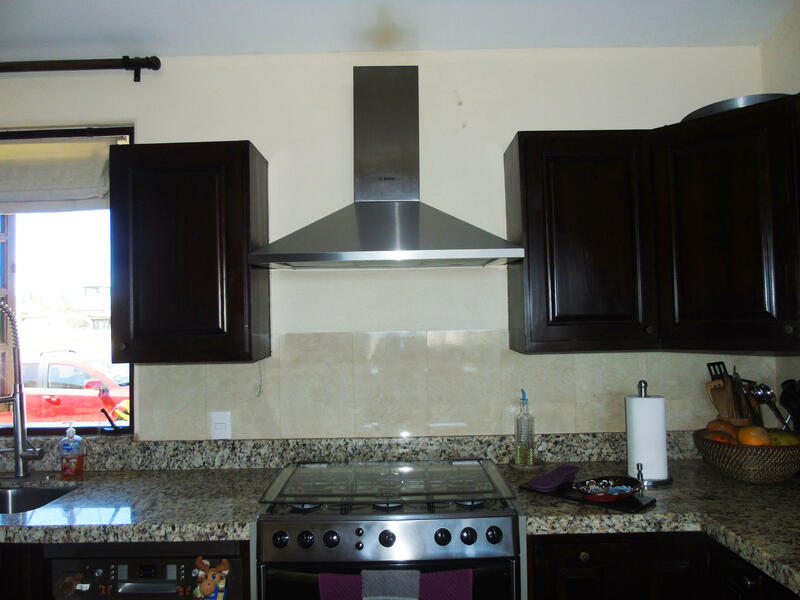 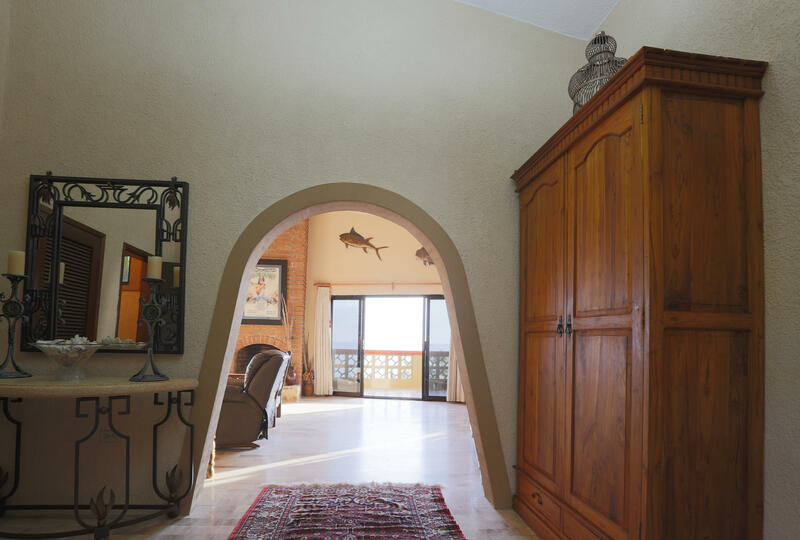 Description: We would like to present for your clients consideration, CASA SUE in the Pedregalito area of Pedregal. 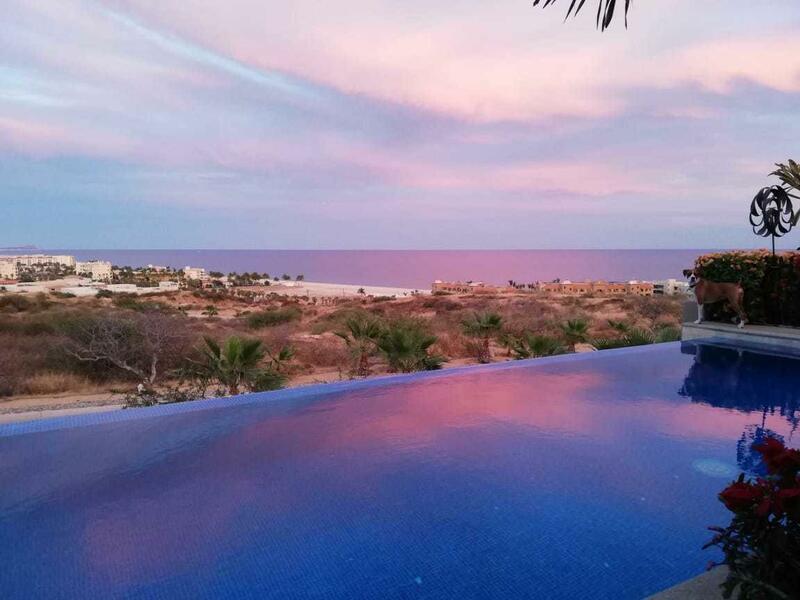 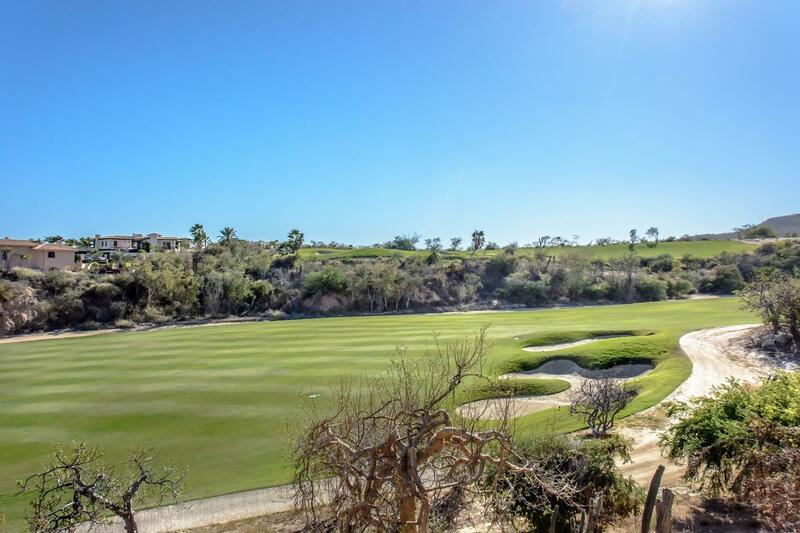 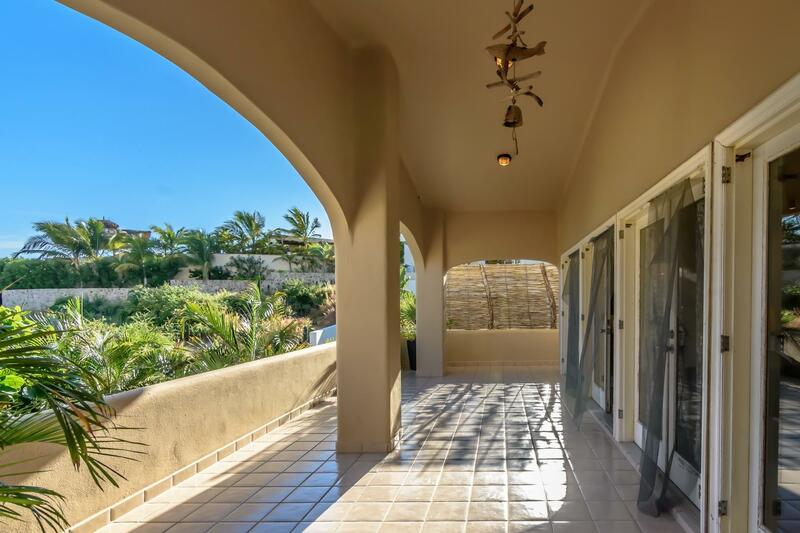 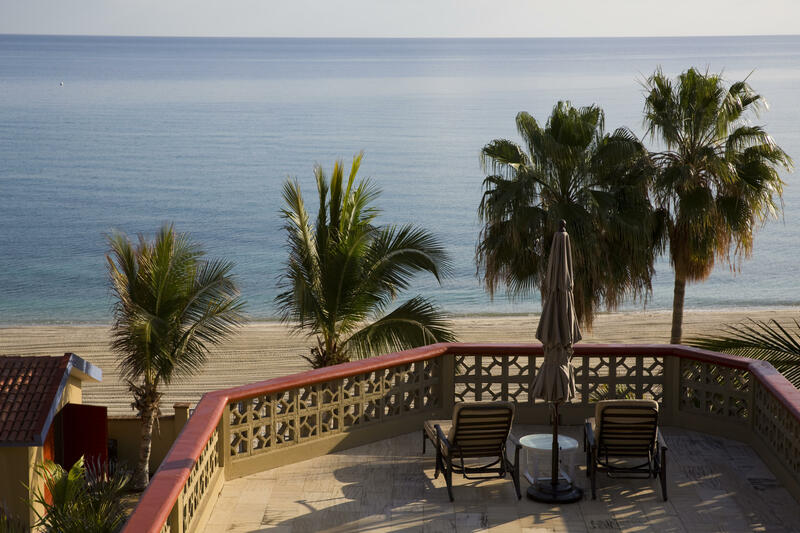 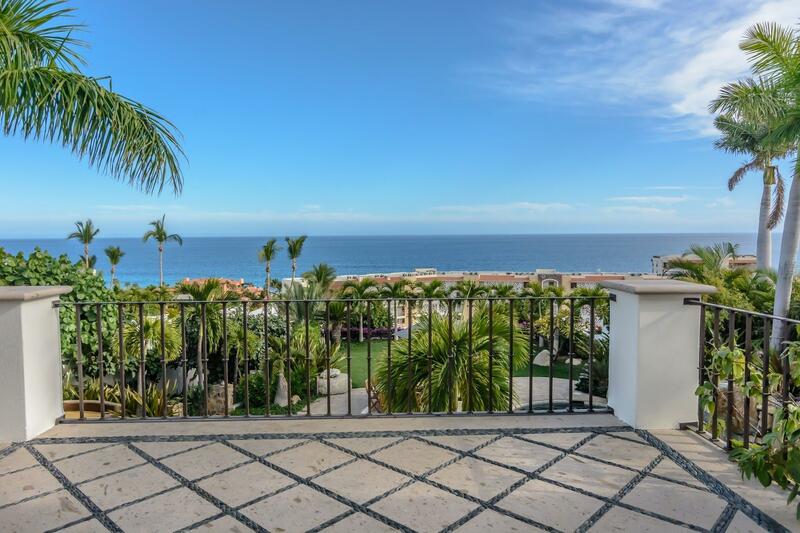 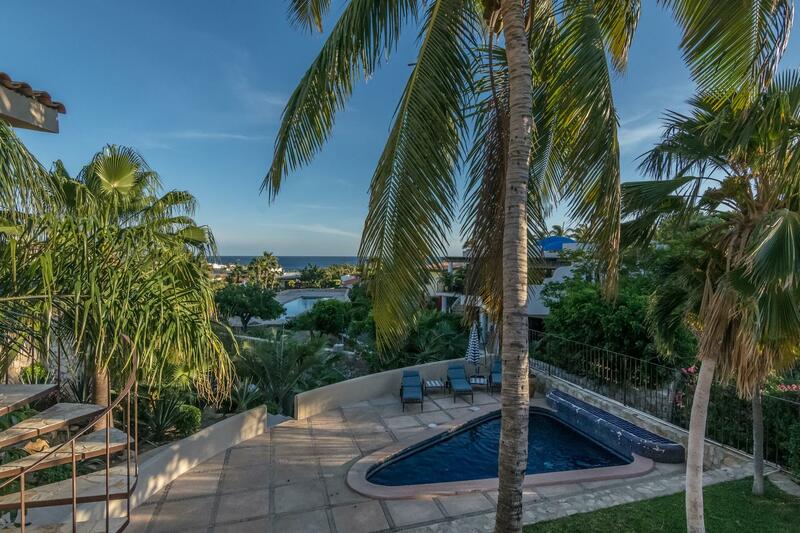 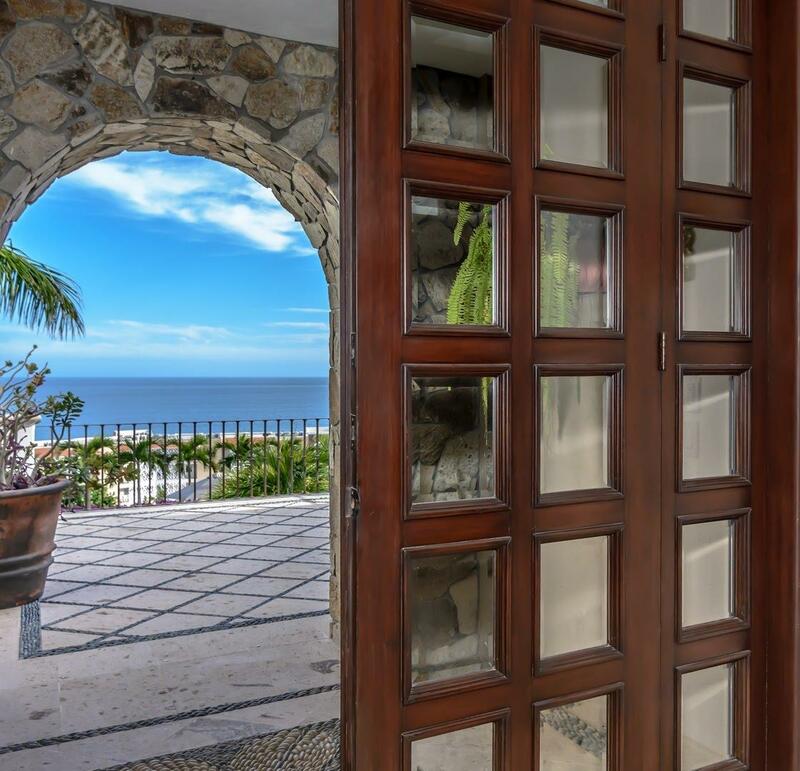 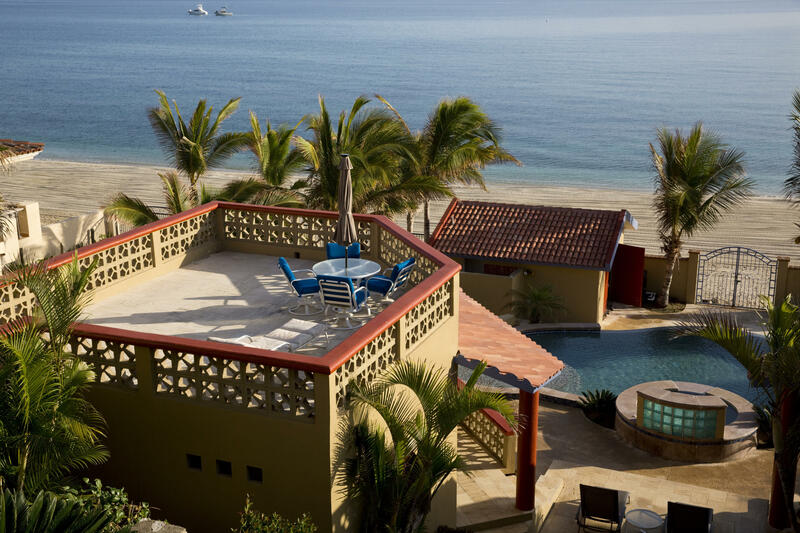 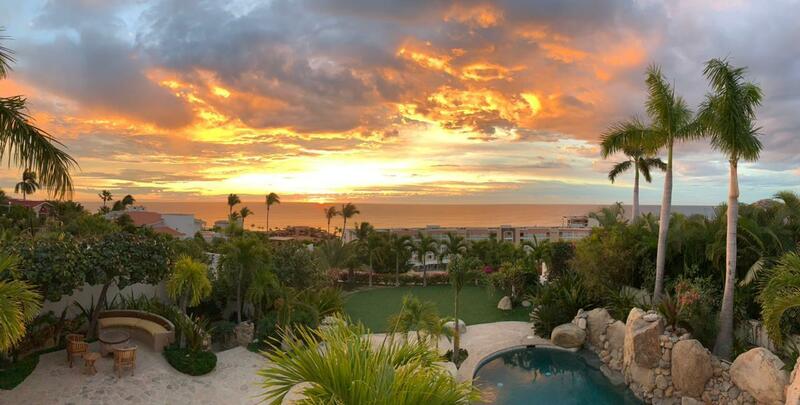 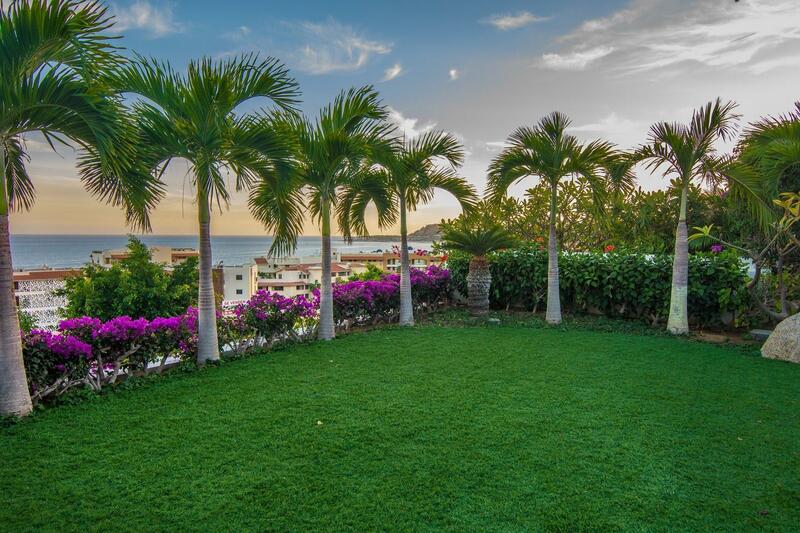 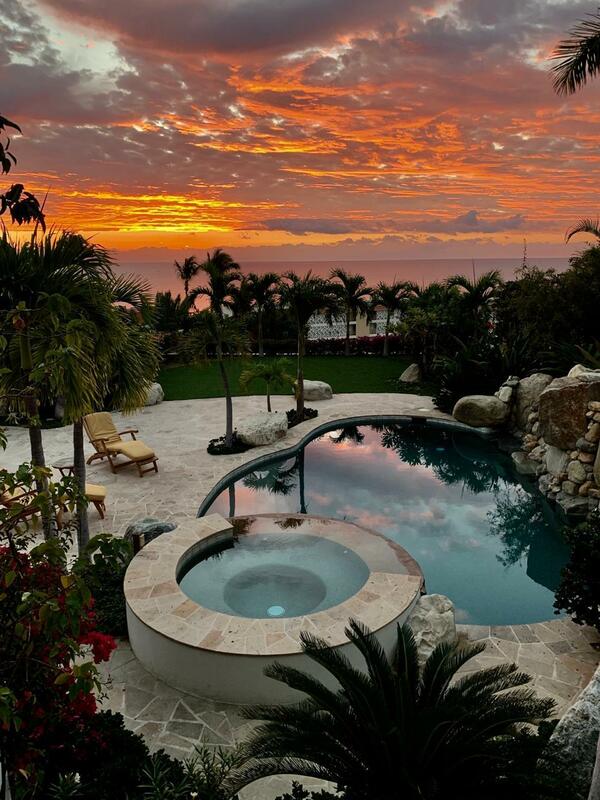 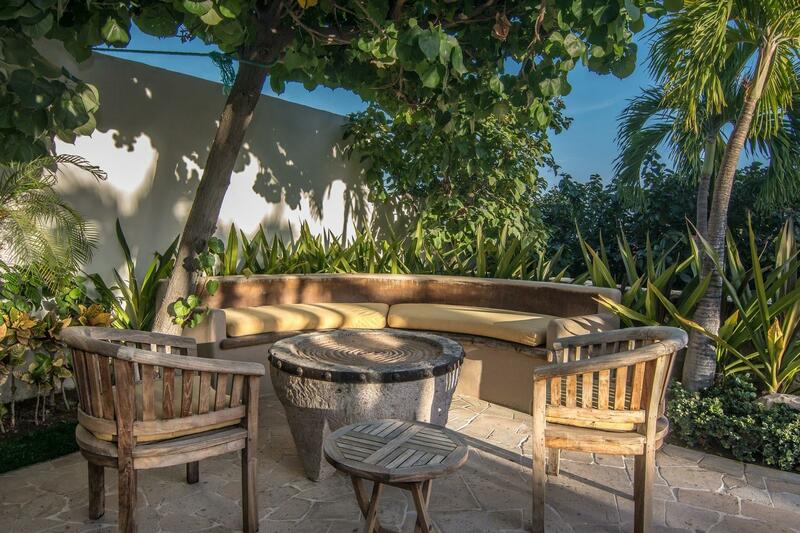 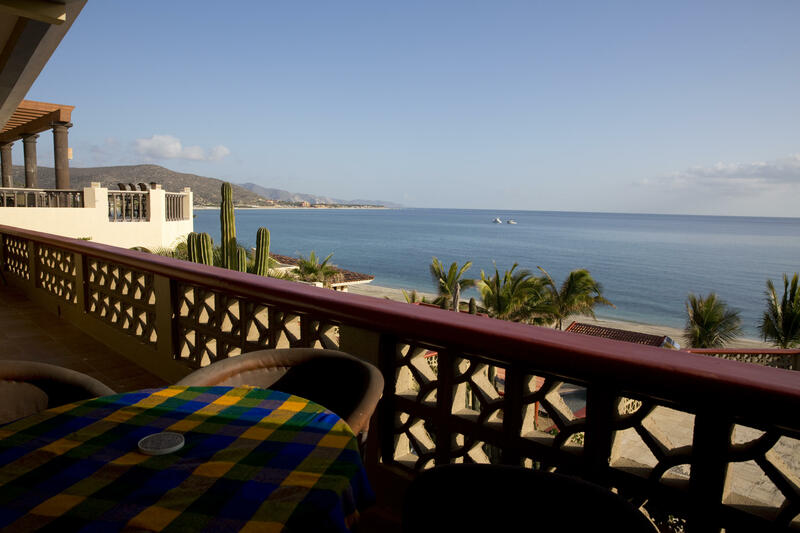 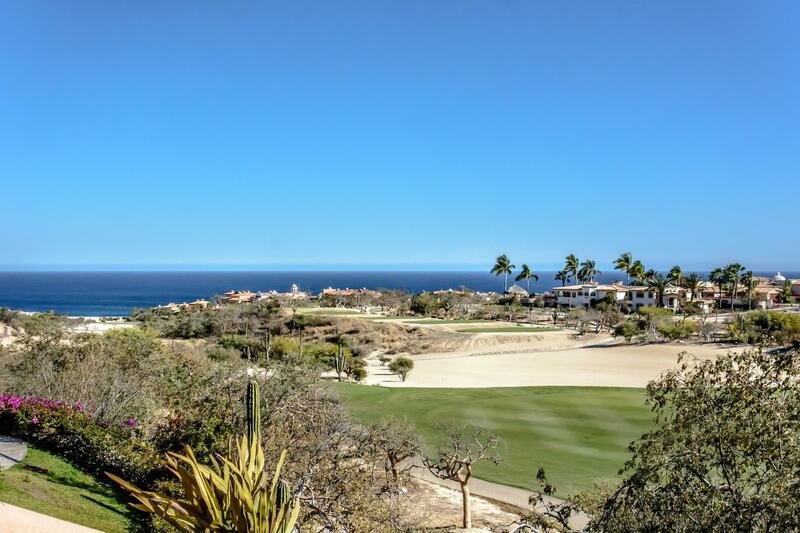 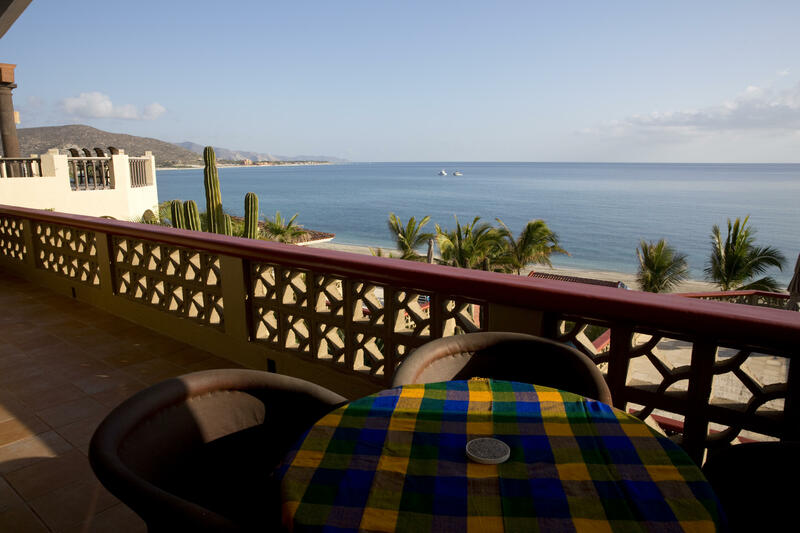 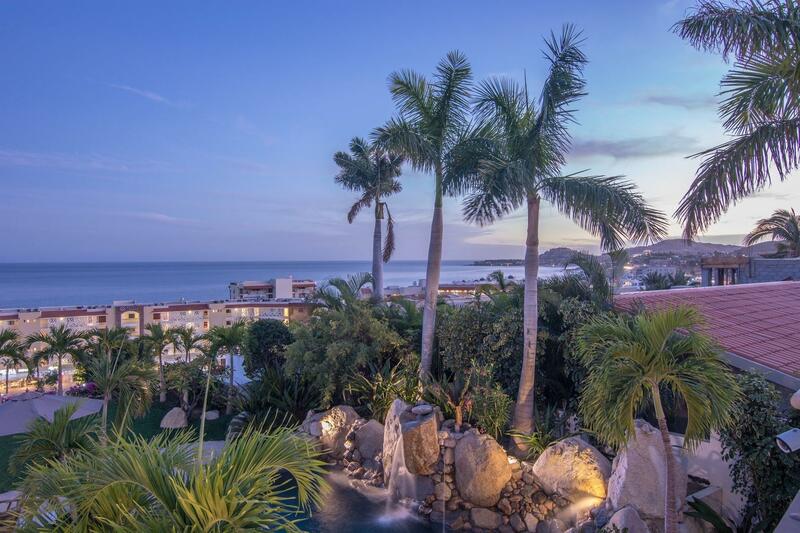 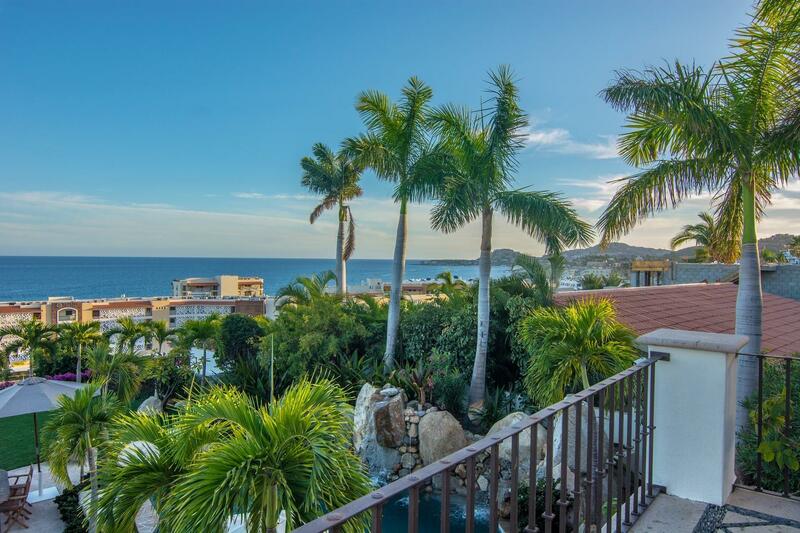 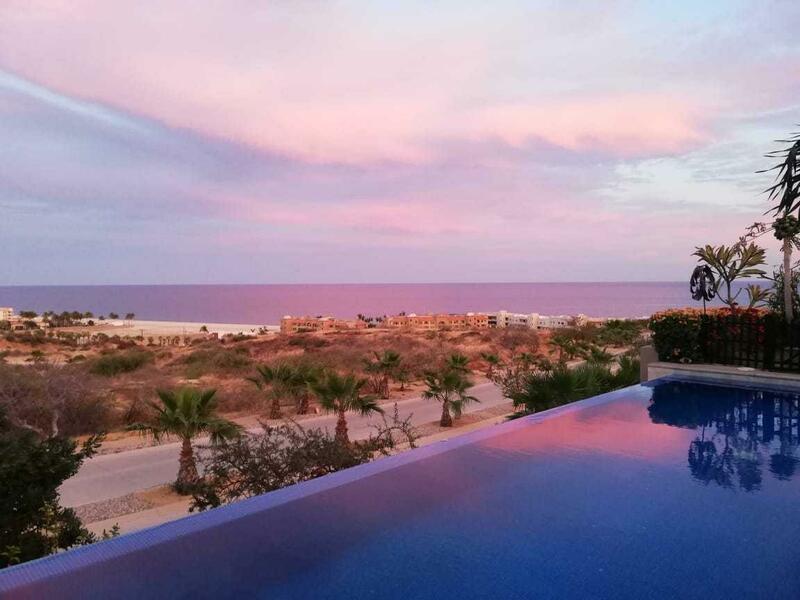 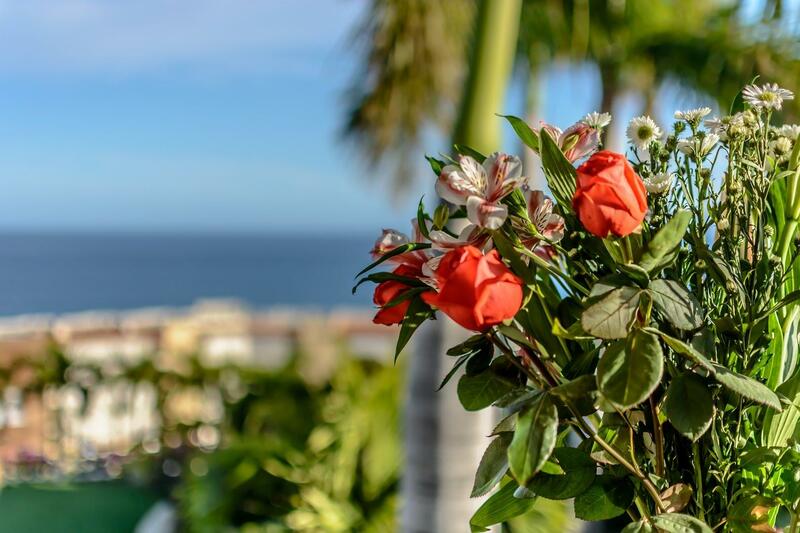 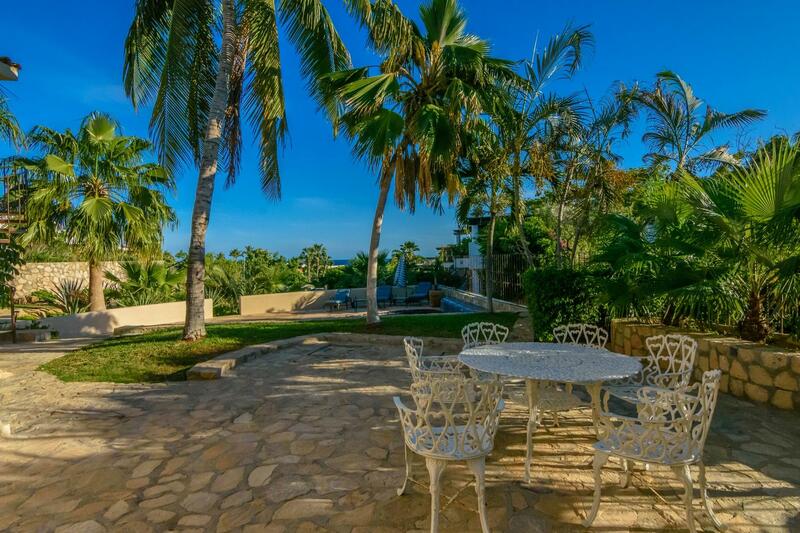 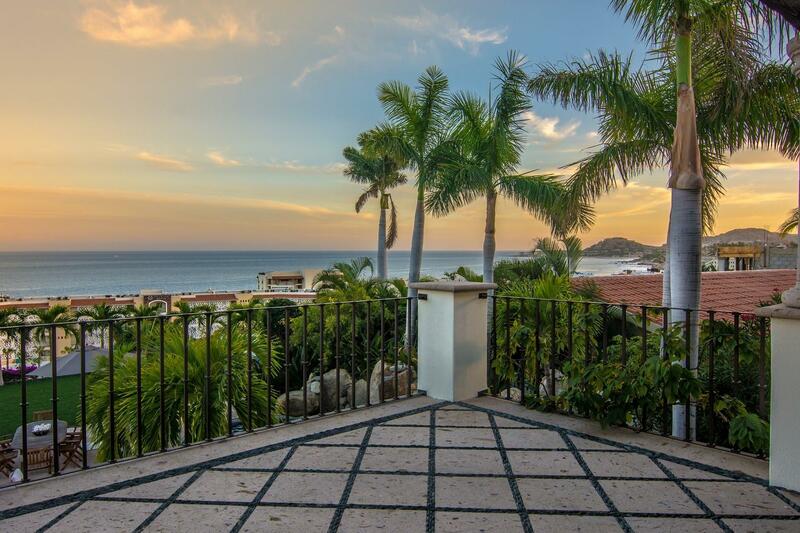 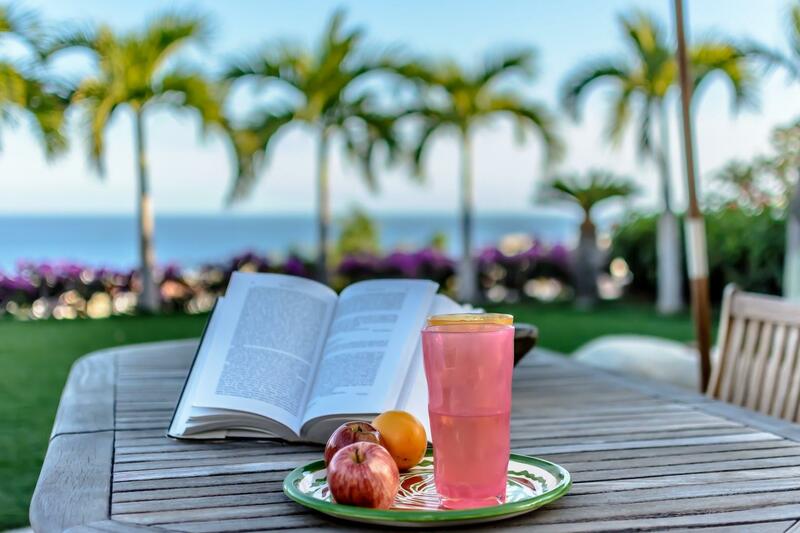 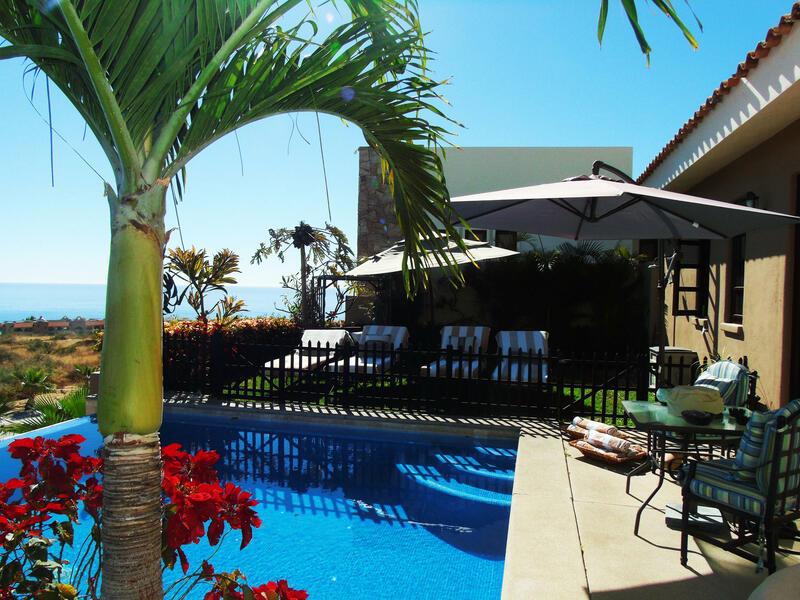 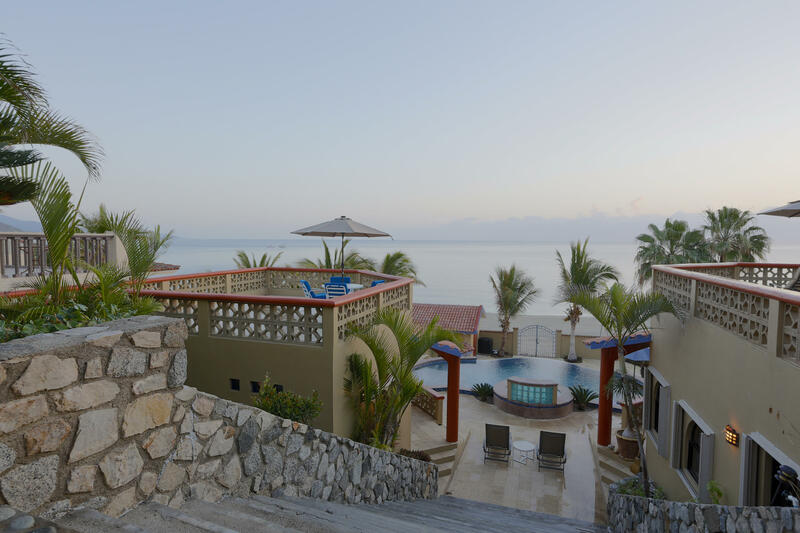 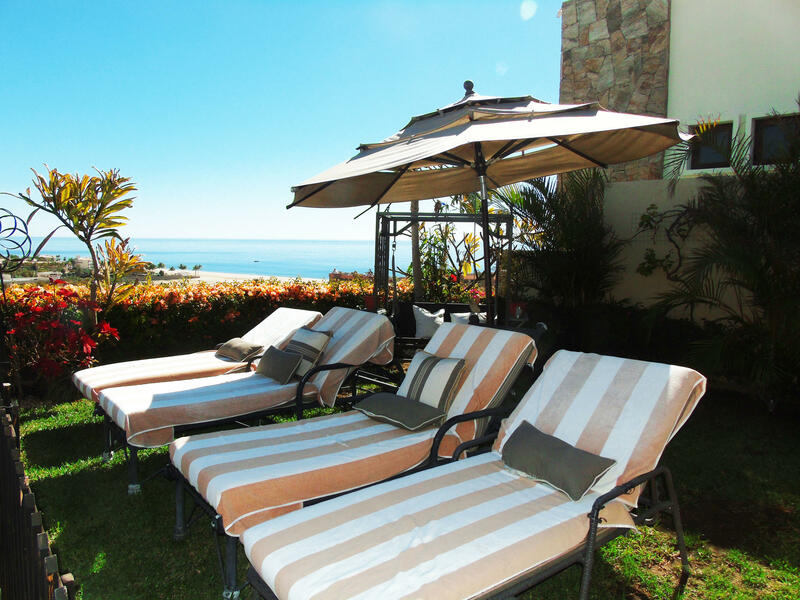 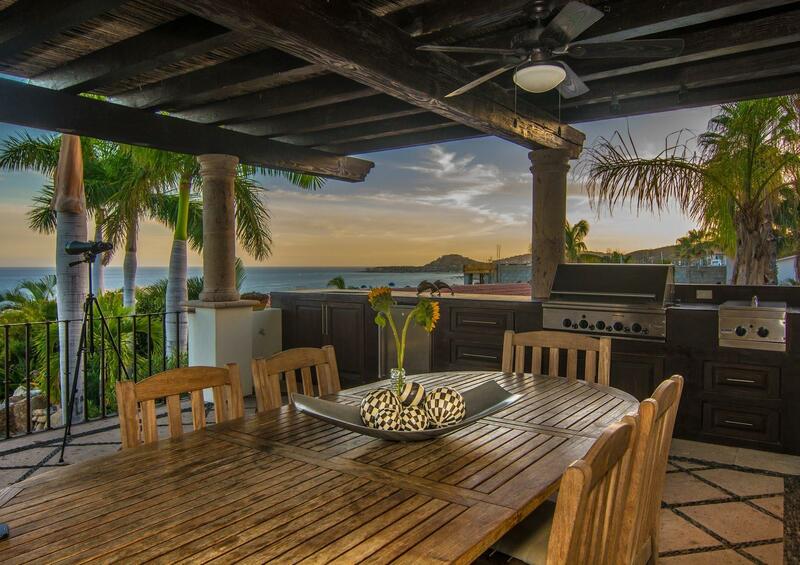 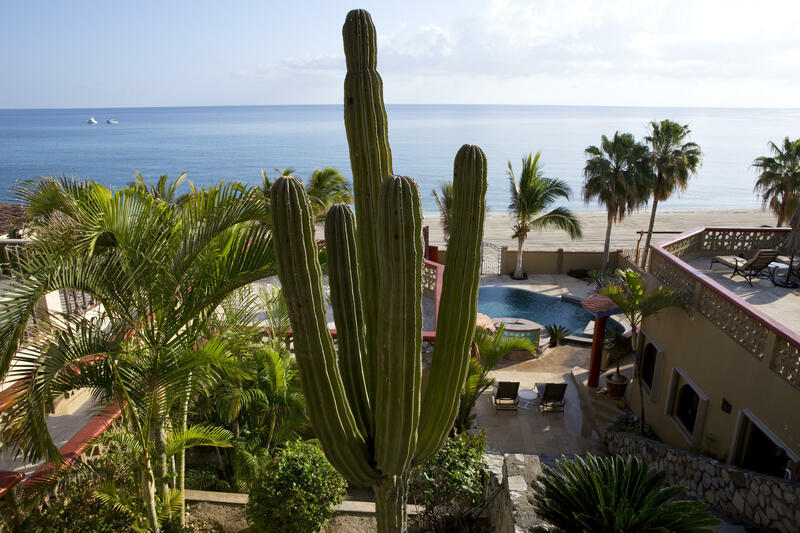 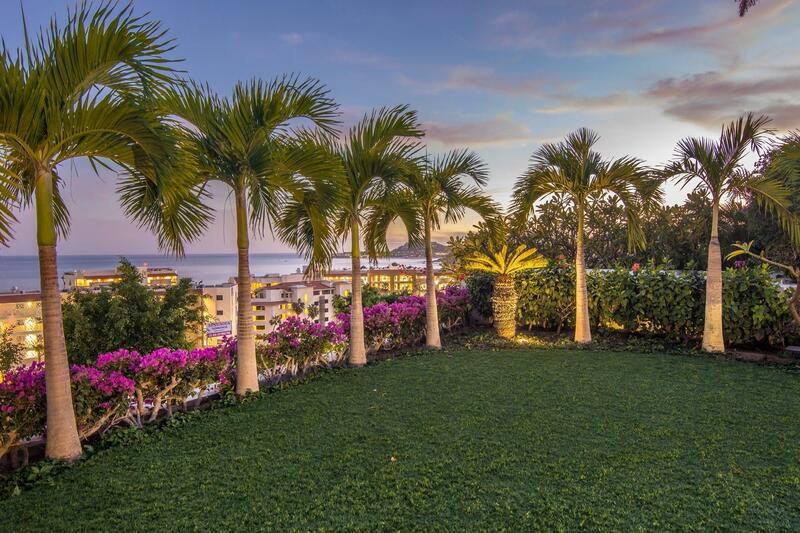 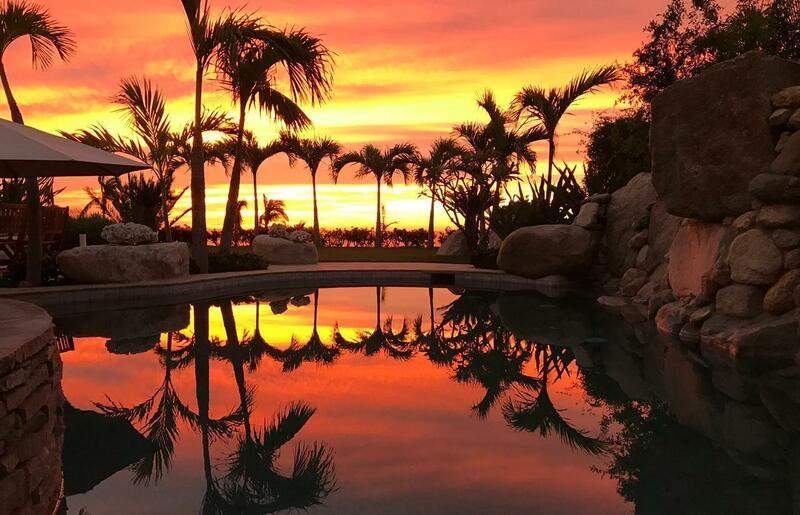 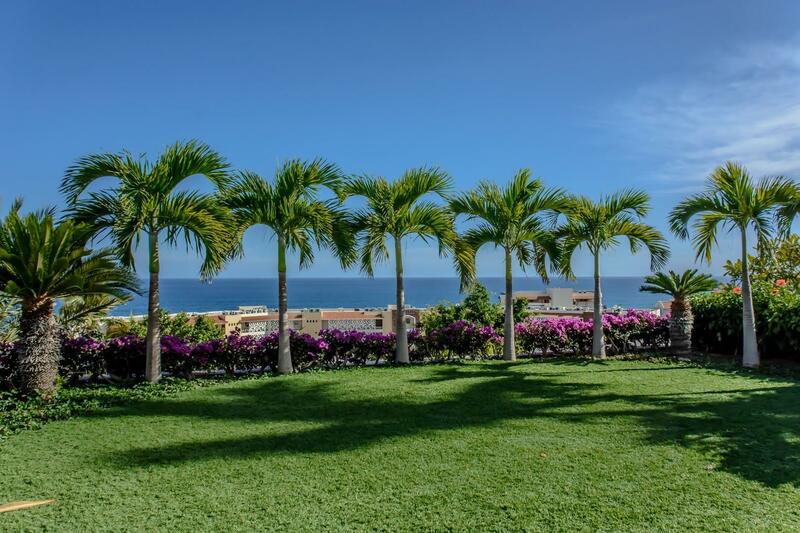 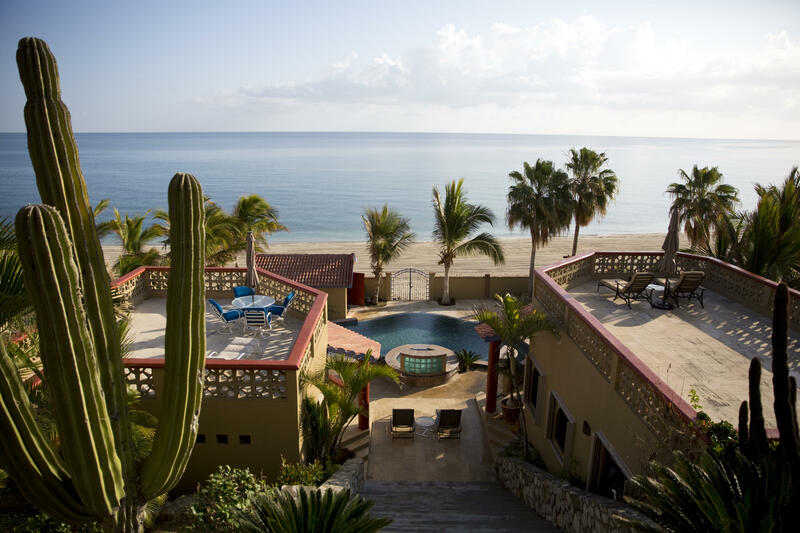 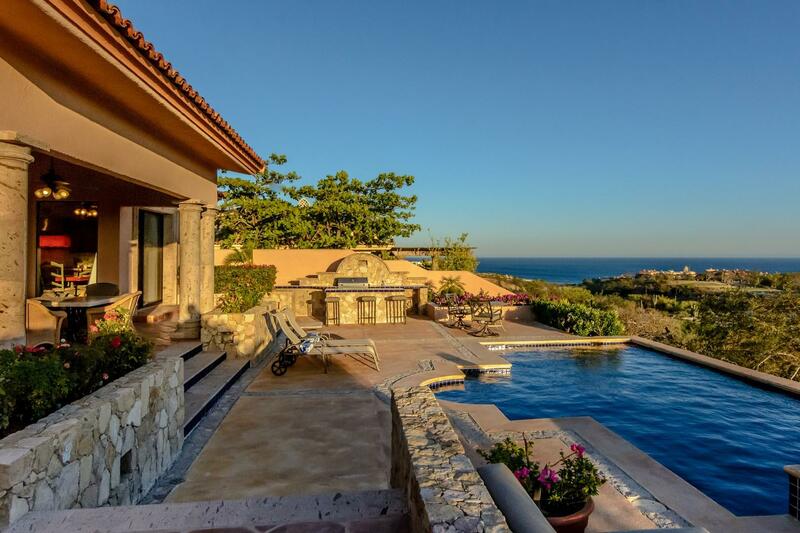 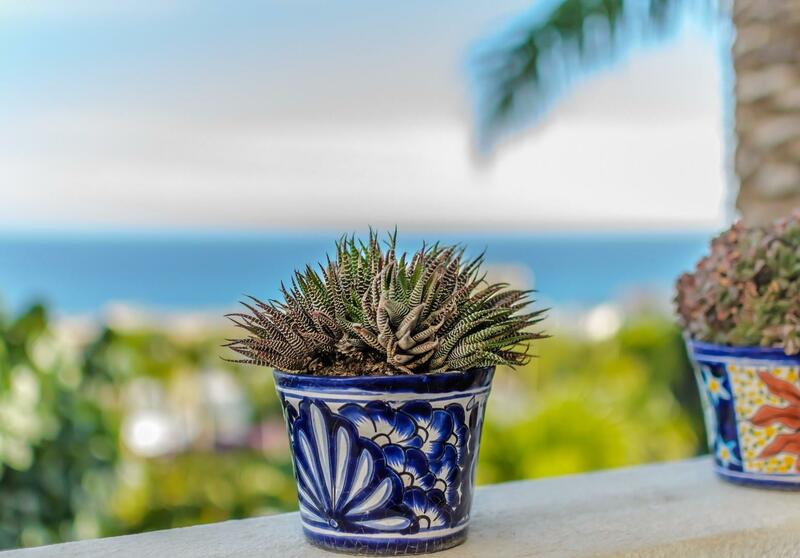 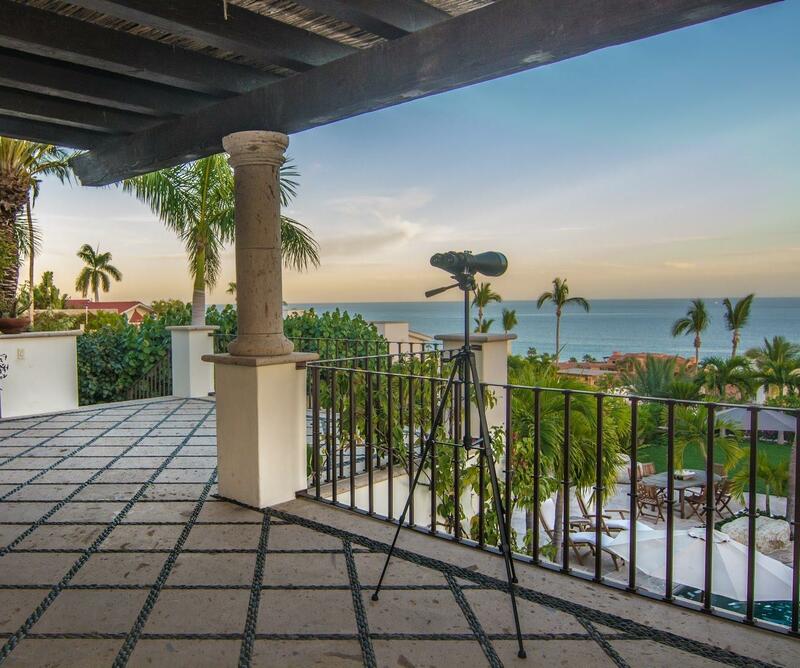 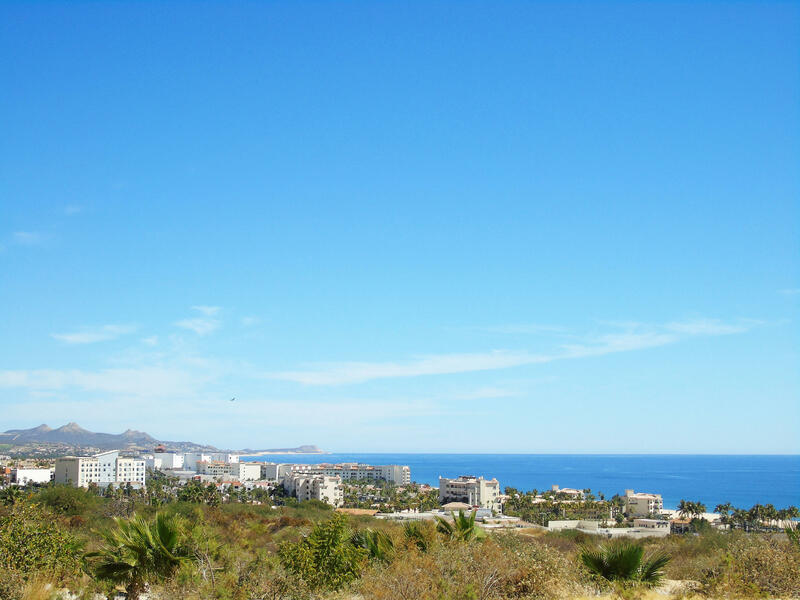 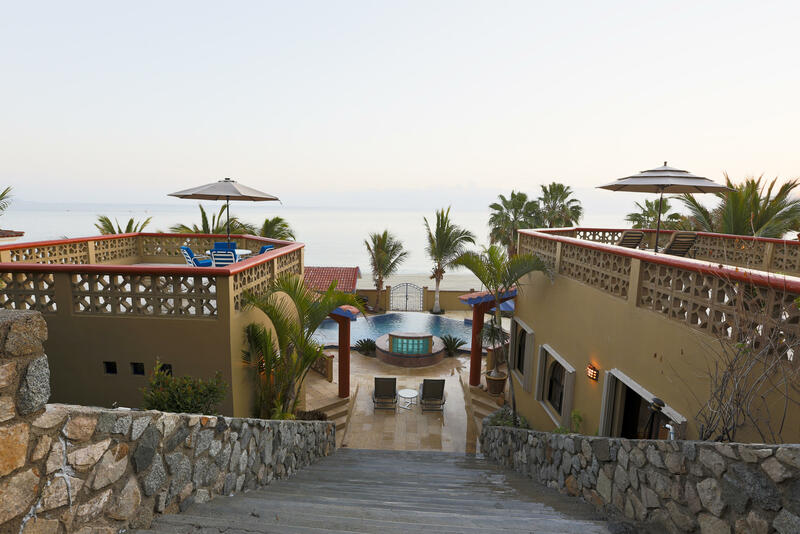 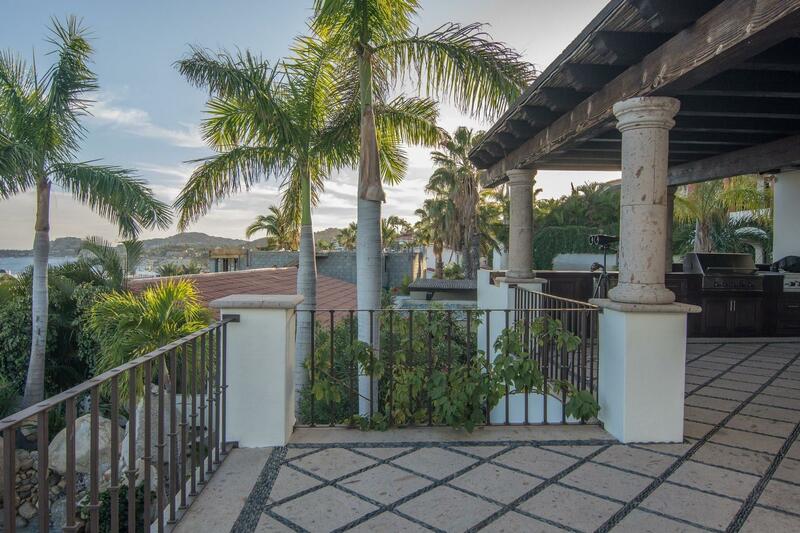 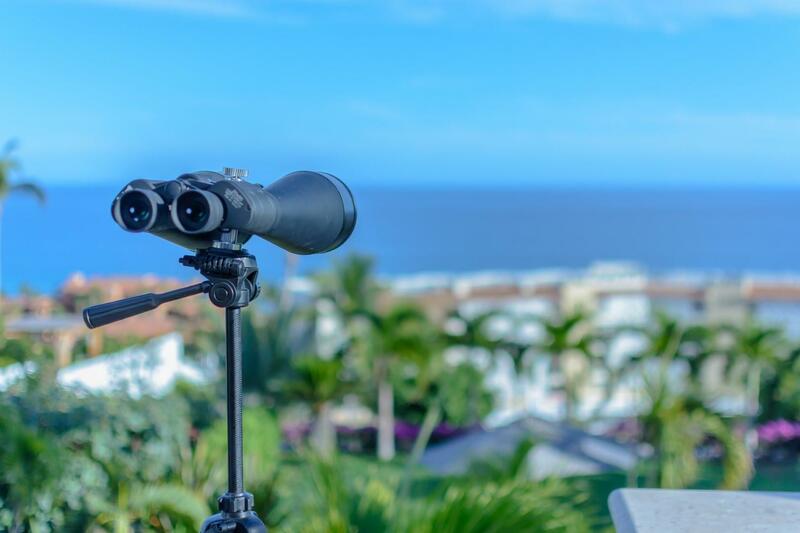 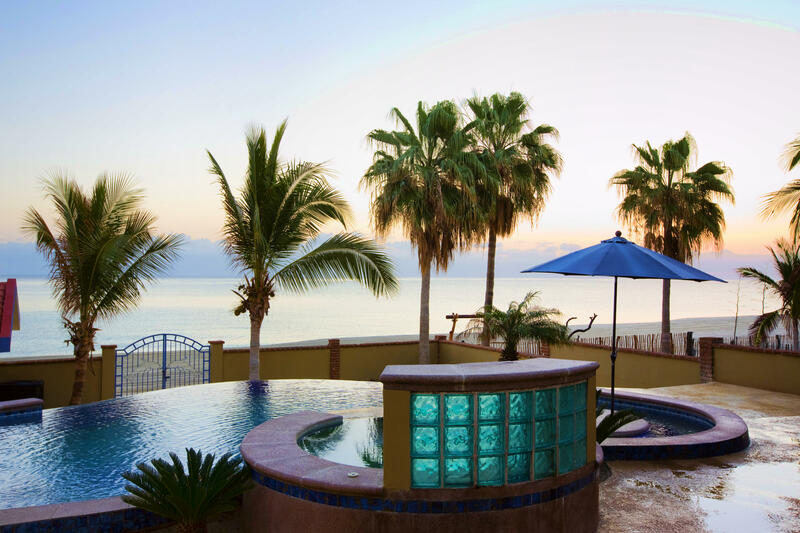 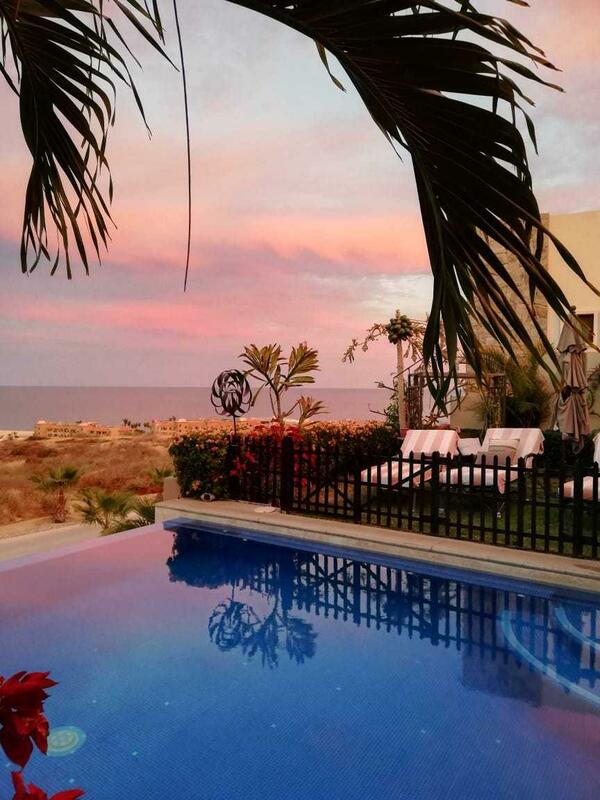 Gorgeous Sunrise and Sunsets, with views over the palms at the Pedregal Beach. 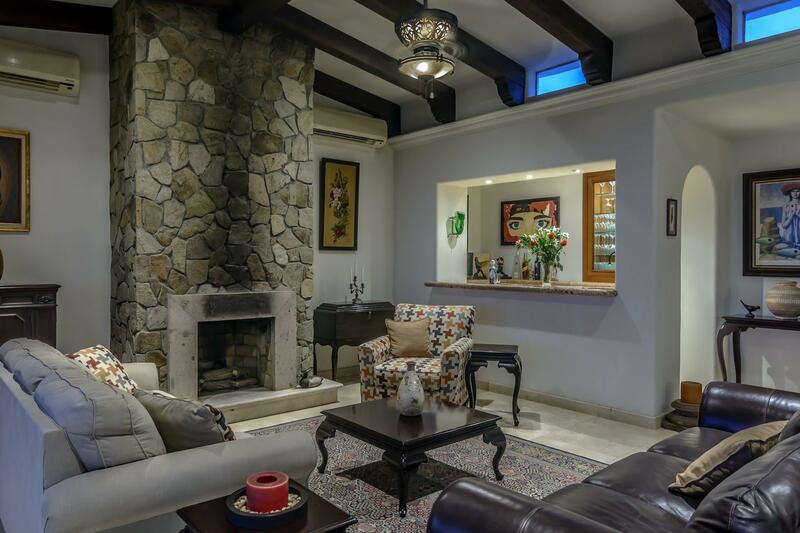 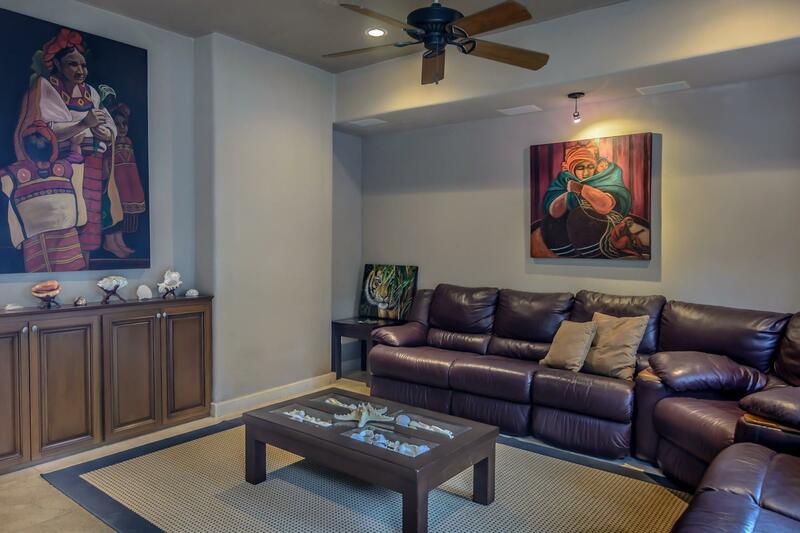 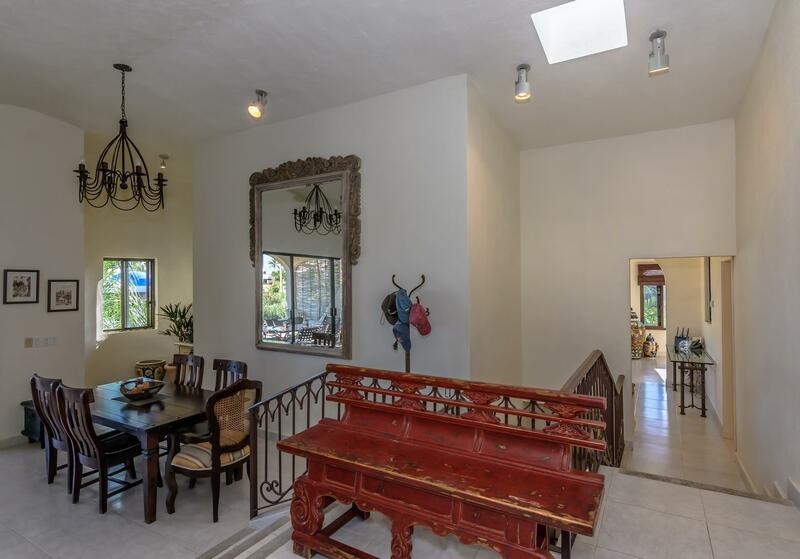 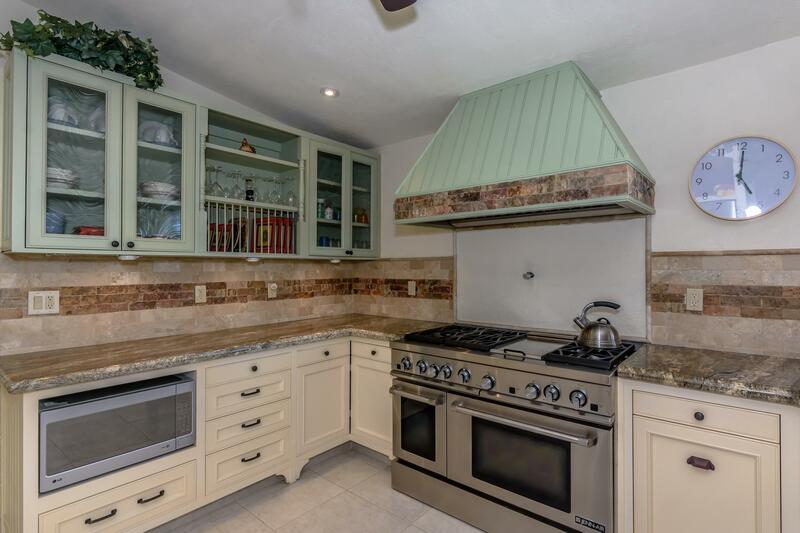 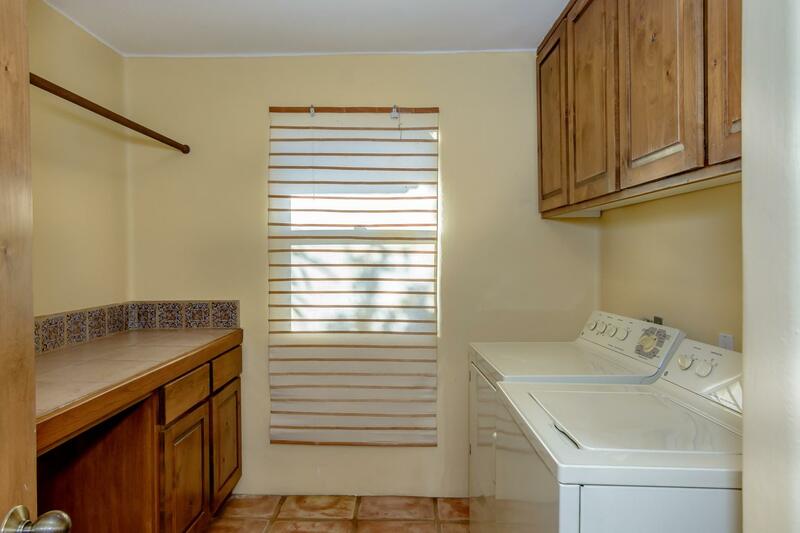 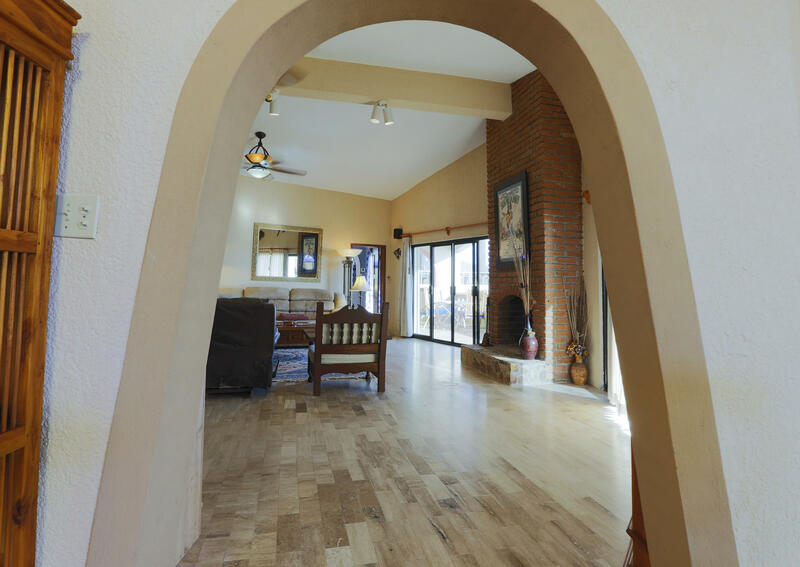 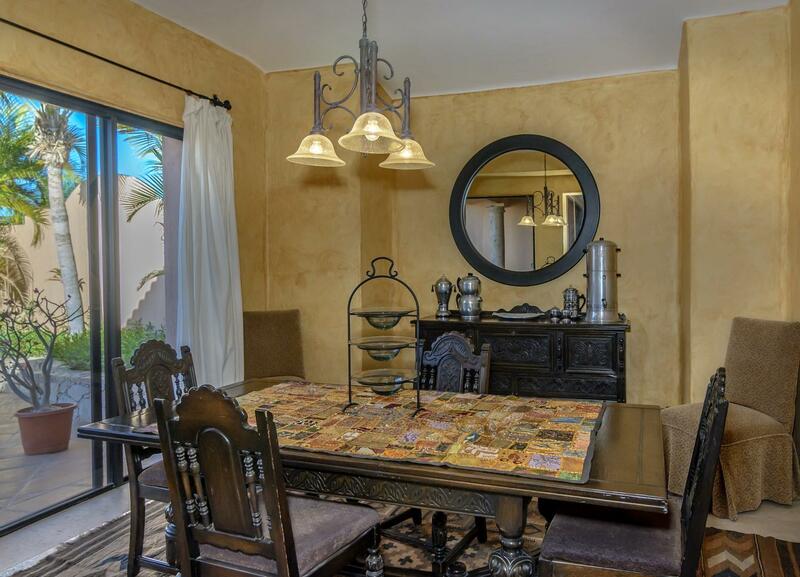 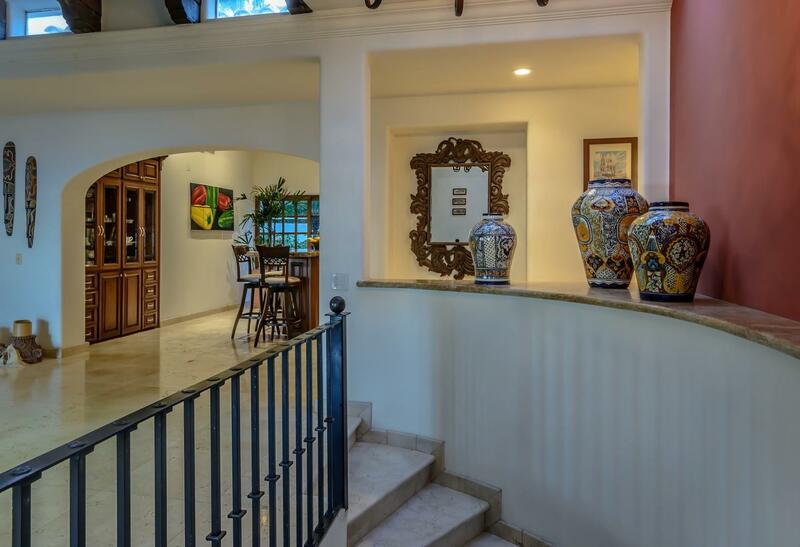 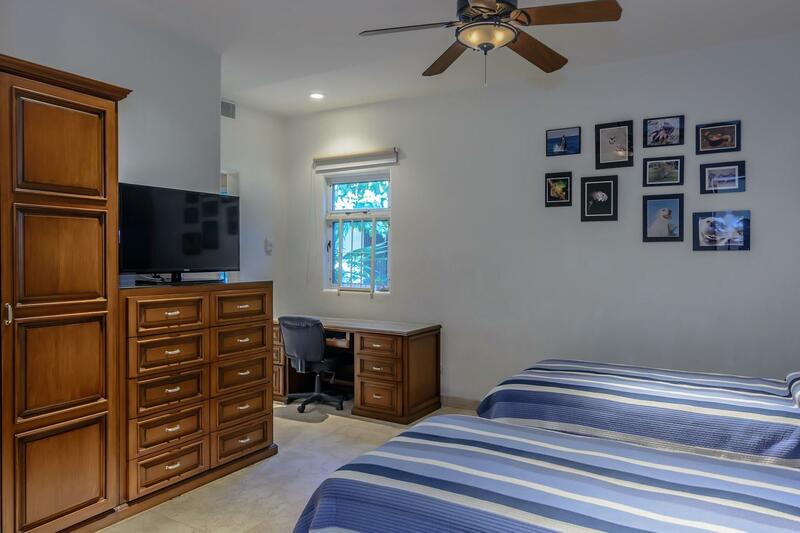 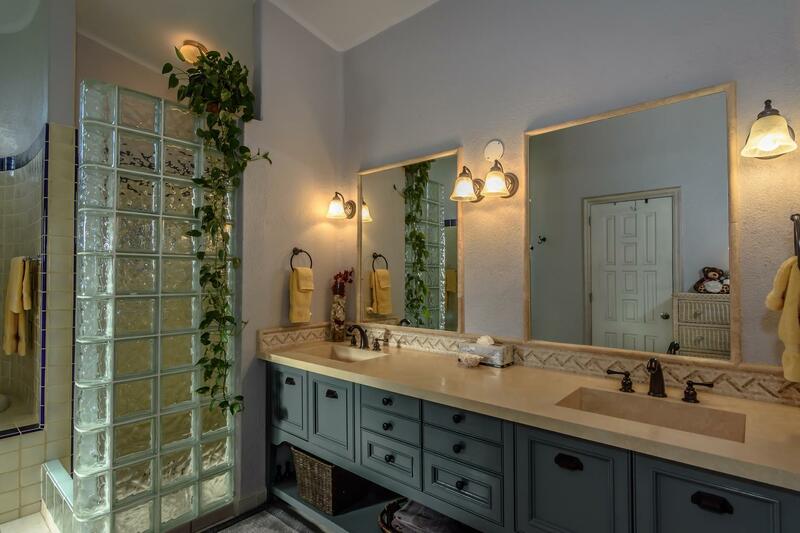 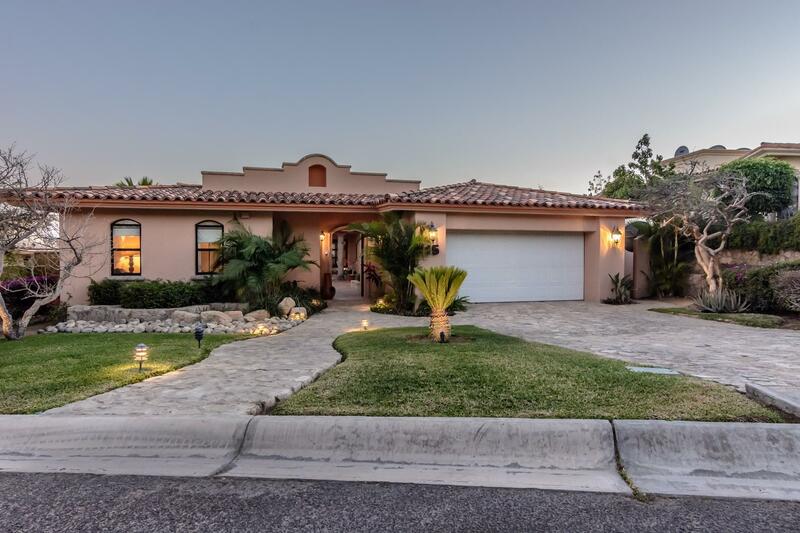 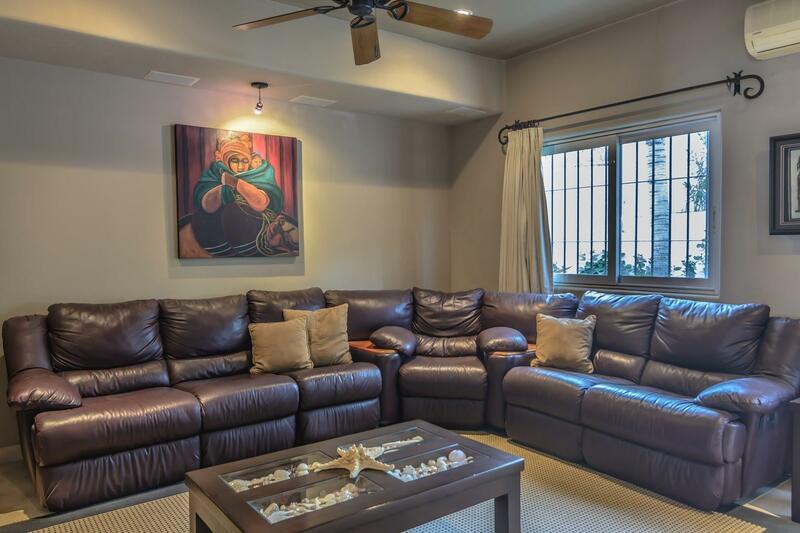 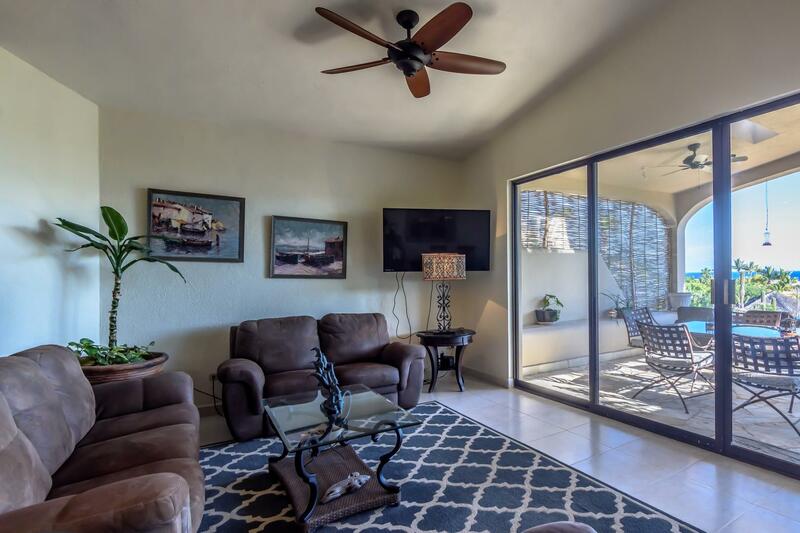 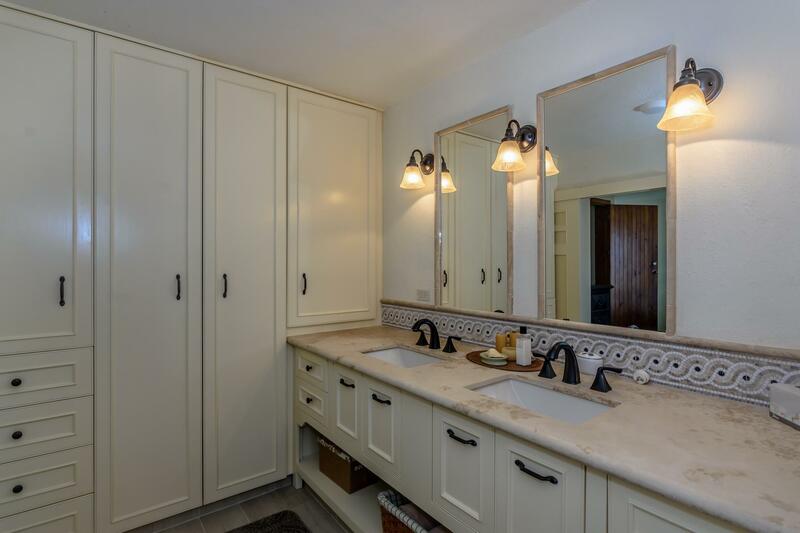 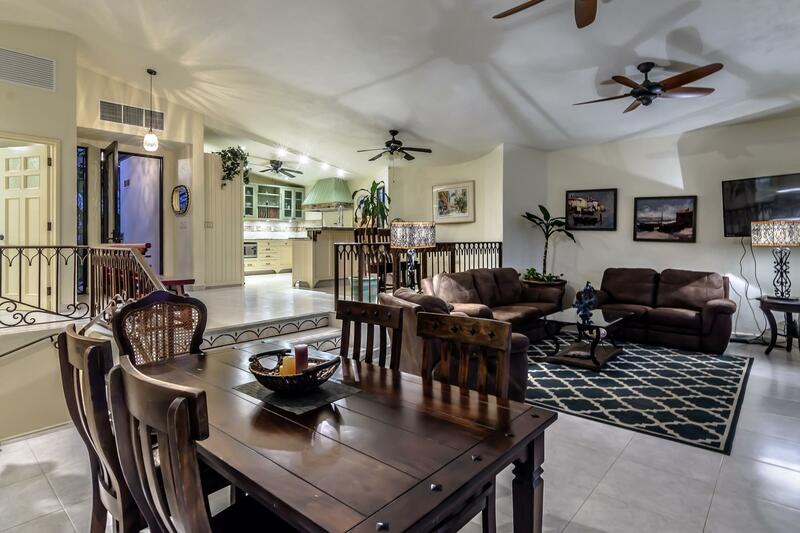 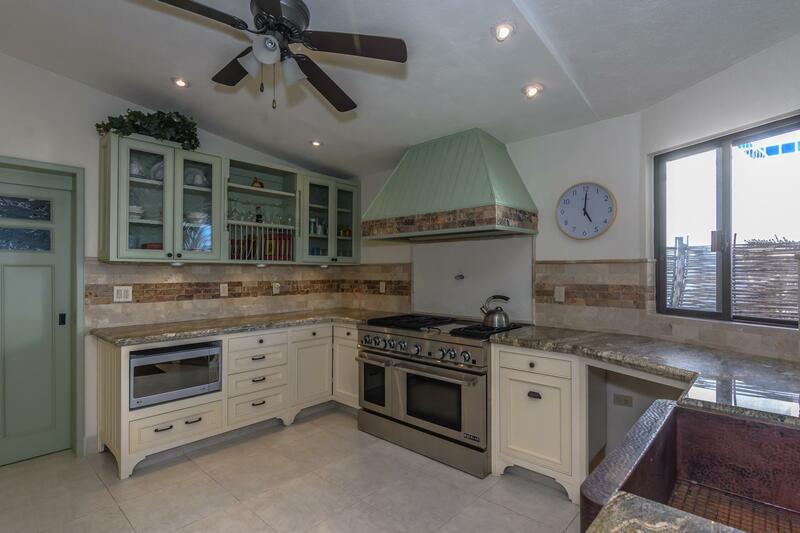 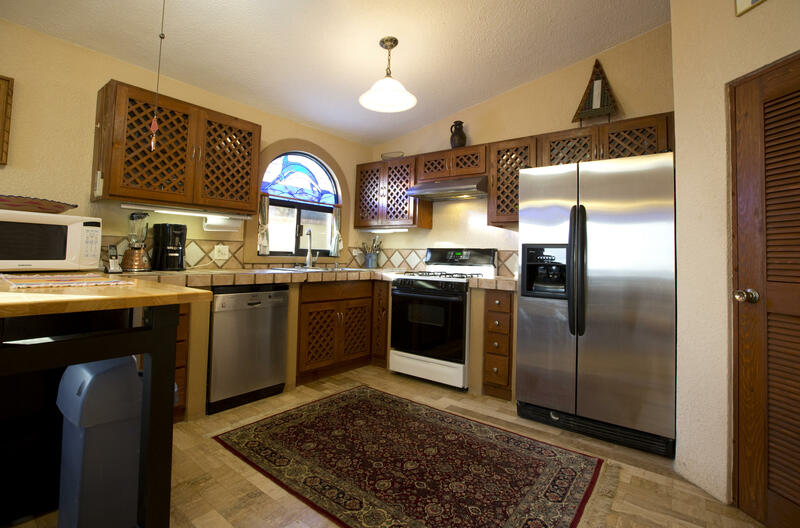 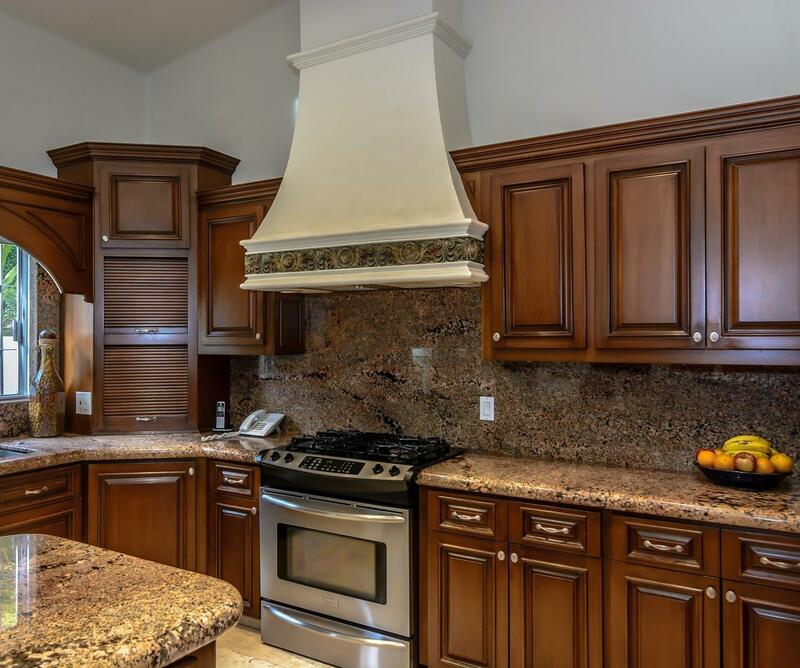 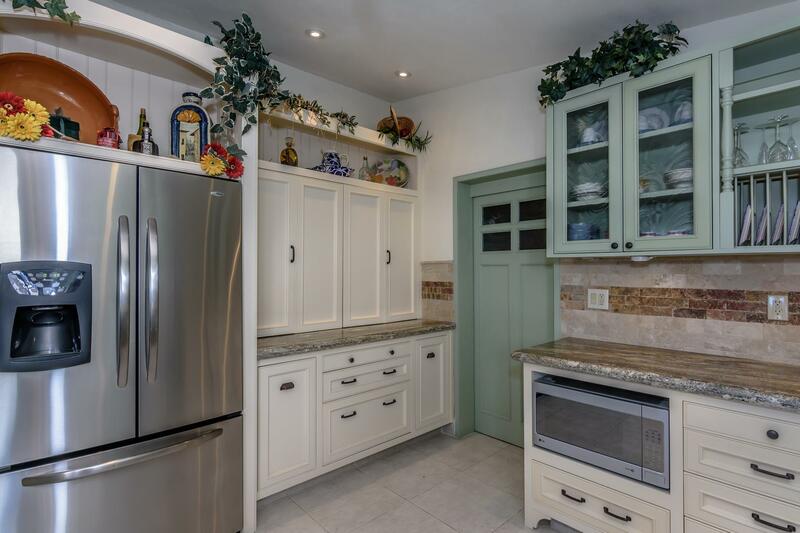 This newly remodeled home features 3975 square feet under roof, 3 bedrooms, 3 1/2 baths plus a separate studio with a private entrance, three car parking spaces, beautiful back yard, doggie friendly, with pool. 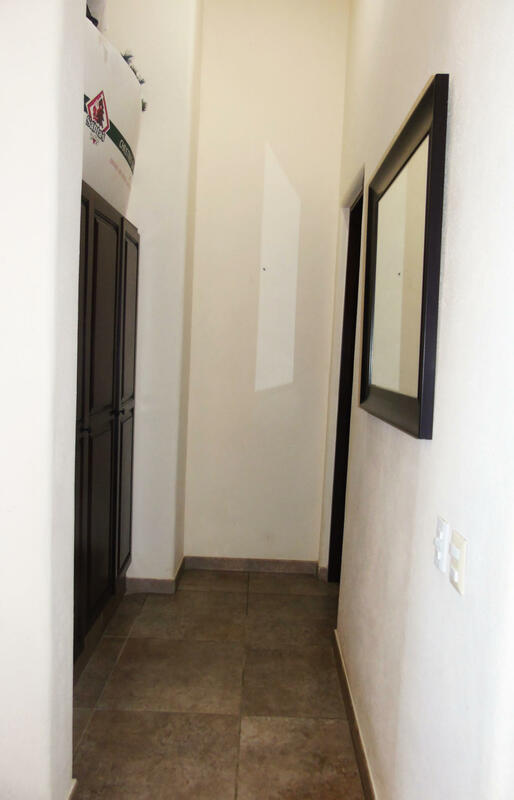 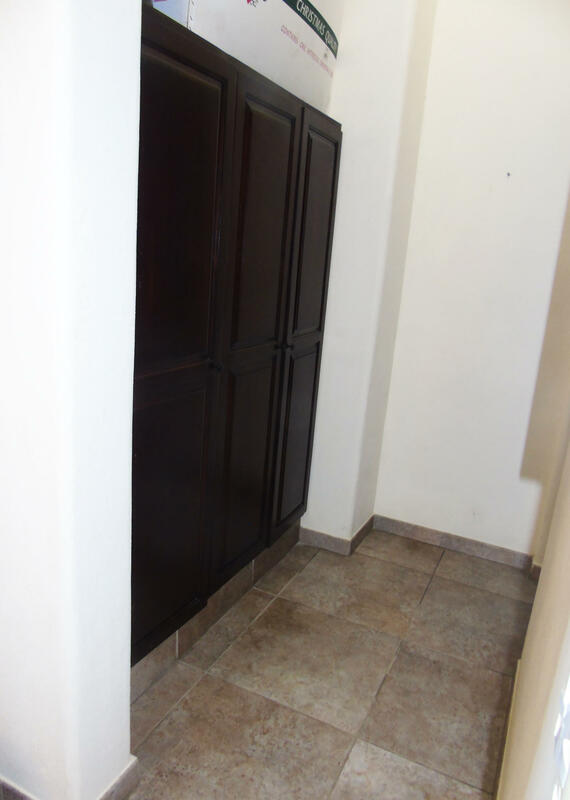 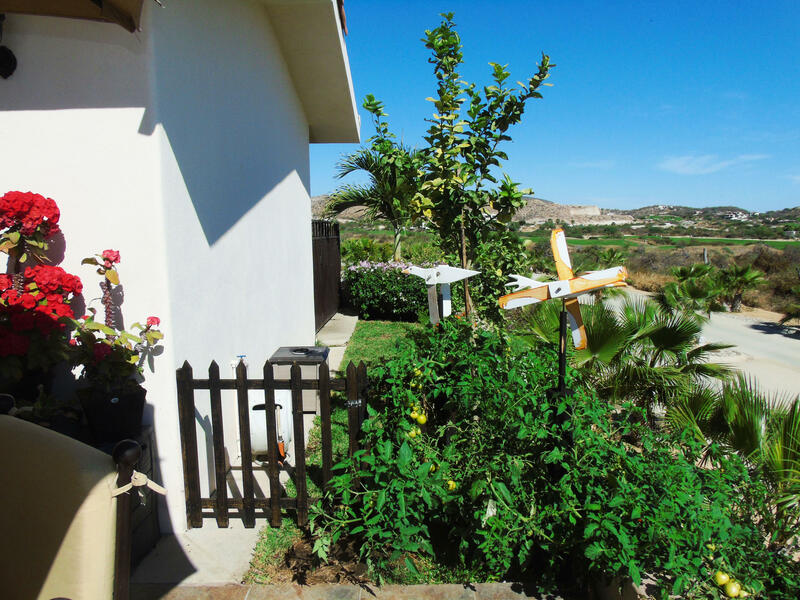 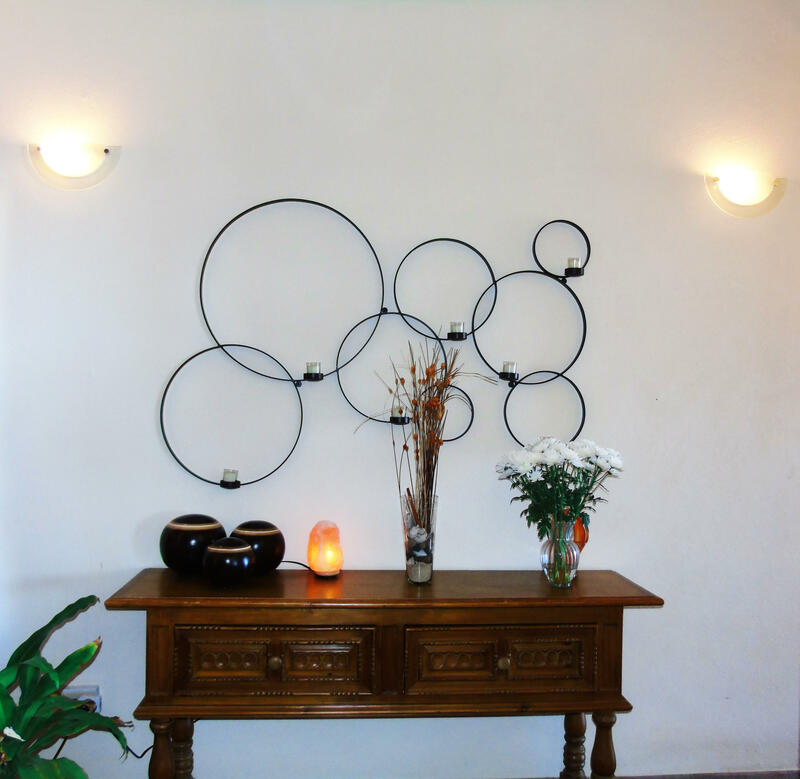 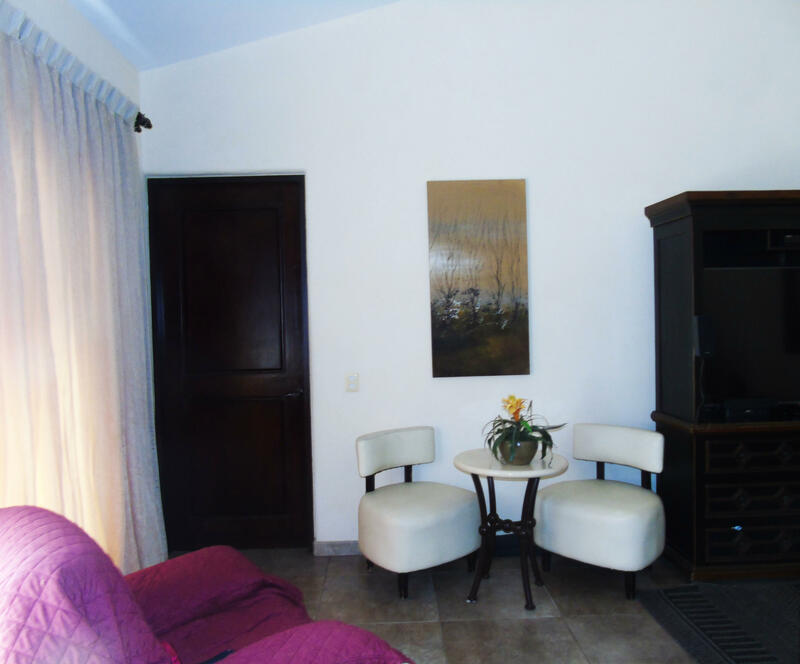 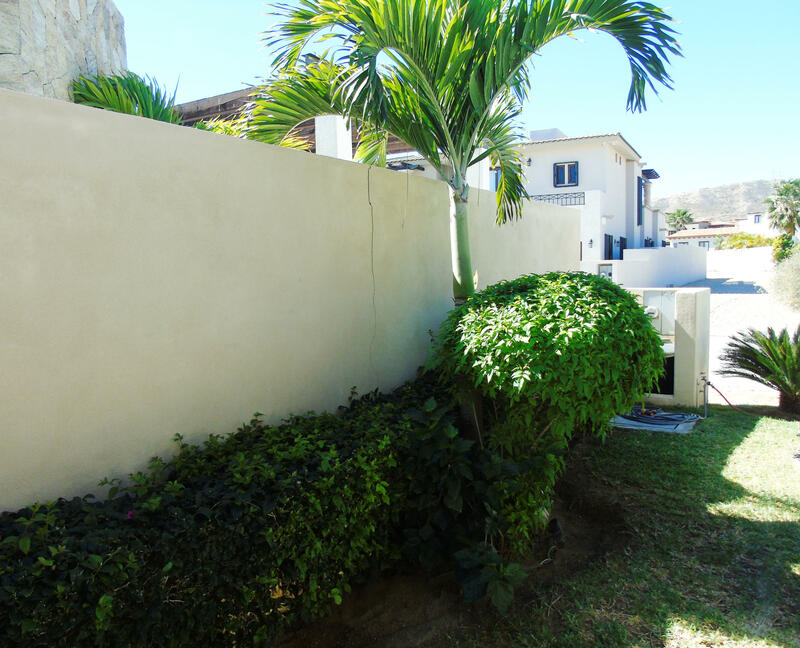 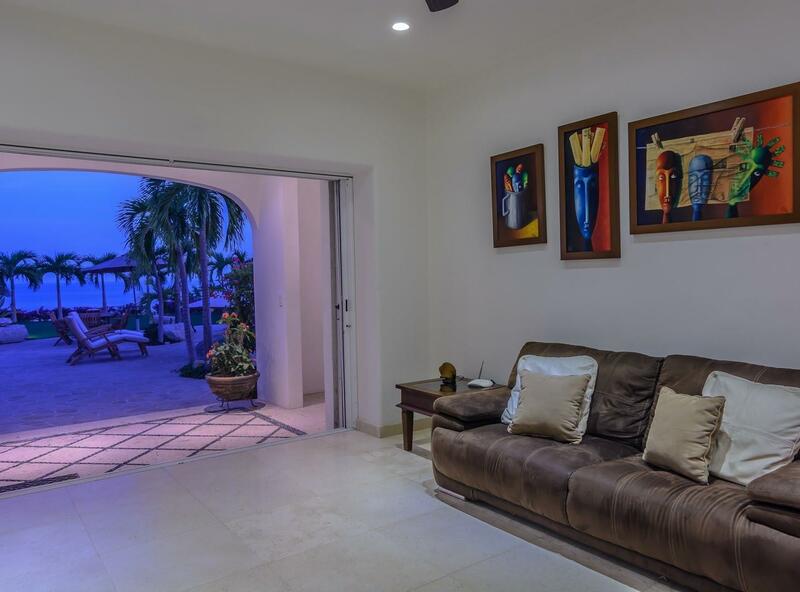 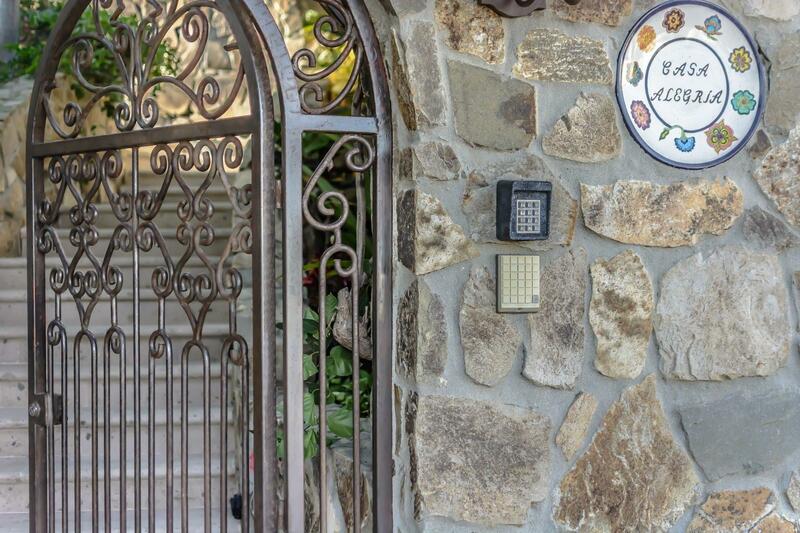 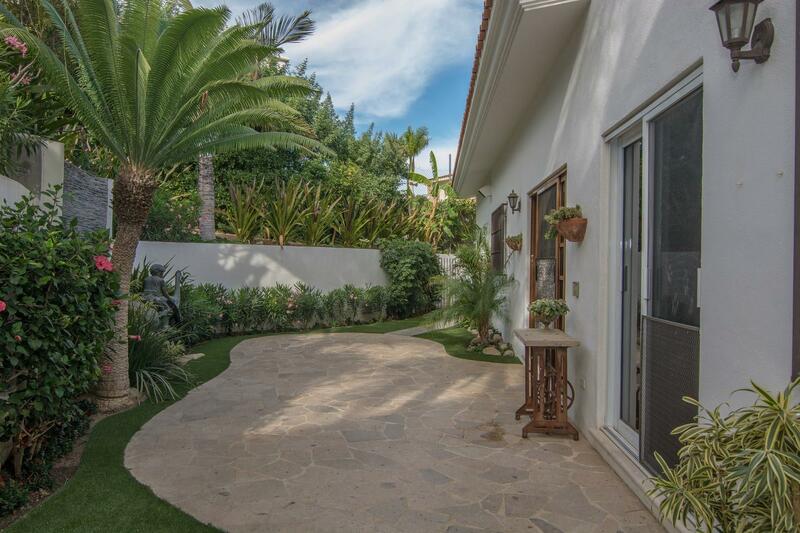 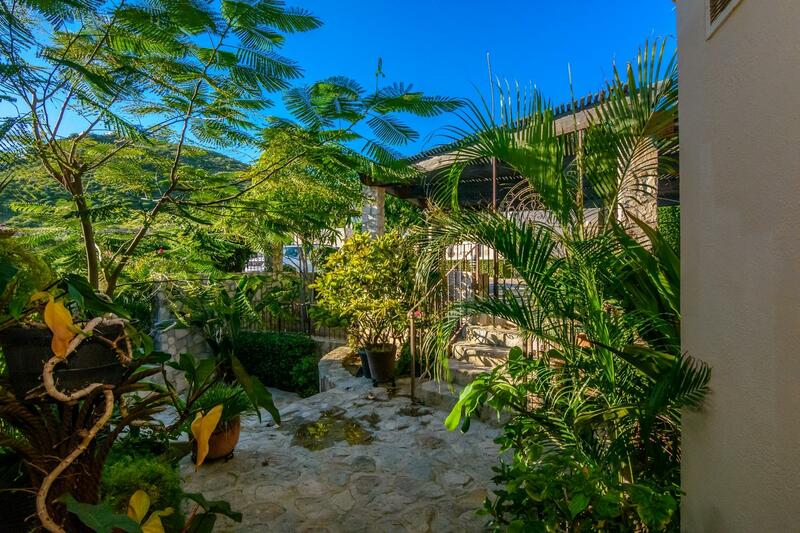 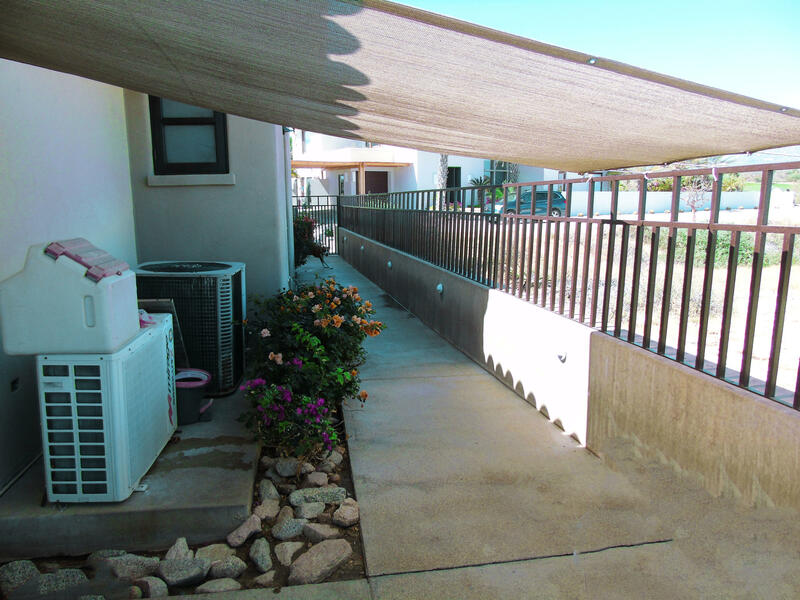 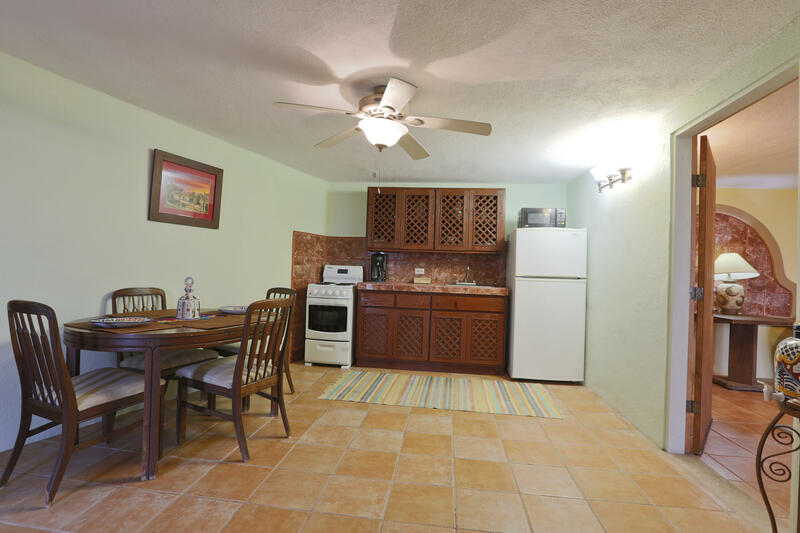 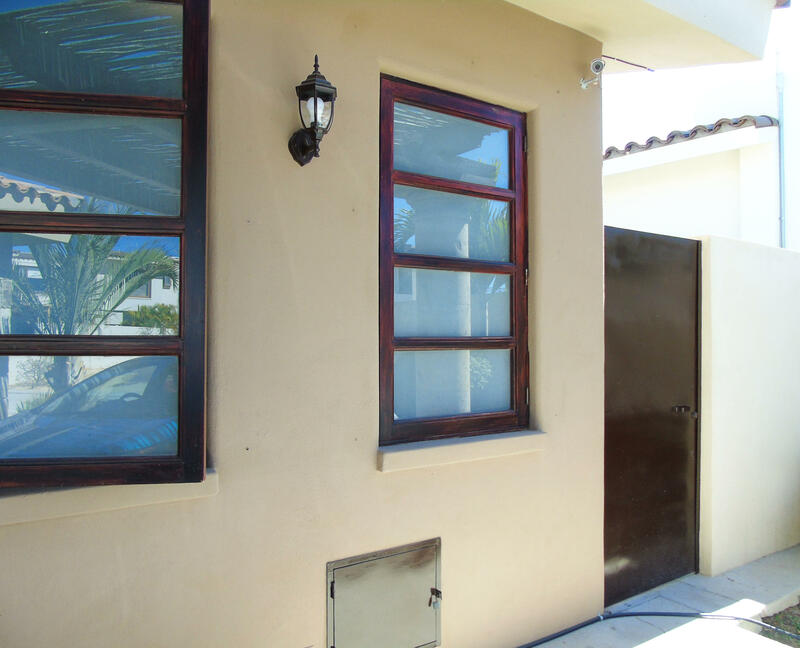 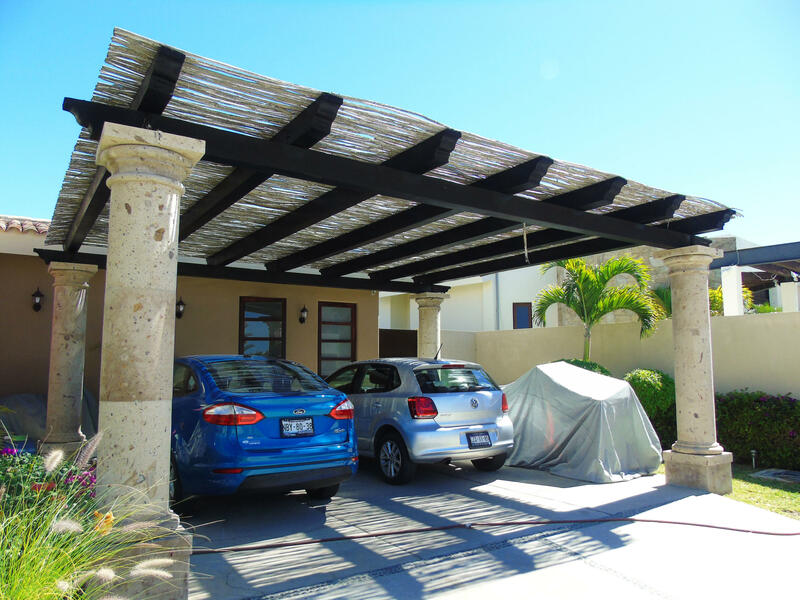 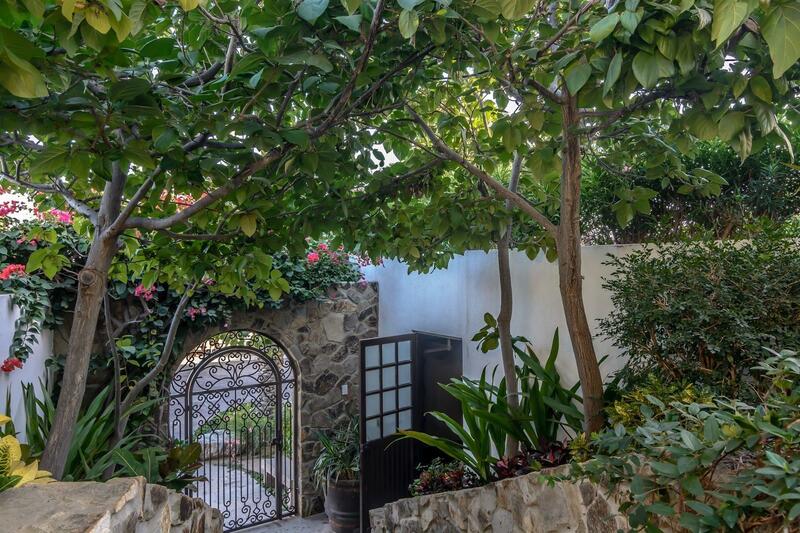 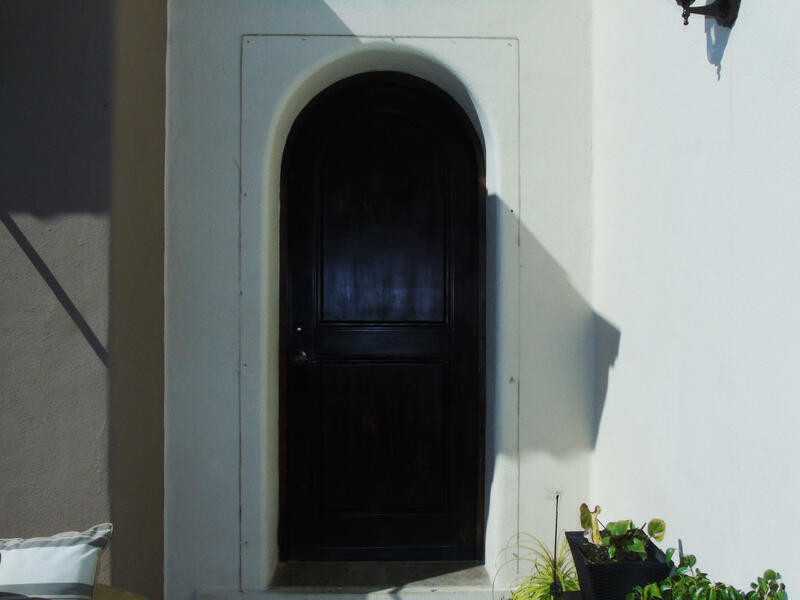 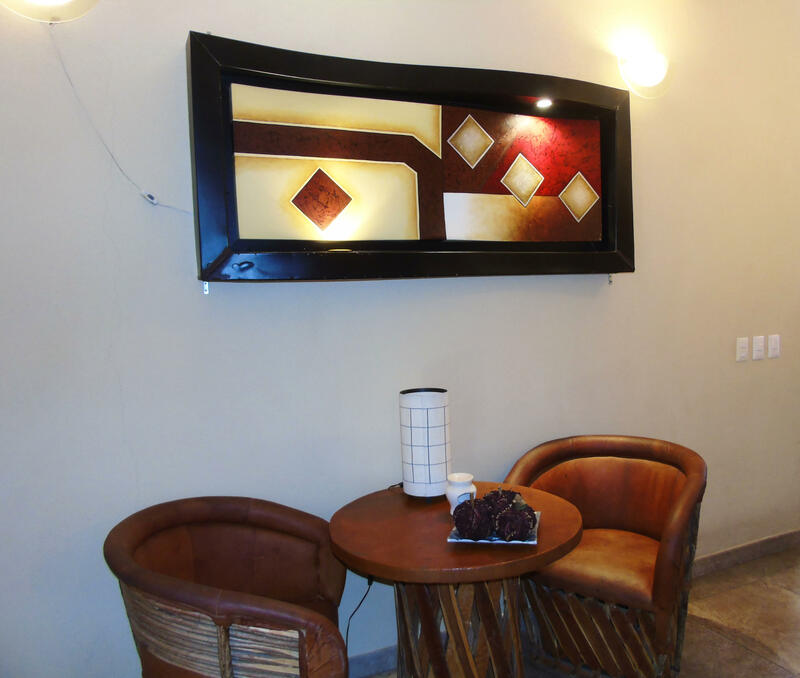 This property is located on two lots with a total of 1,275 square meters of land.